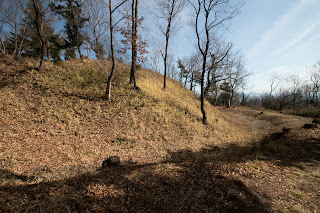 Shinpu castle (新府城) is located on the long cliff named Shitiriga Iwa facing Kamanasi river in Nirasaki city. 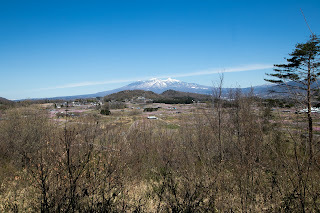 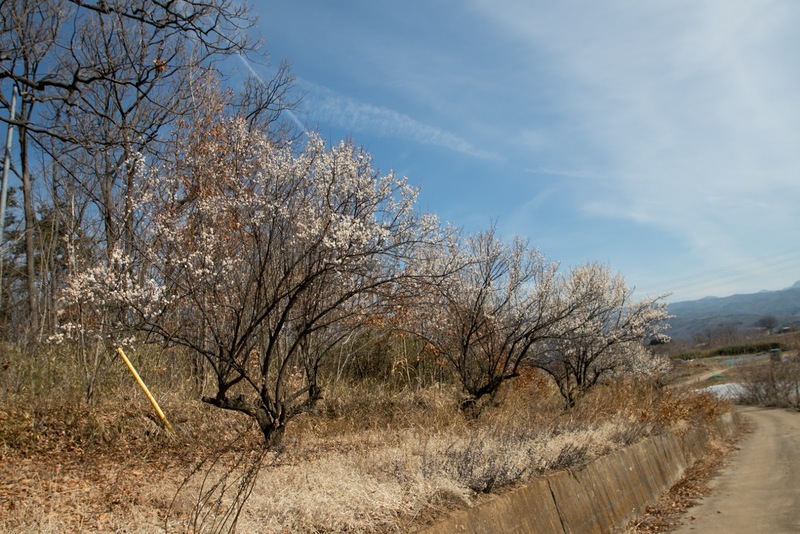 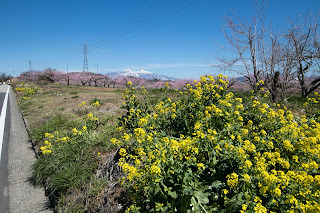 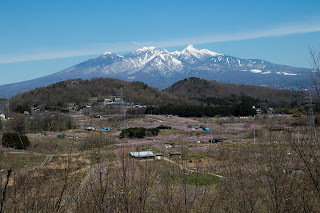 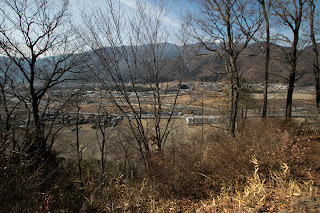 Nirasaki city places on the northwest of Kofu city, on the way to Nagano prefecture. 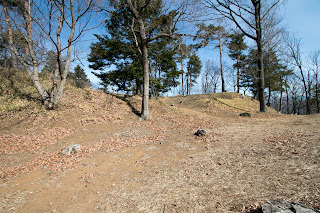 Shinpu Castle was built by Katsuyori Takeda (1546-1582), successor of Shingen Takeda (1521-1573) at 1581 as his new residence, but used in only several months. 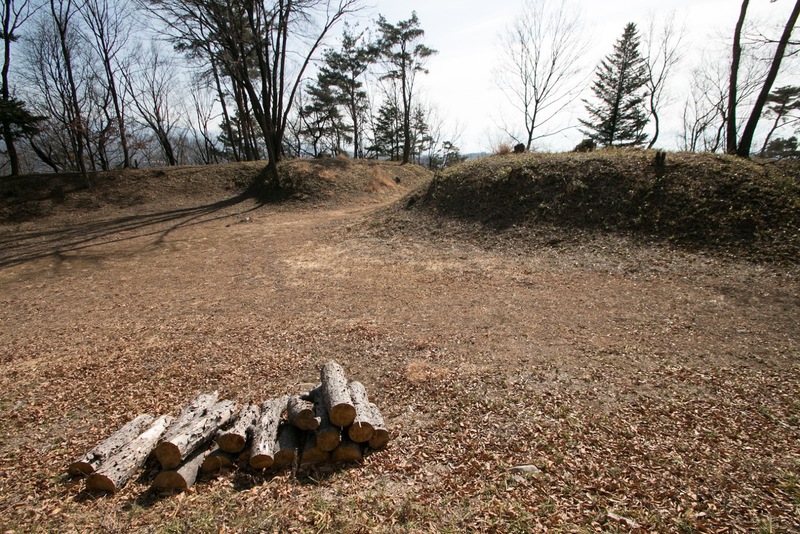 But in 1567, Yoshinobu Takeda (1538-1567), the eldest son of Shingen, was expelled and forced to die due to a conflict against Shingen concerning foreign policy against Imagawa clan, the parent's home of his wife. 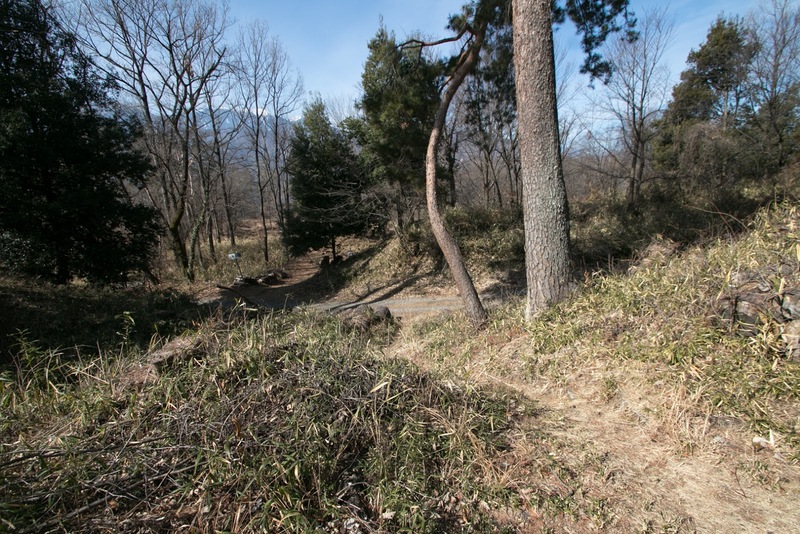 Also second and third son were unable to serve as a leader, thus Shingen had to choose Katsuyori as his successor. 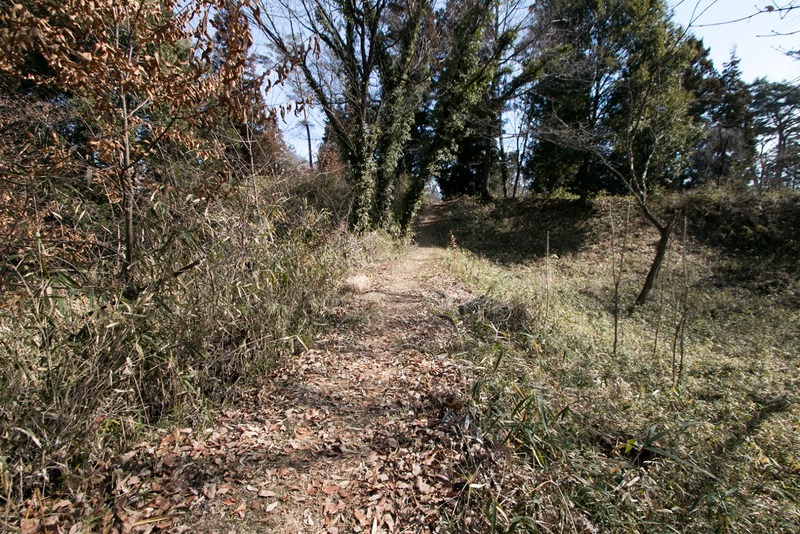 Under Shingen, Katsuyori well fought against Hojo clan or Tokugawa clan, and regarded as a brave general. In 1573, during his campaign against ally of Ieyasu Tokugawa (1542-1616) and central ruler Nobunaga Oda (1534-1582), Shingen died in ill. Takeda clan chose Katsuyori as next leader, but it is said that Shingen stated in his will that 1) conceal his death in 3 years, 2) Katsuyori is a deputy leader and when Katuyori’s son (Nobukatsu) grow up, Katsuyori must transfer his position to Nobukatsu, 3) Katsuyori can not use the flag of Furin Kazan (a proverb by Sun Zi), a symbol of Shingen. 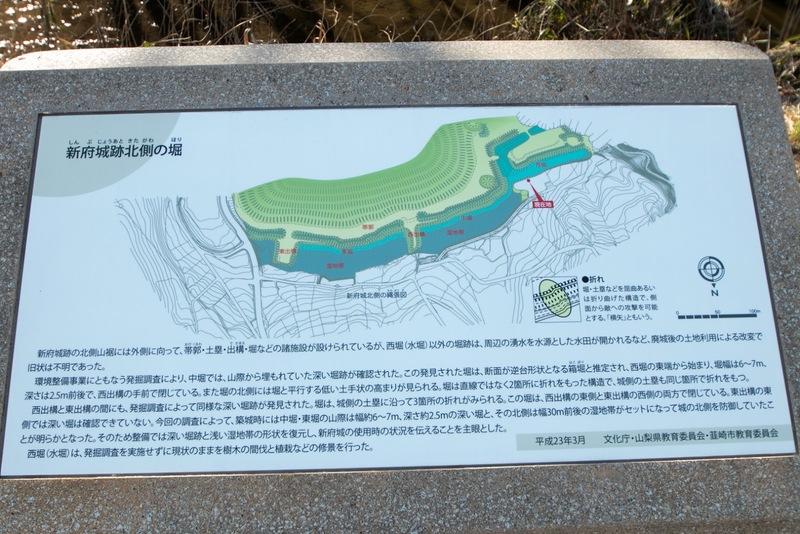 This instruction might be made considering repellence of old generals who hated the son of former enemy to succeed Takeda clan, but this policy strictly limited authority of Katsuyori. Confronting expanding Oda clan and to establish his authority, after the succession Katsuyori aggressively attacked Oda and Tokugawa territory. 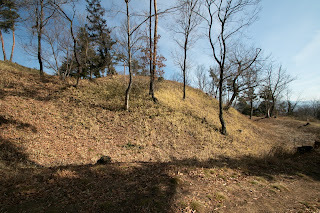 In 1574 he occupied 16 castles of Oda clan in eastern Mino province (Gifu prefecture), and in 1575 he captured Takatenjin castle, where Shingen formerly attacked but could not occupy. 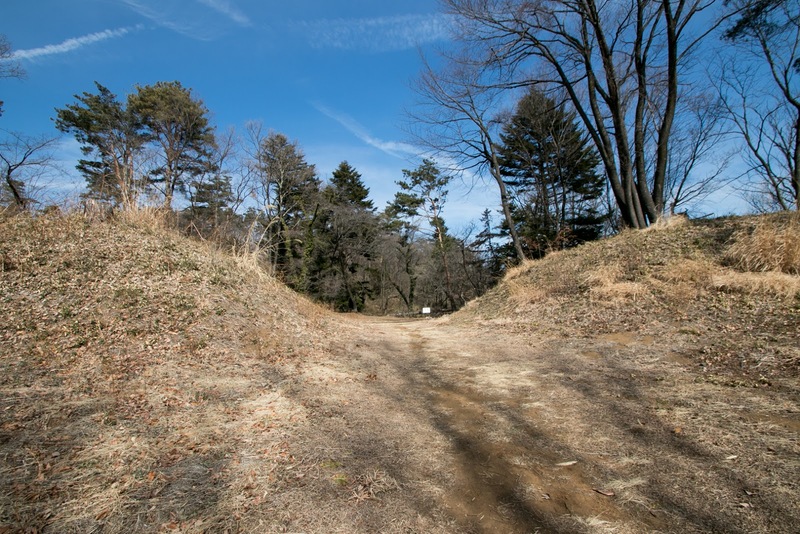 By these victories Takeda territory became its peak, but in June 1575, Katsuyori suffered a fatal defeat at the battle of Nagashino, facing 3,000 matchlock guns of Oda army. Takeda clan lost many experienced generals including Nobufusa Baba (Nobuharu, 1515-1575), Masahide Naito (Masatoyo, 1522-1575) and Masakage Yamagata (1529-1575), three of so called four excellent generals of Takeda clan at once. After the battle, Katsuyori struggled to restore Takeda clan and keep his territory. 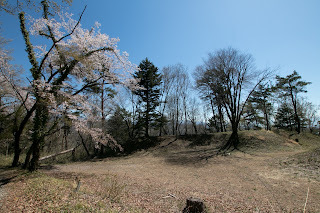 He made friendship with Kenshin Uesugi (1530-1578), a warlord of Echigo province (Niigata prefecture) and former fatal rival of Shingen, and also married with a princess of Hojo clan, a warlord of Sagami province (Kanagawa prefecture), to make backside secure. 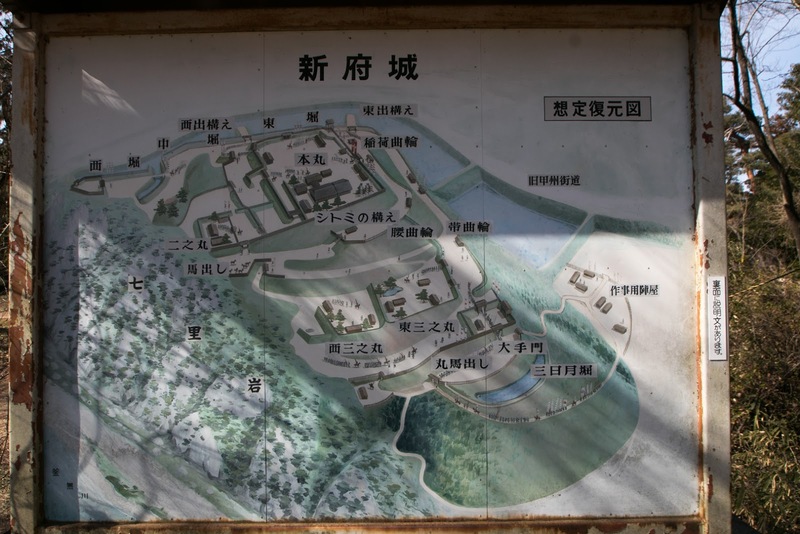 Katsuyori also worked for a centralization of authority, nourish of commerce and strengthening of armies. But in 1578, after the sudden death of Kenshin Uesugi, there occurred an internal conflict named "Otate no Ran" at Uesugi clan between two adopted son of Kenshin, Kagekatsu Uesugi (1556-1623), a son of Kenshin’s relative, and Kagetora Uesugi (1554-1579), born as a relative Hojo clan. 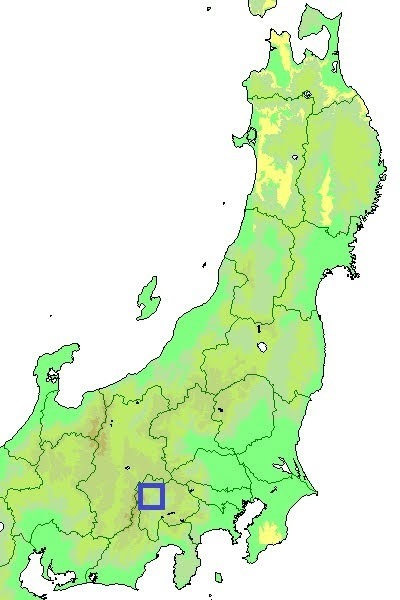 If Kagetora wins Hojo clan virtually dominate Uesugi clan and become too strong compared with Takeda clan, thus to prevent this situation Katsuyori supported Kagekatsu. 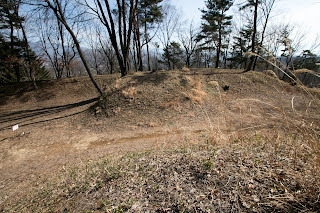 But due to this action Hojo clan turned to the enemy of Katsuyori, and Takeda clan was surrounded by Oda, Tokugawa and Hojo clan only along with weakened Uesugi Clan. 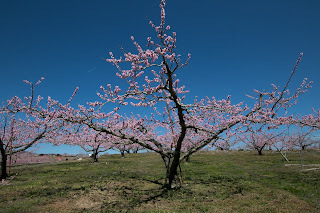 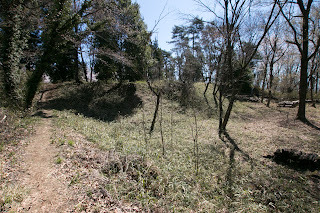 Katsuyori continued desperate struggle to keep the border, but facing two side attack of Hojo army and Tokugawa army Katsuyori gradually lost his territory, and in 1581 Takatenjin castle fell by Tokugawa army. 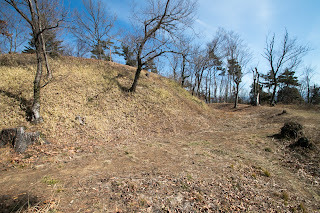 Katsuyori who could not rescue Takatenjin castle significantly lost his authority. 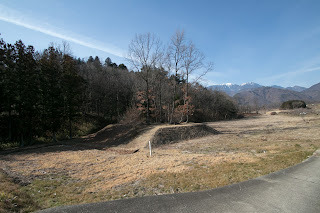 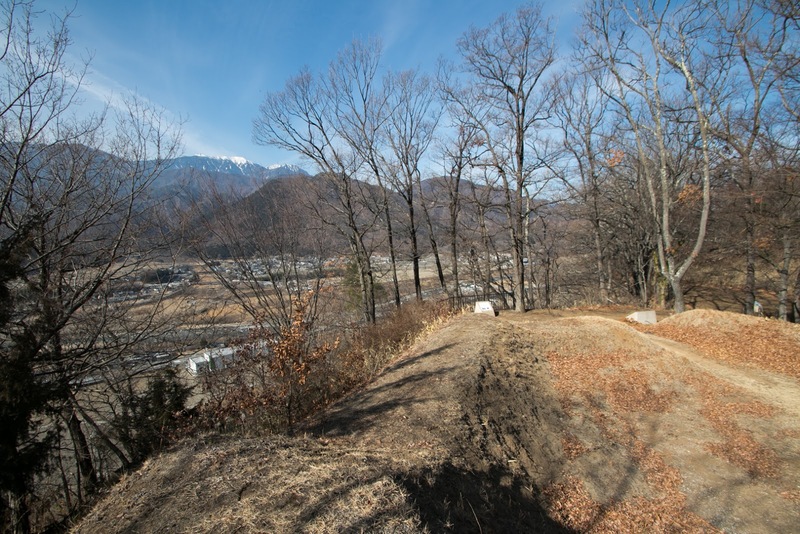 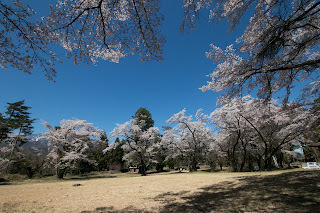 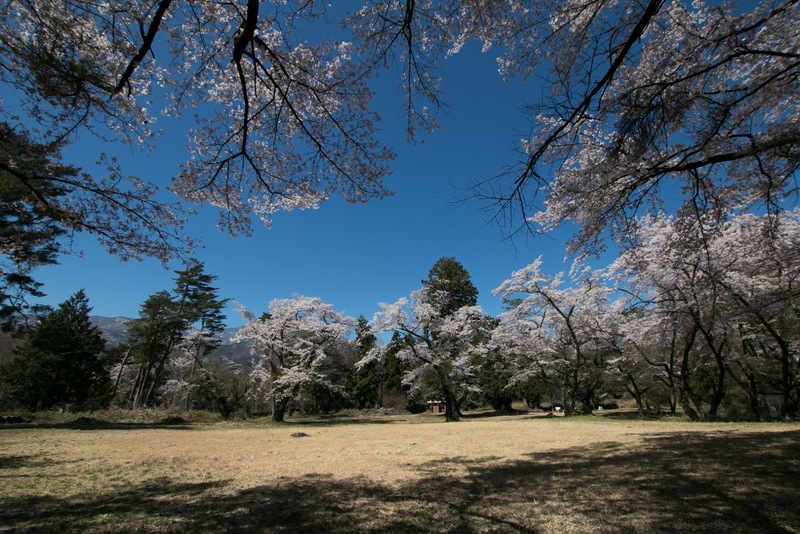 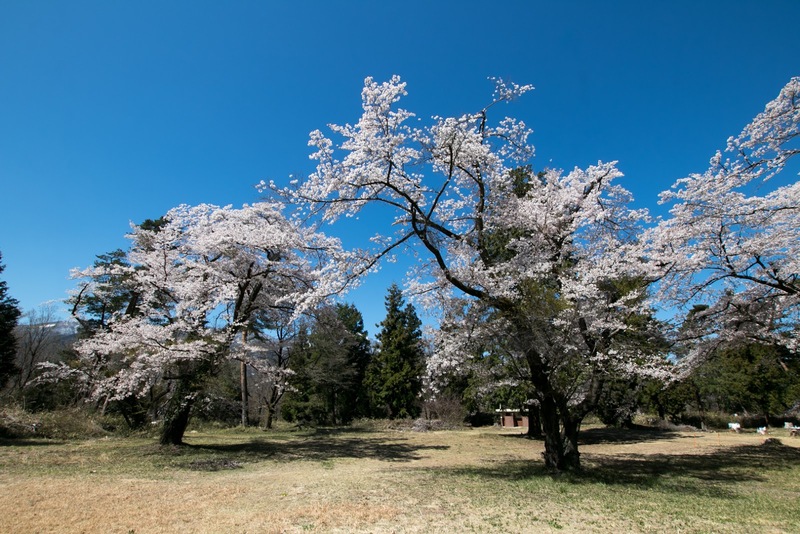 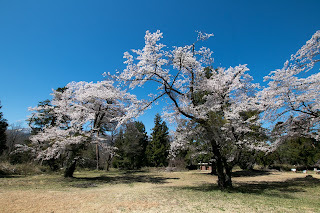 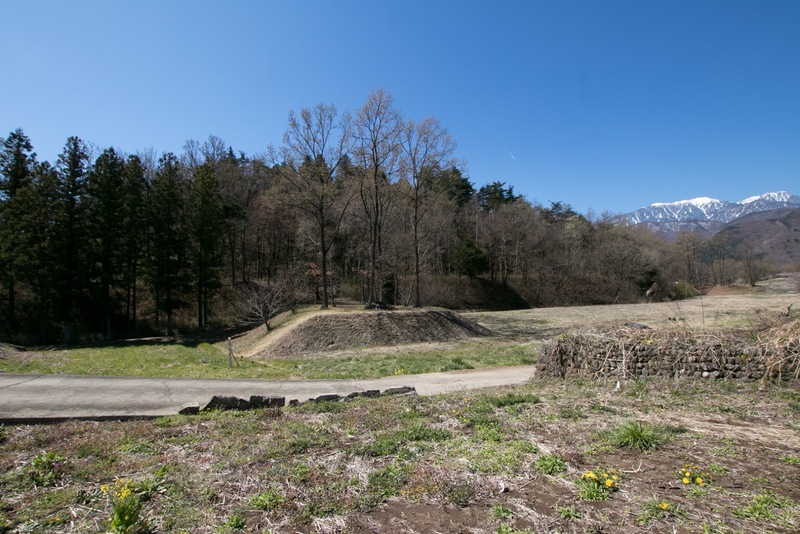 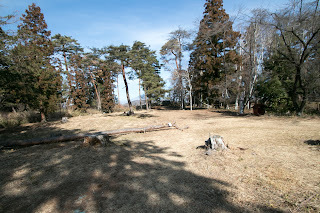 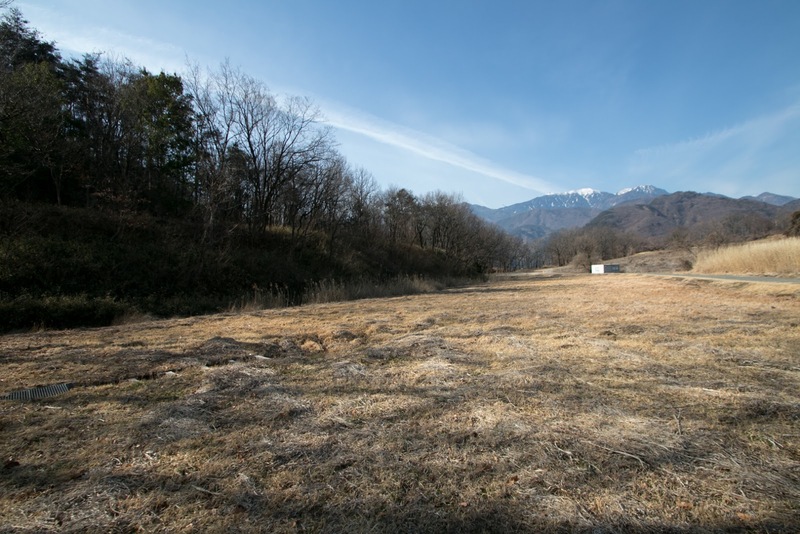 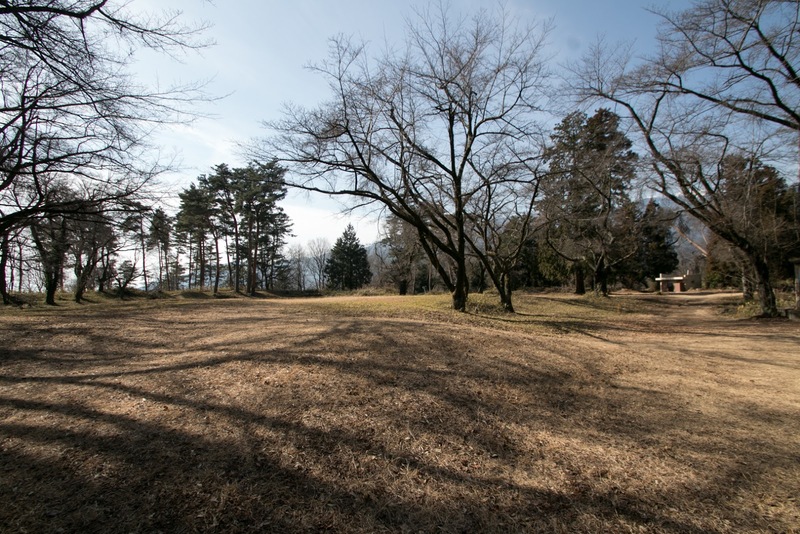 Under this situation, in 1581, Katsuyori thought necessity of more secure residence instead of small Tsutsujigasaki palace, to prevent invasion of Oda army from Shinano province (Nagano prefecture). 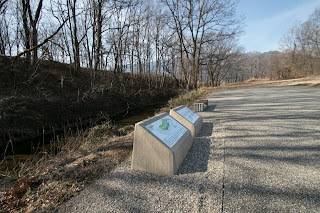 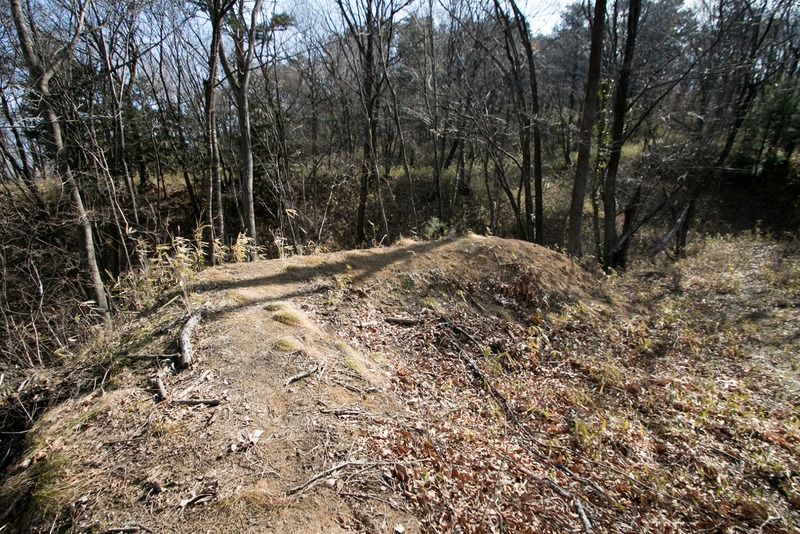 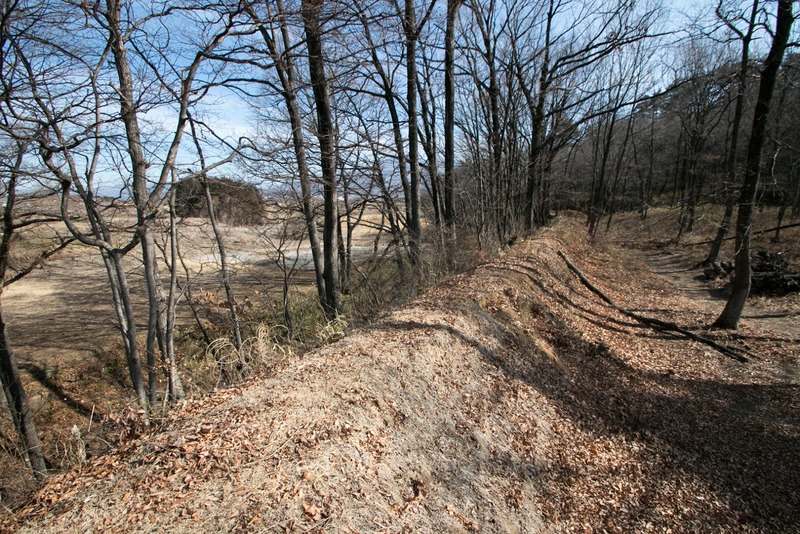 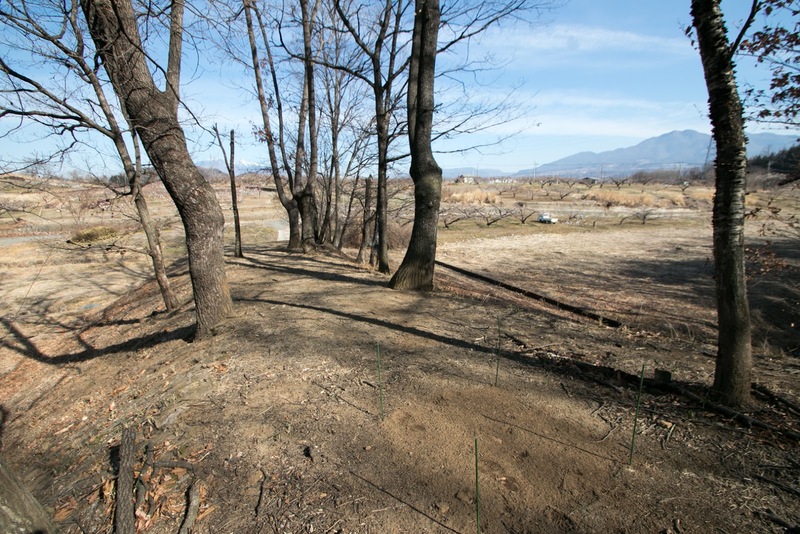 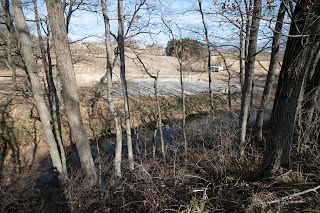 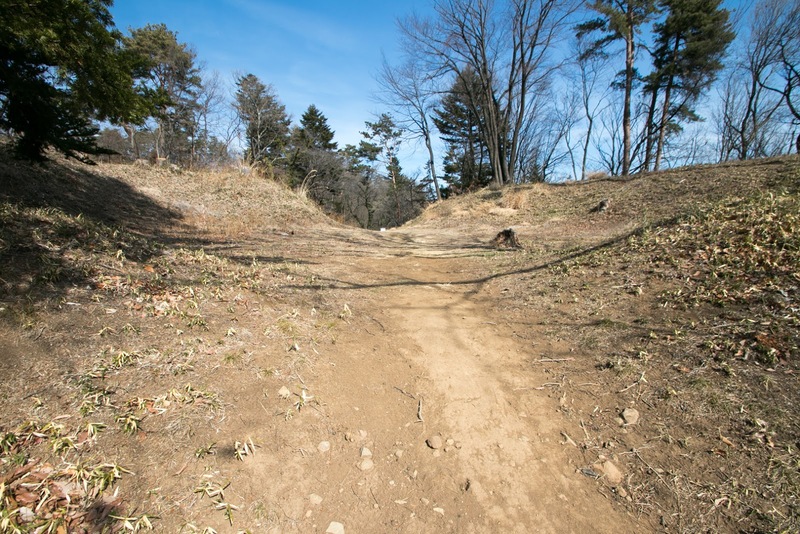 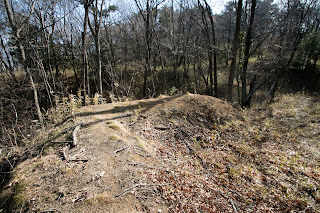 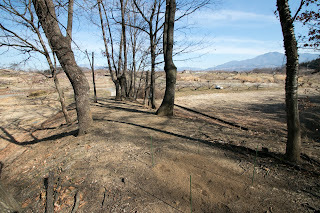 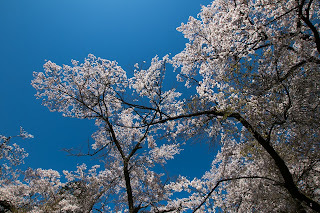 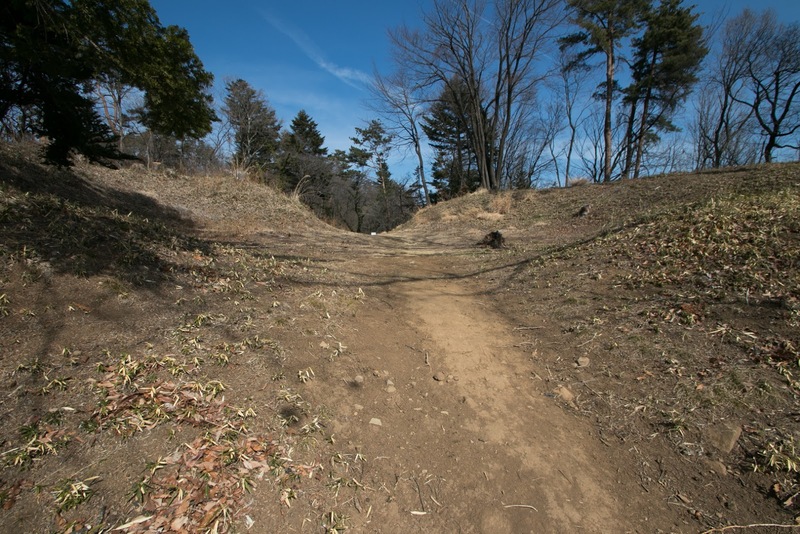 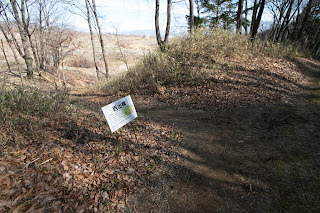 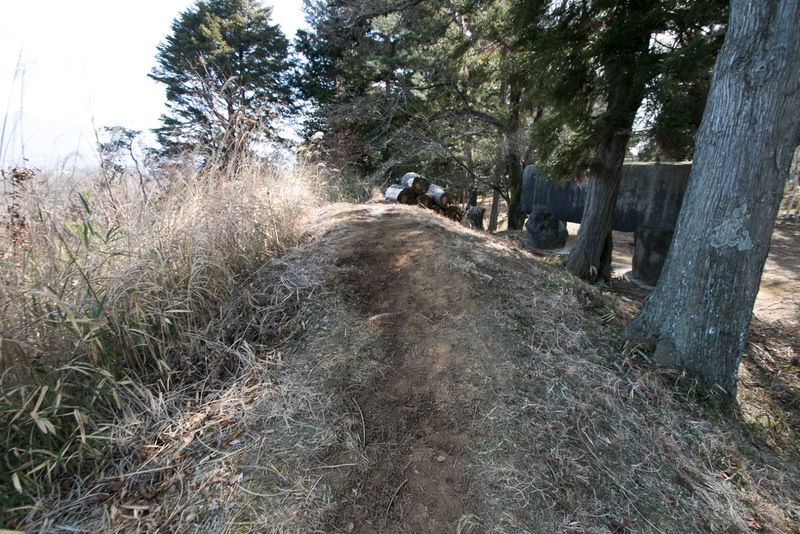 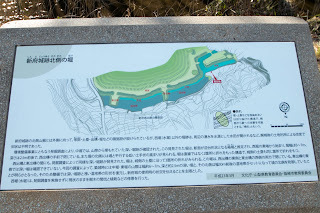 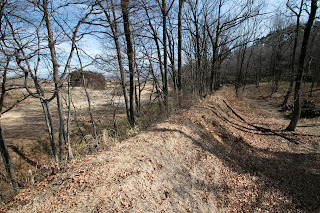 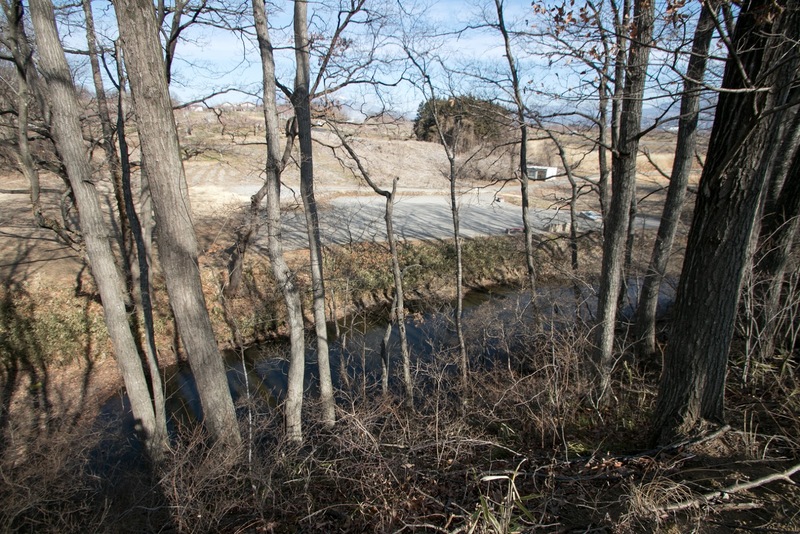 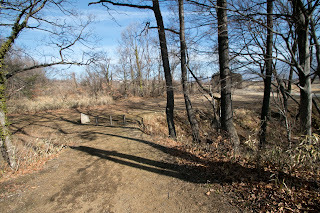 Katsuyori chose a cliff beside Fuefuki river in Nirasaki city, and started to build a new castle. 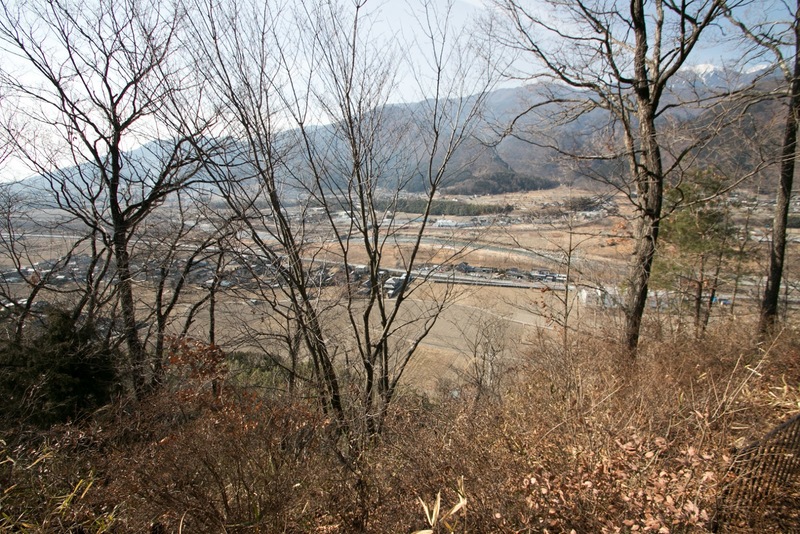 By the end of the year main areas were mostly completed. Katsuyori named this castle as Shinpu castle (new capital), and moved his residence with retainers from Tsutsujigasaki Palace to Shinpu. 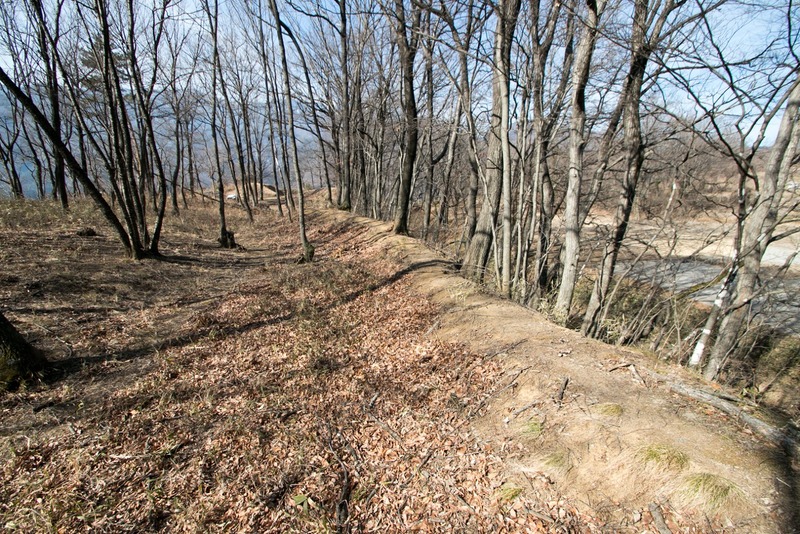 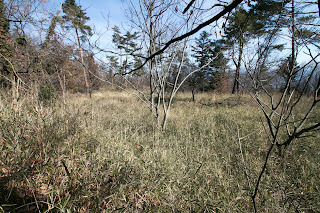 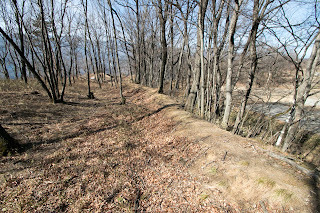 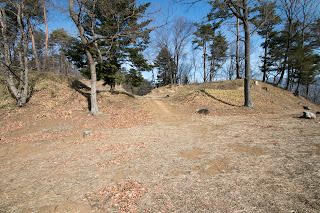 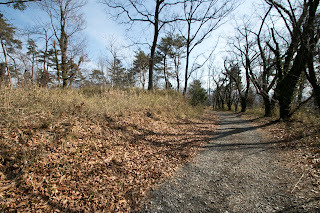 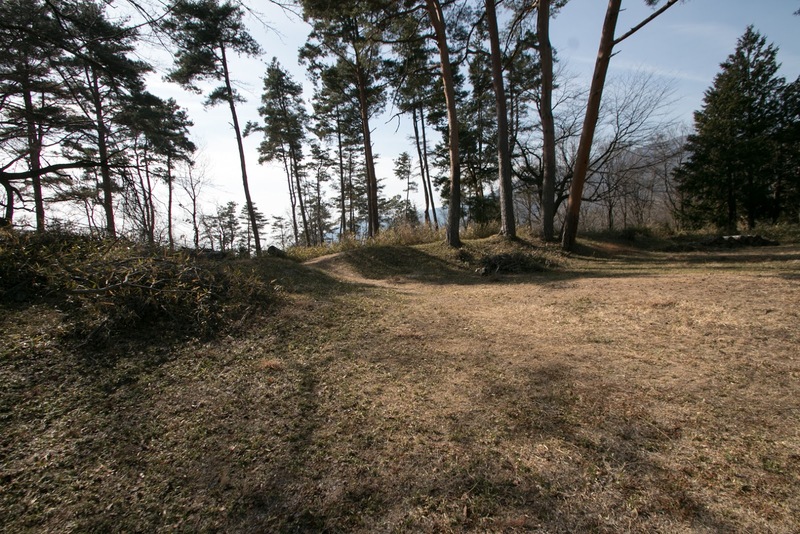 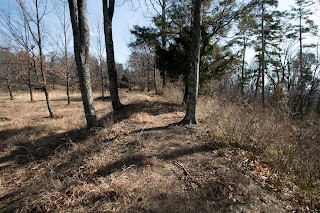 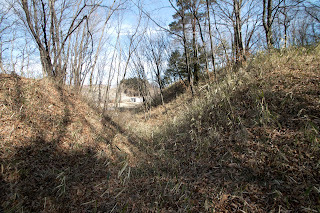 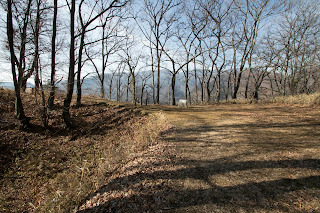 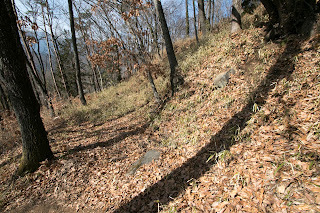 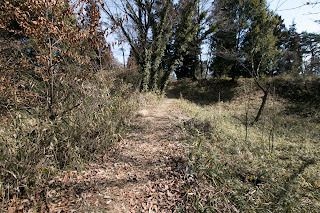 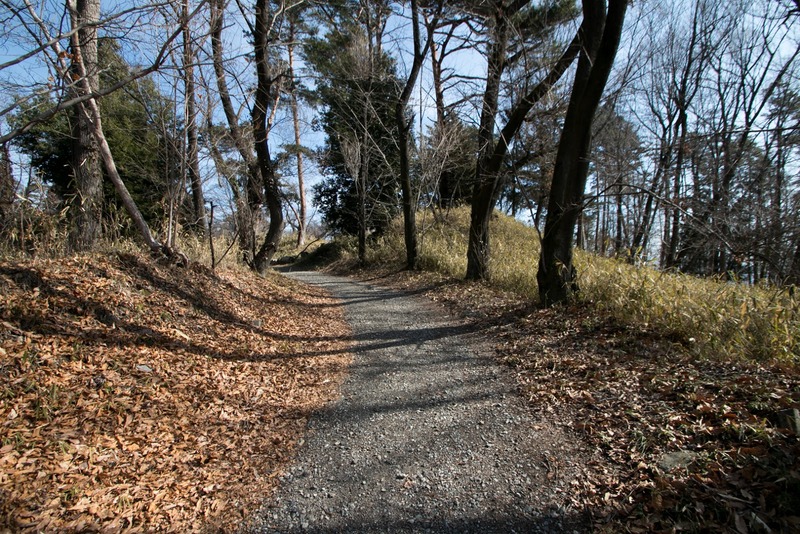 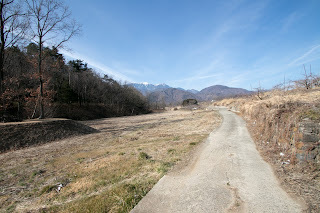 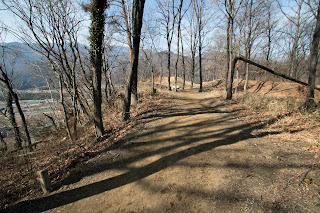 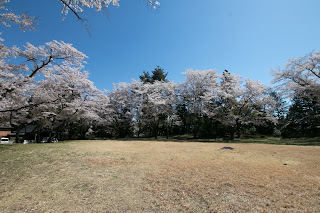 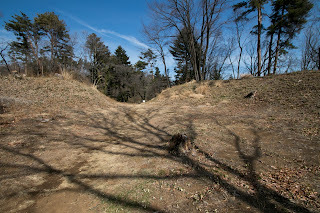 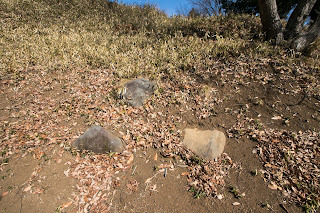 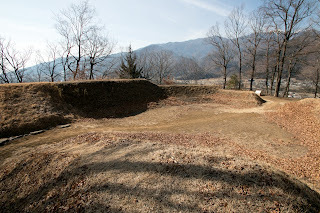 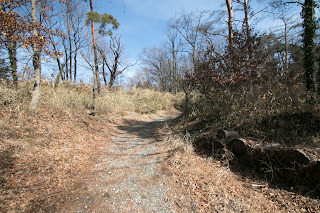 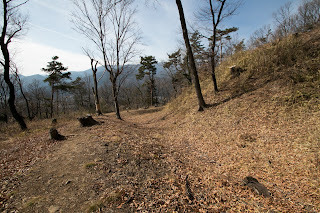 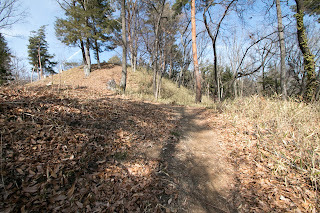 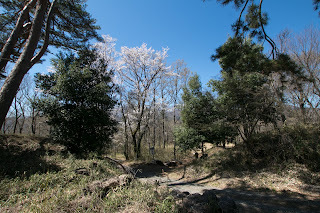 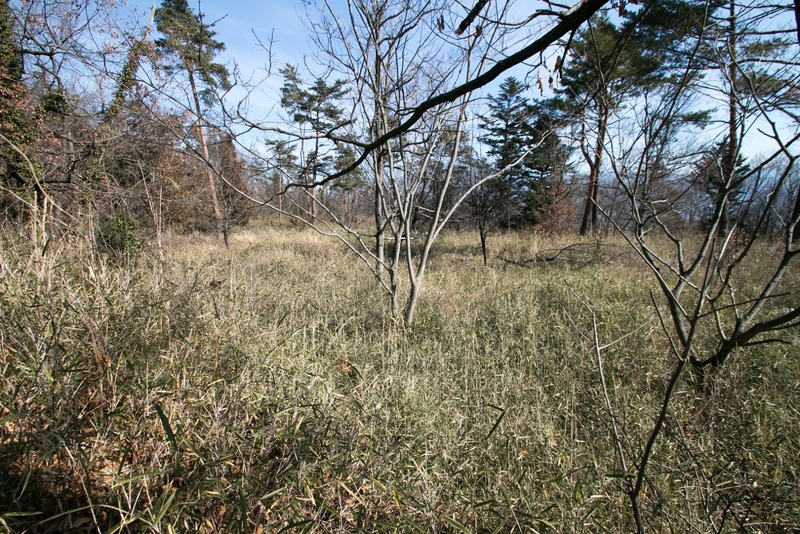 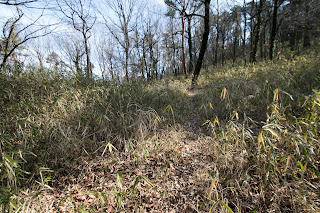 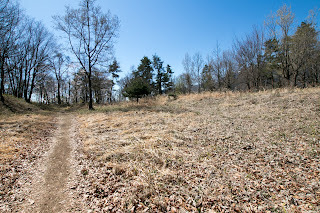 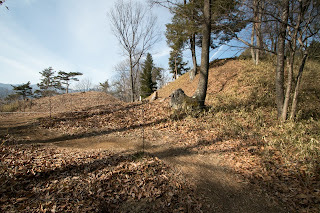 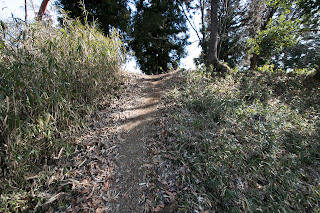 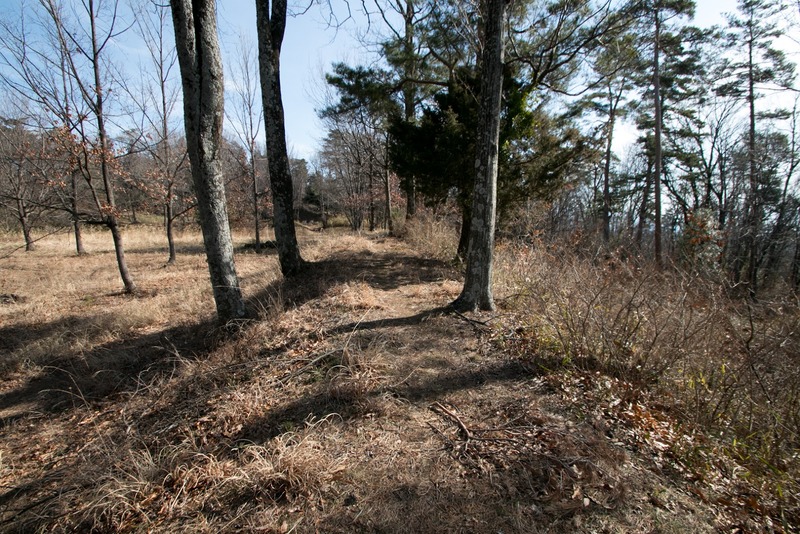 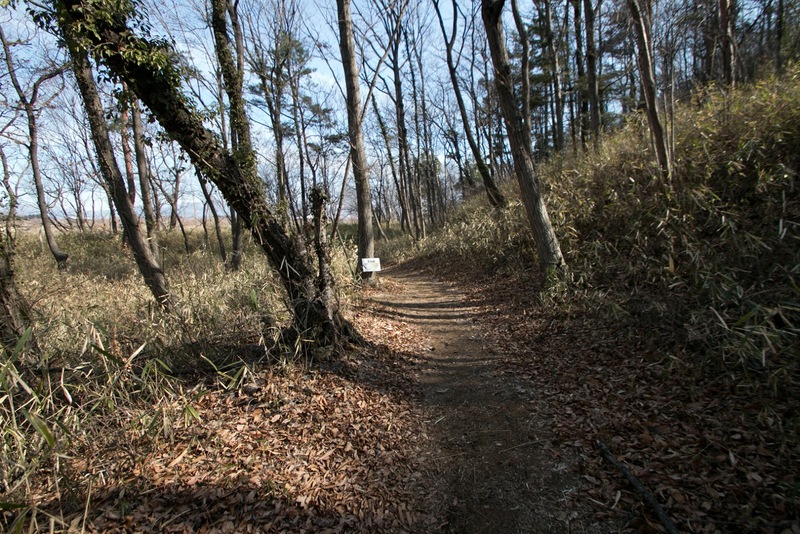 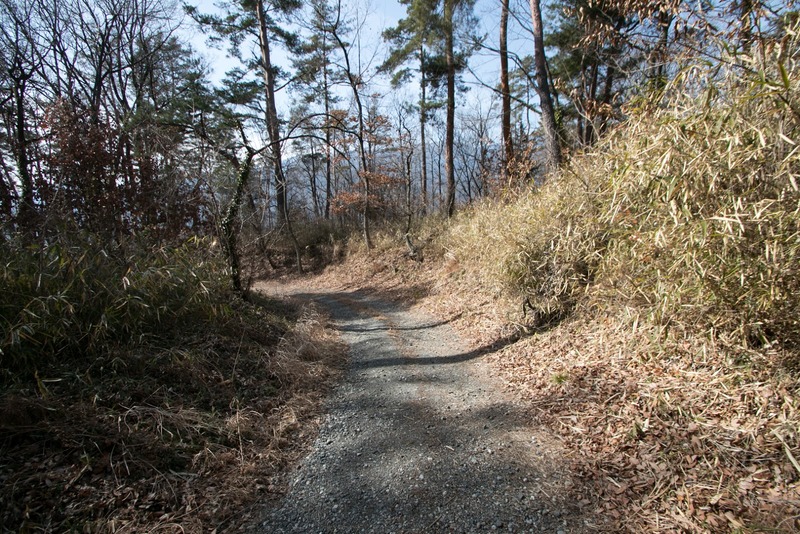 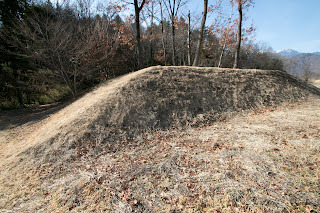 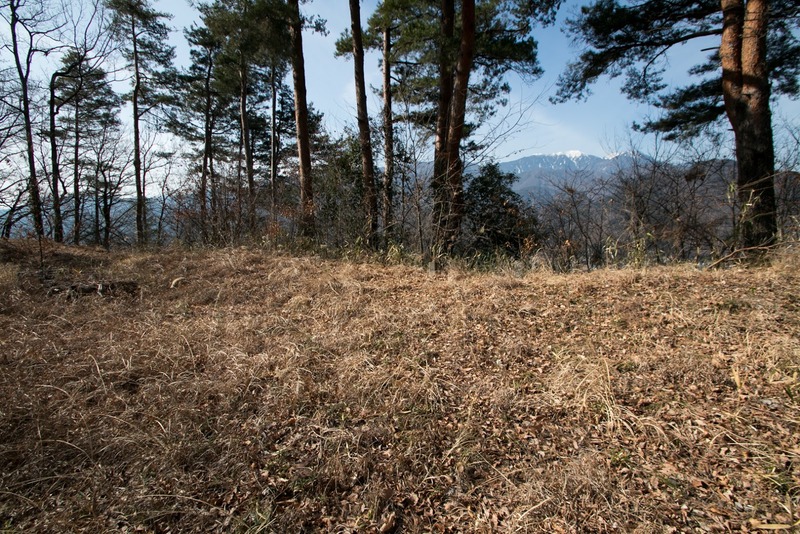 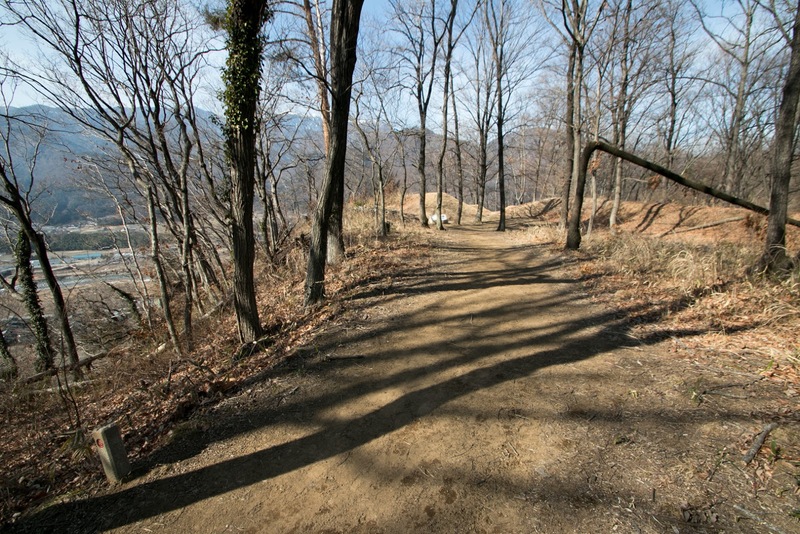 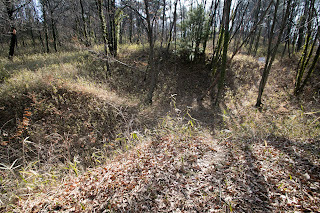 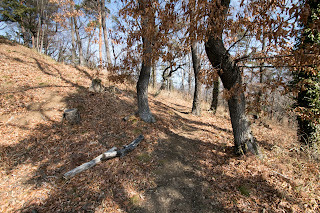 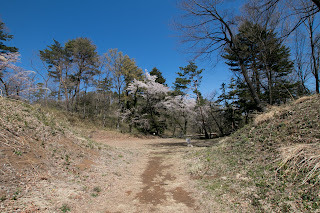 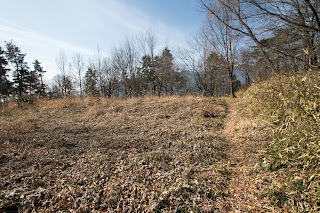 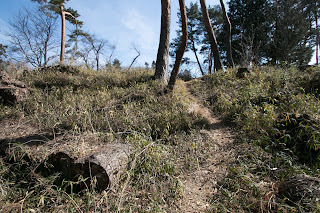 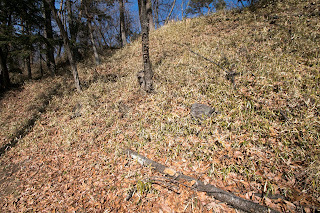 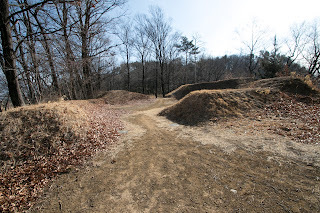 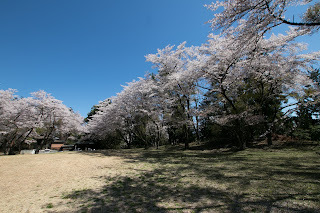 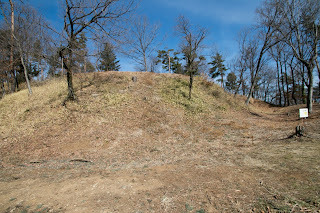 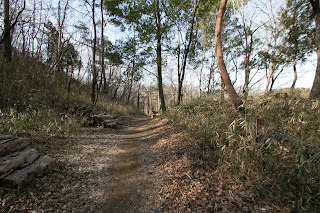 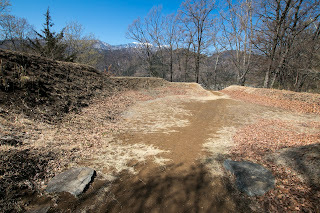 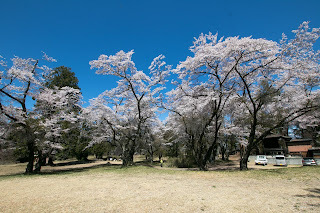 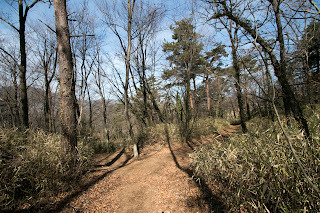 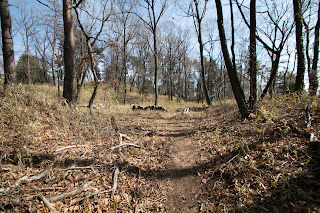 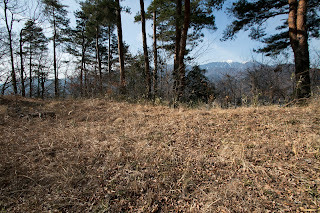 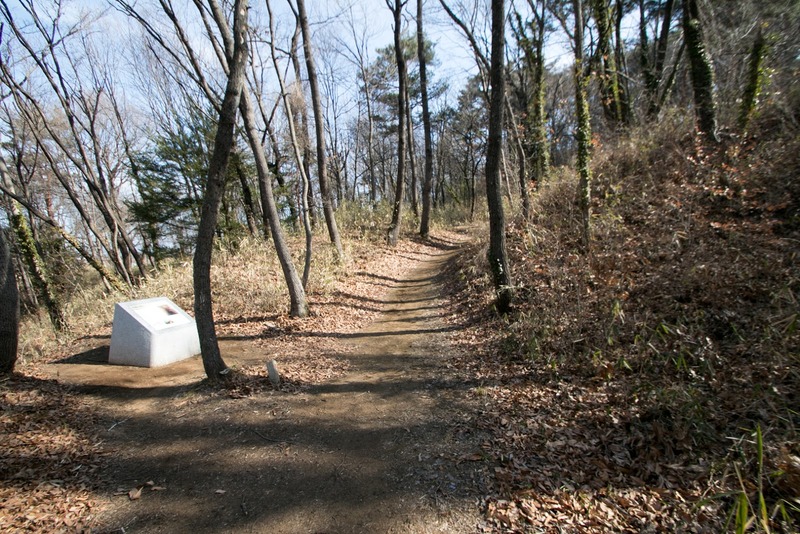 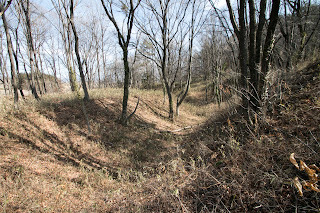 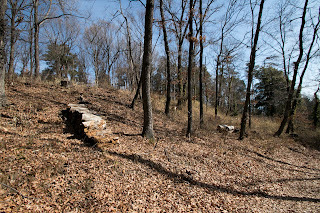 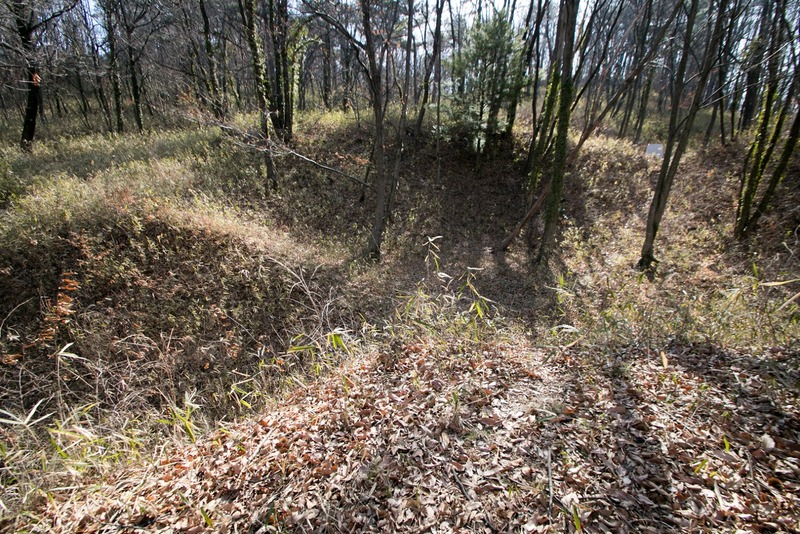 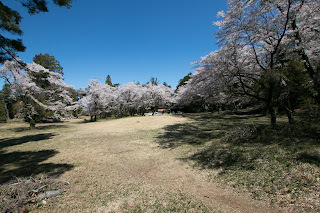 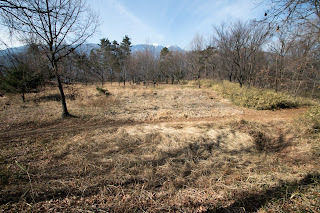 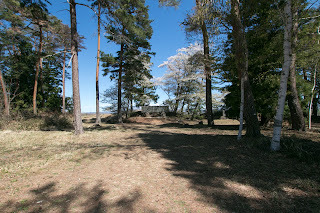 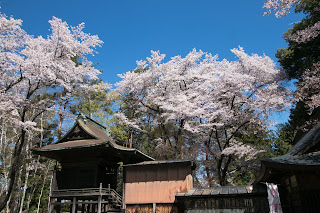 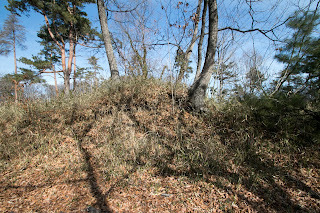 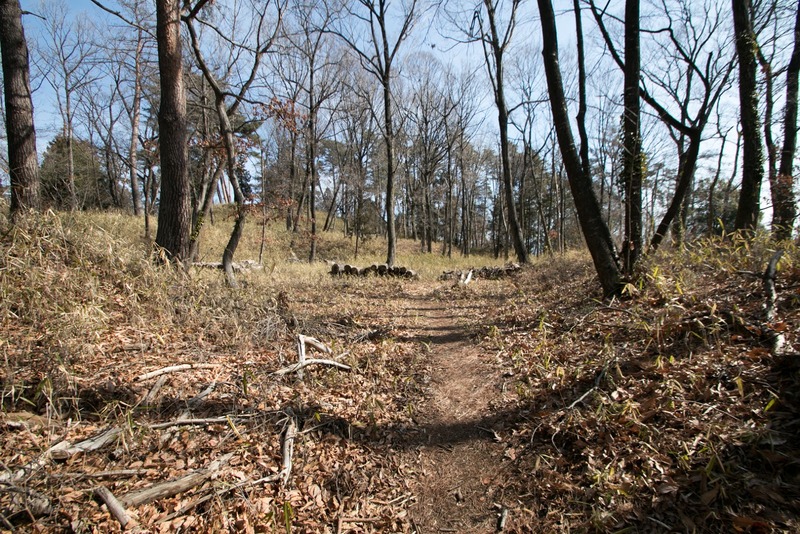 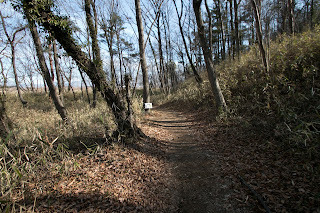 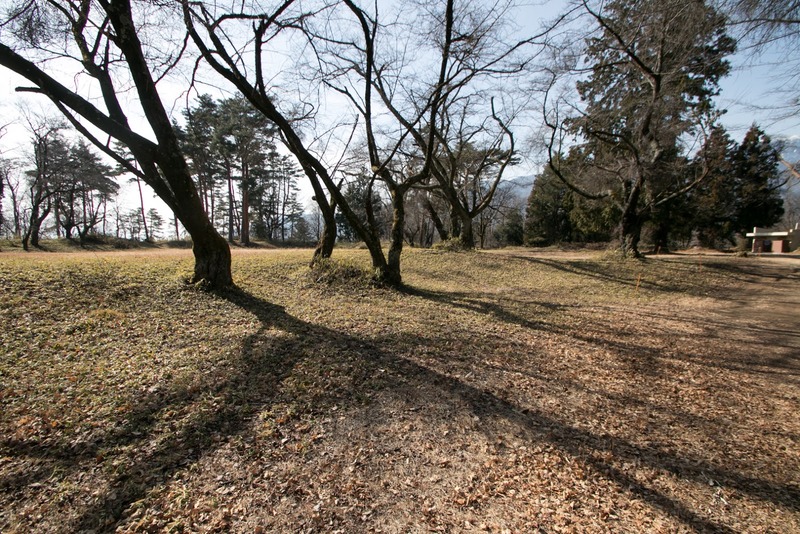 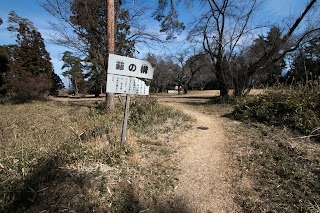 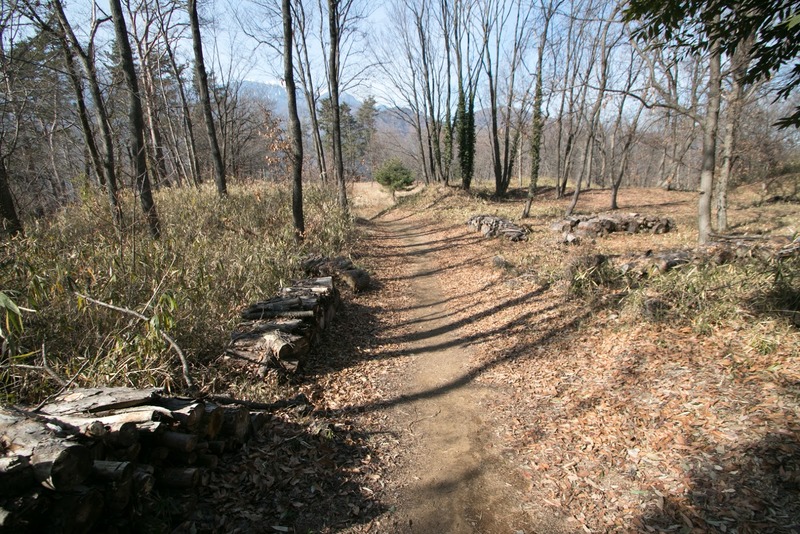 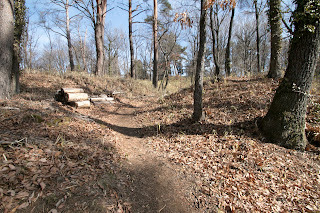 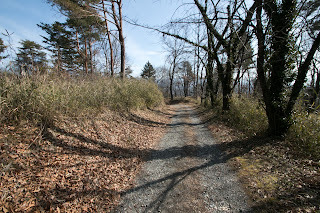 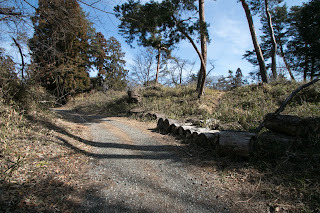 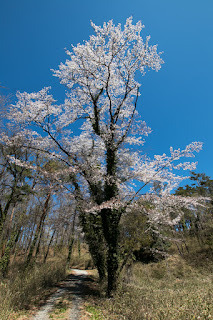 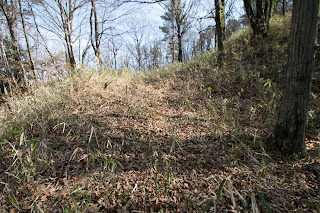 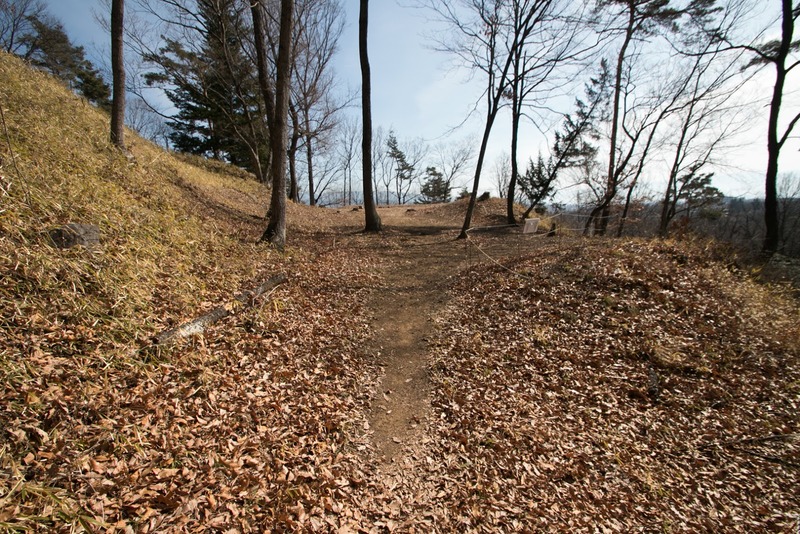 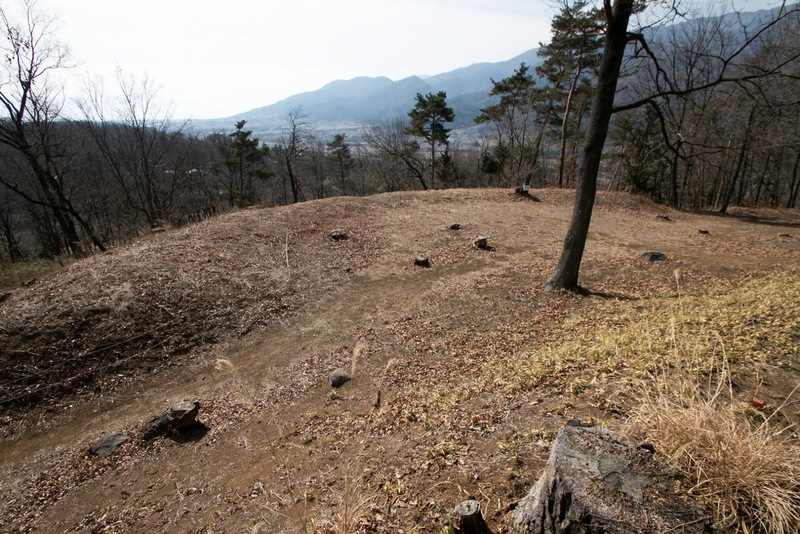 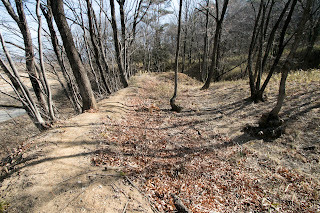 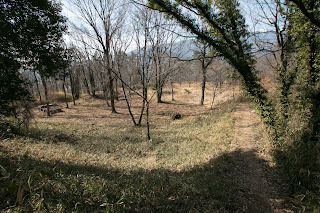 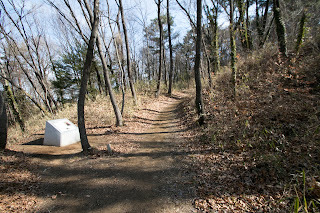 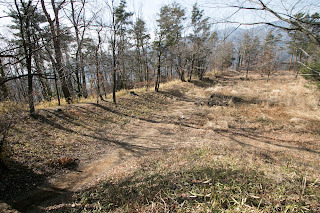 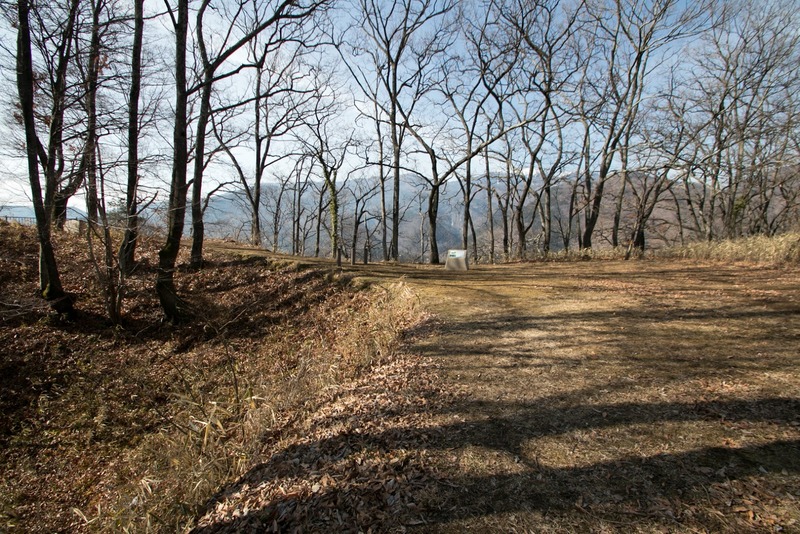 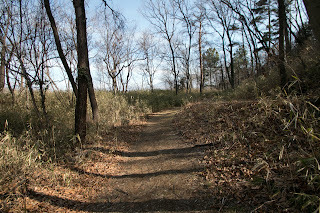 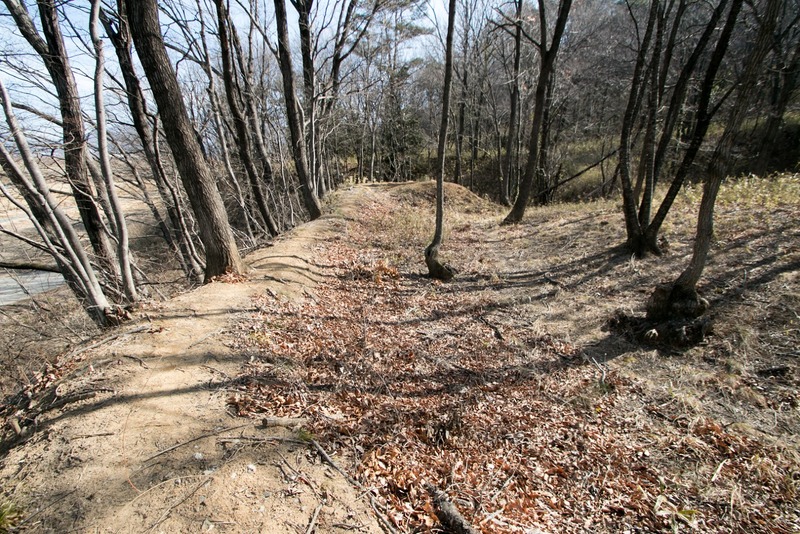 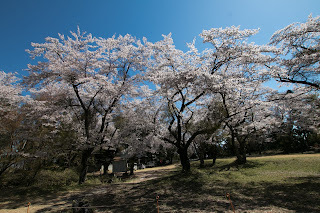 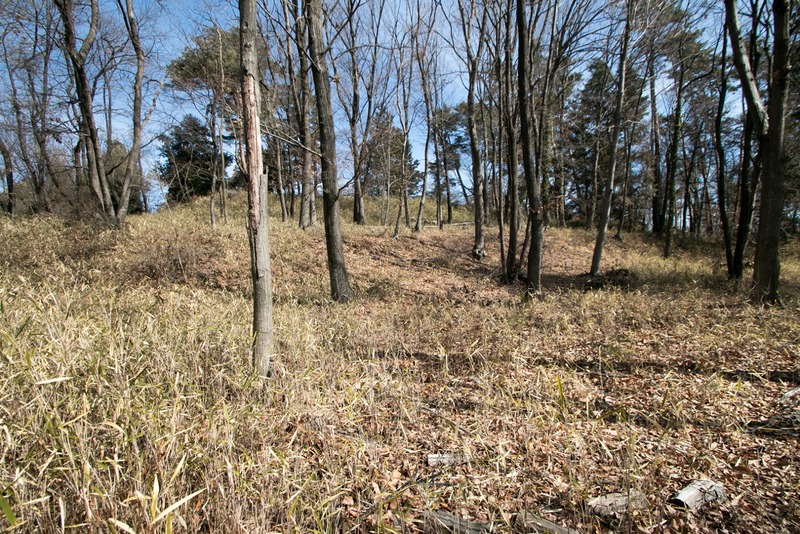 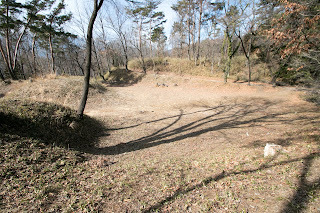 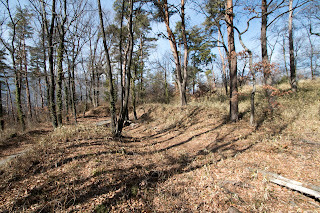 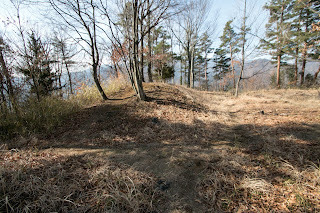 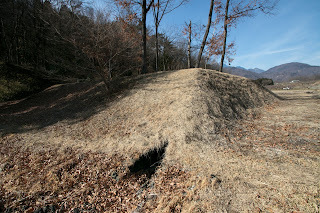 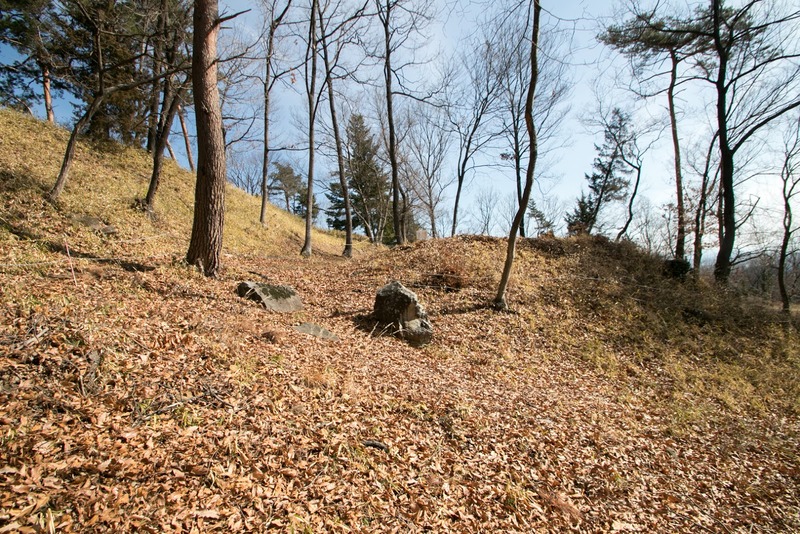 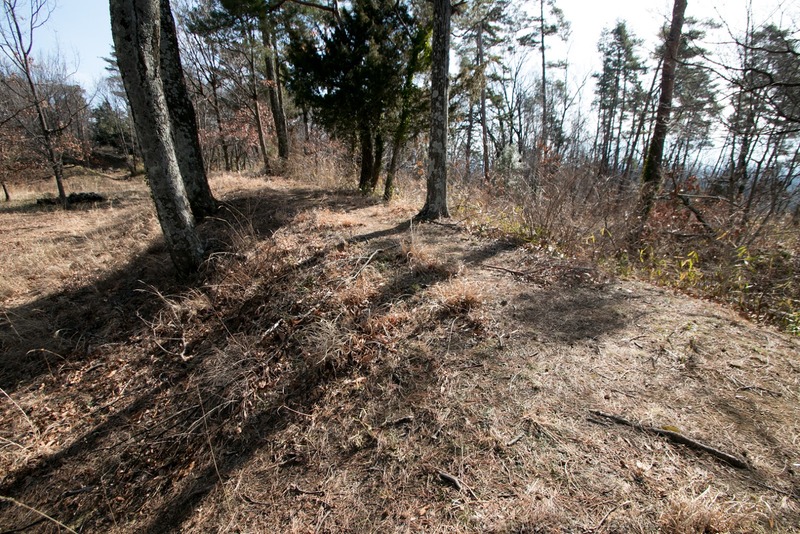 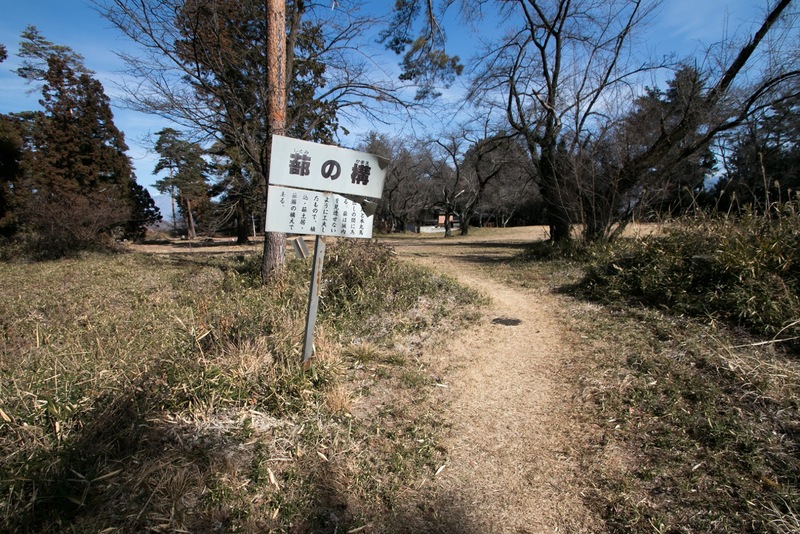 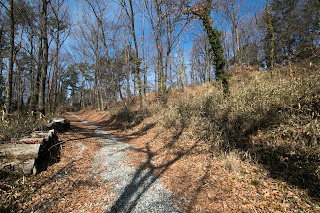 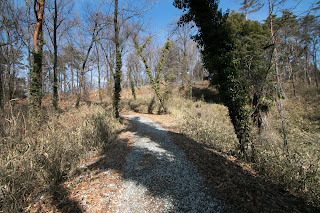 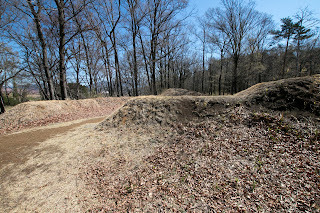 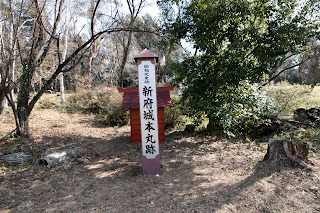 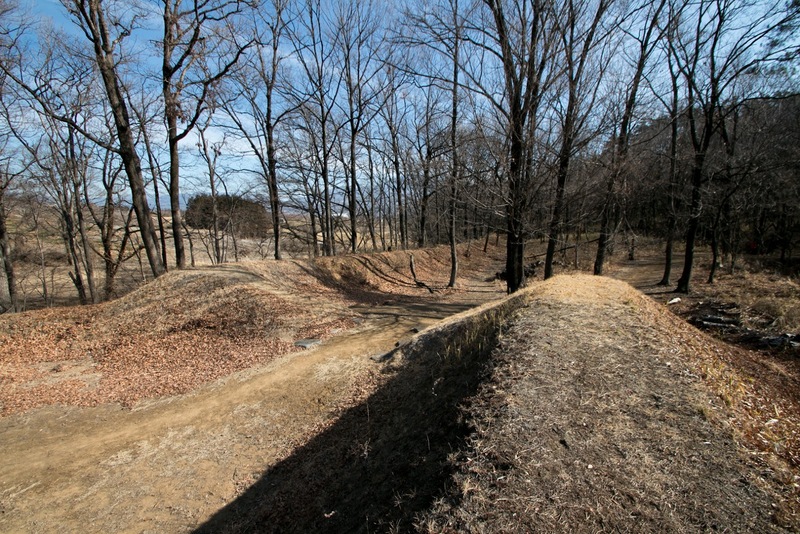 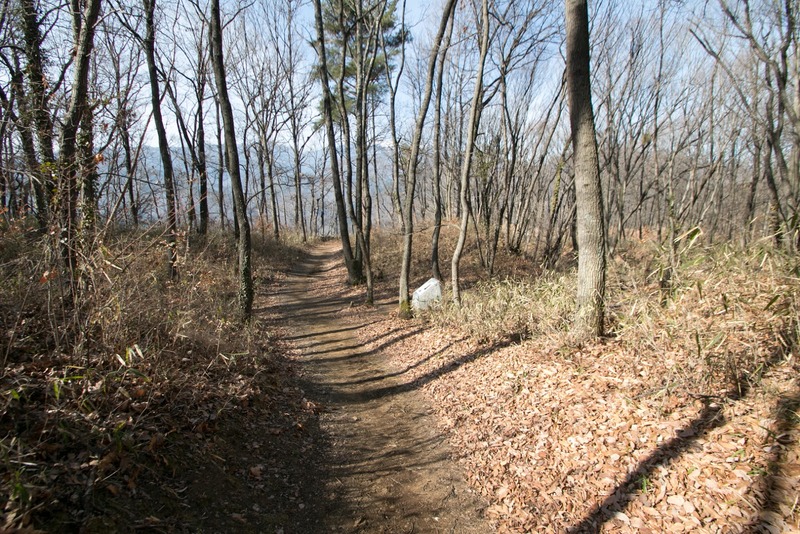 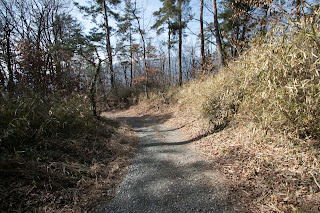 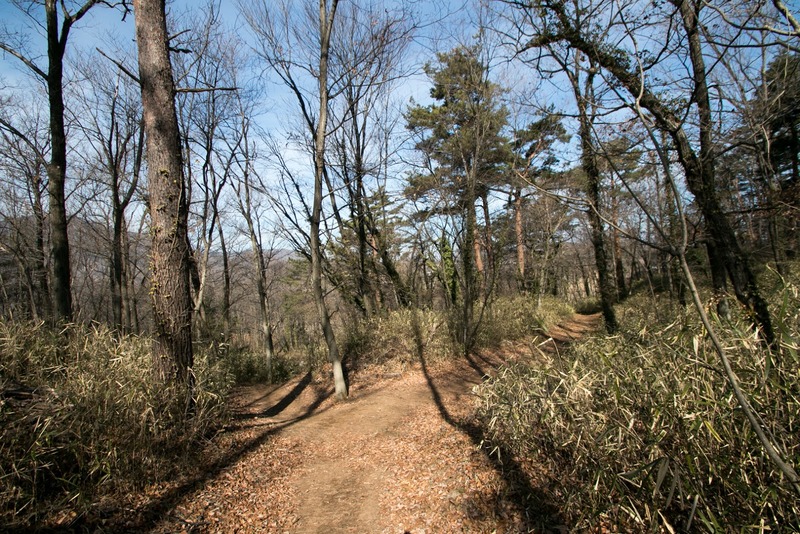 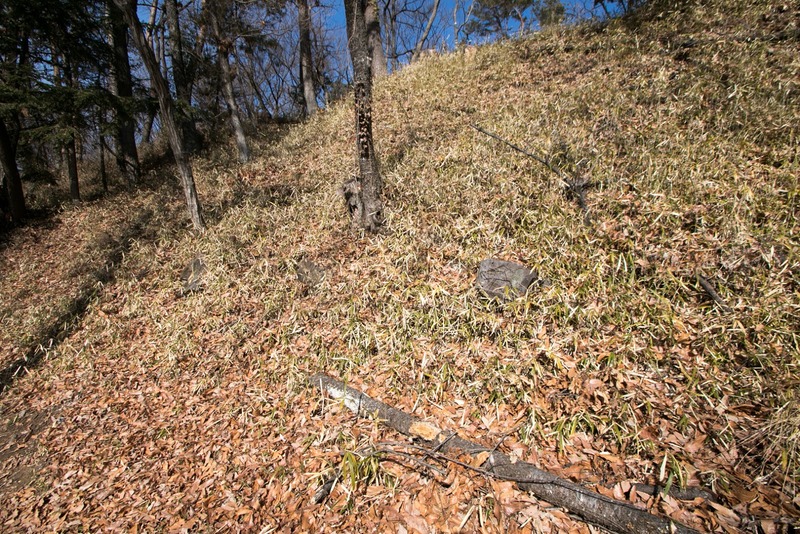 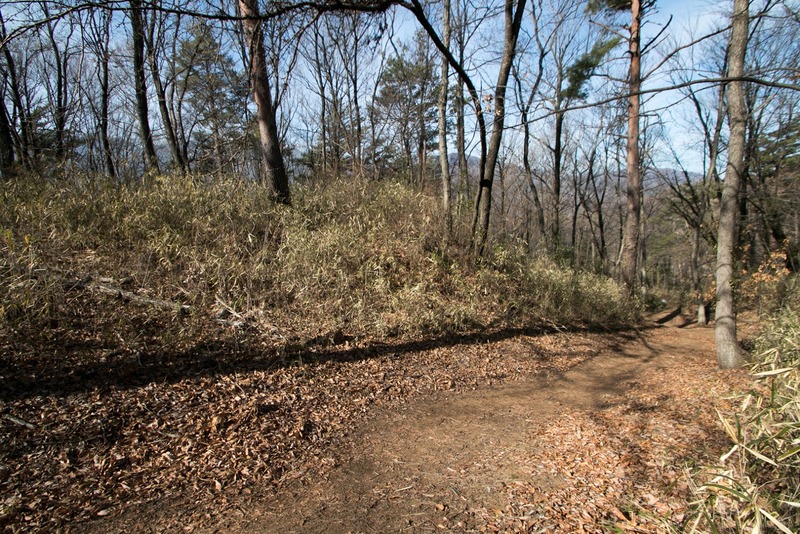 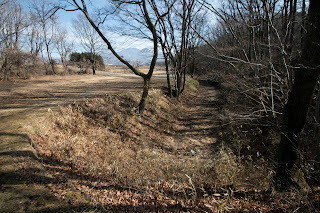 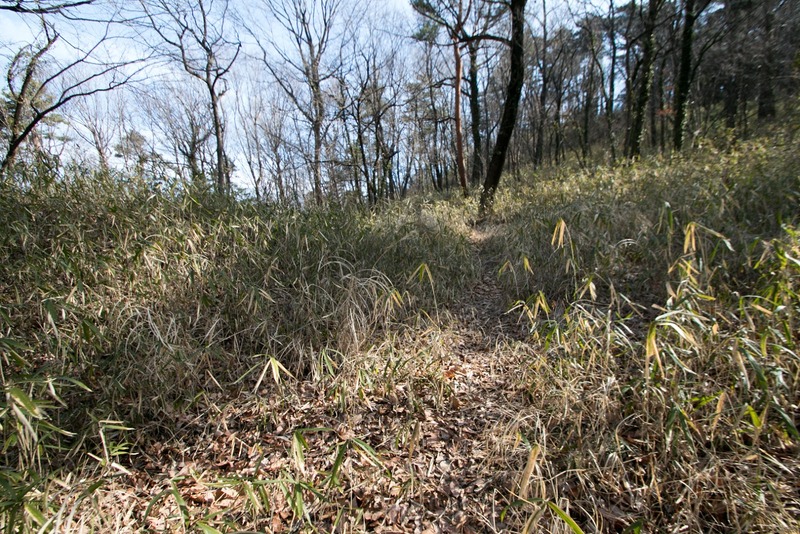 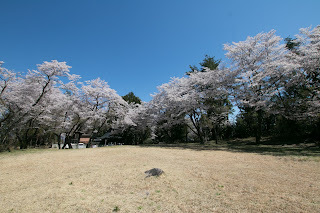 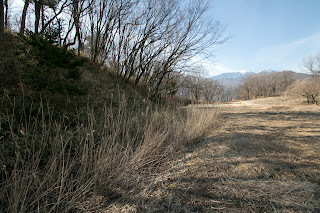 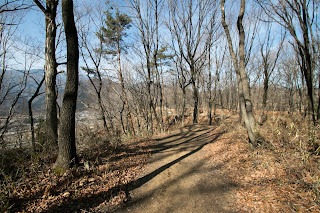 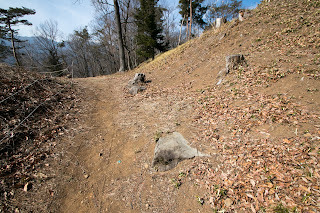 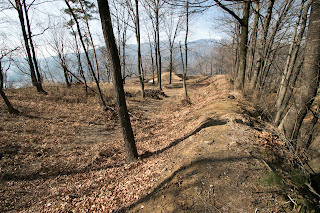 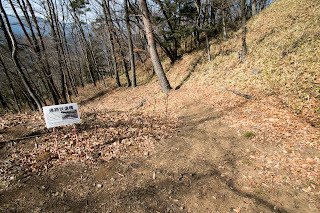 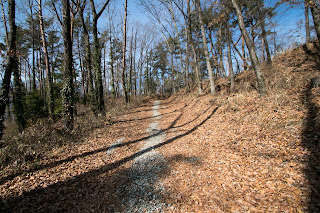 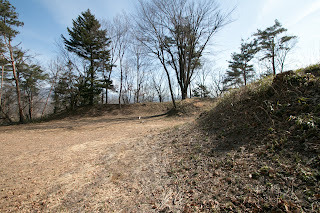 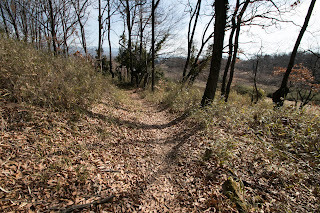 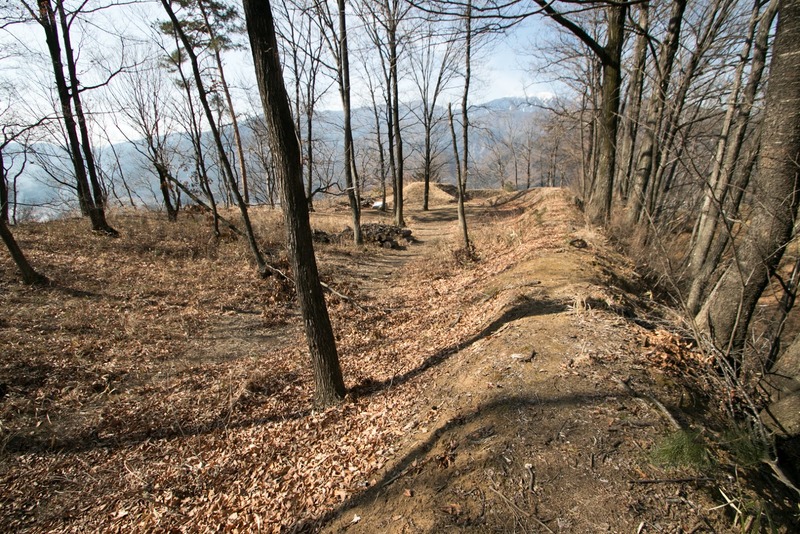 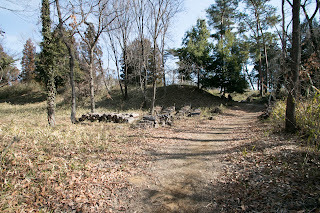 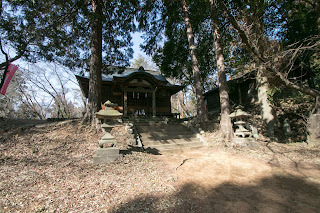 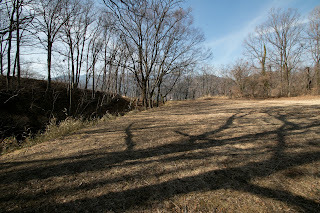 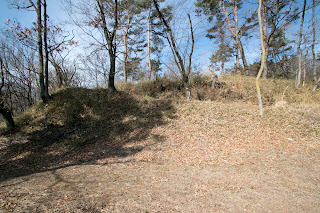 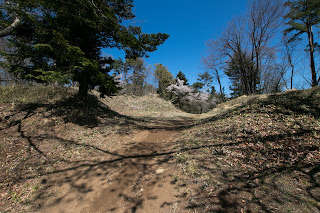 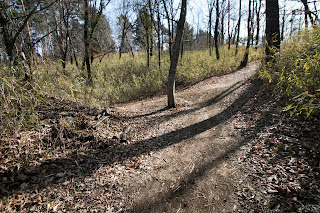 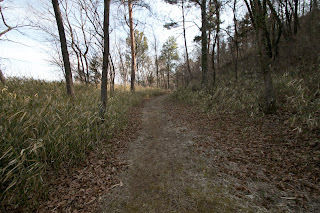 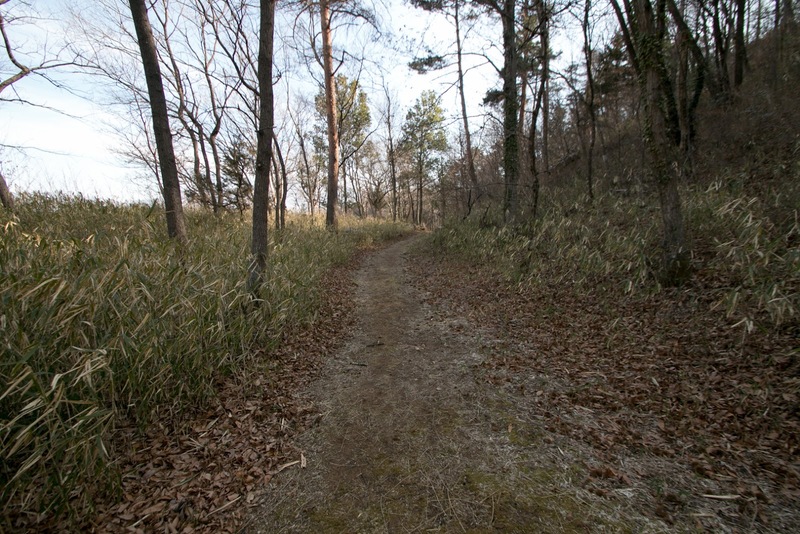 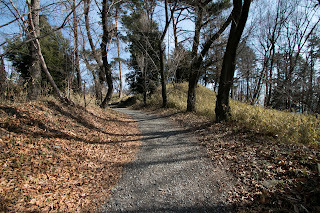 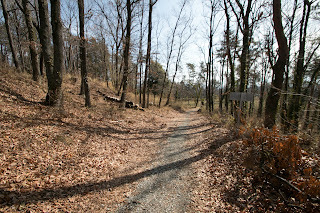 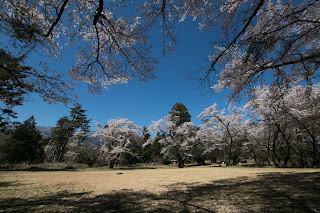 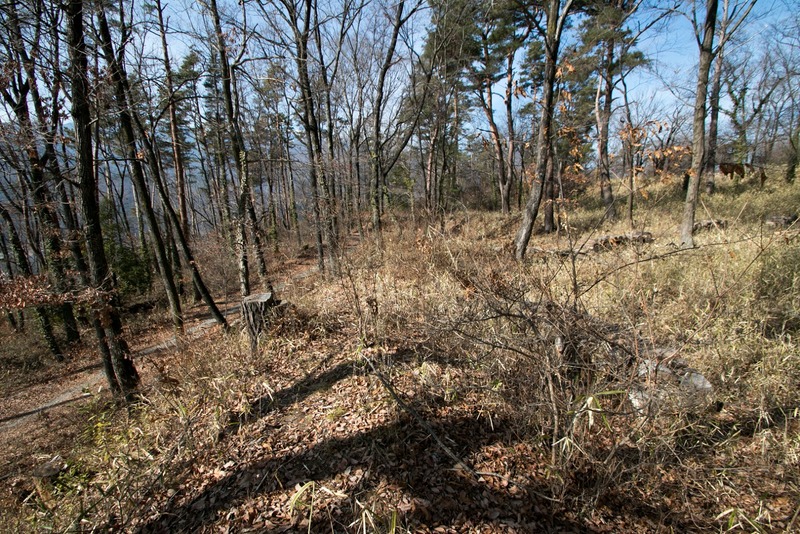 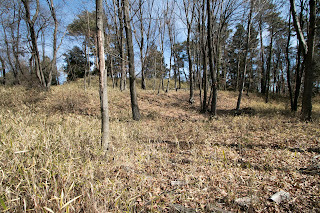 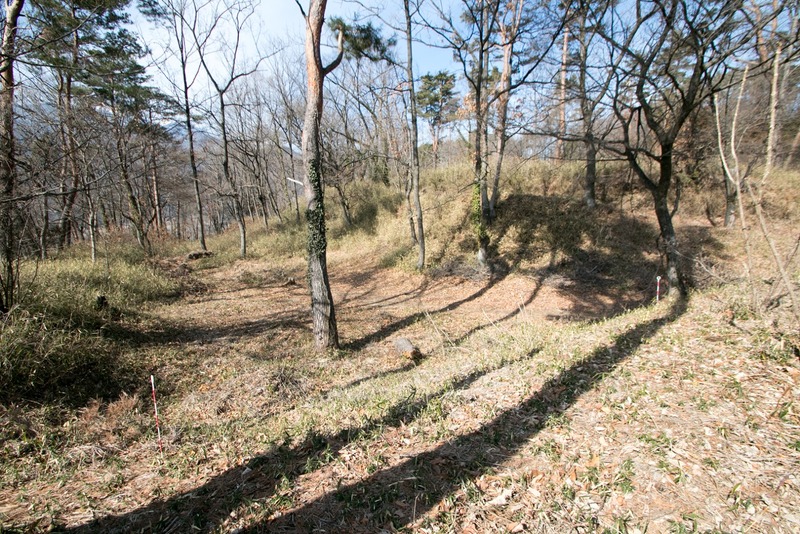 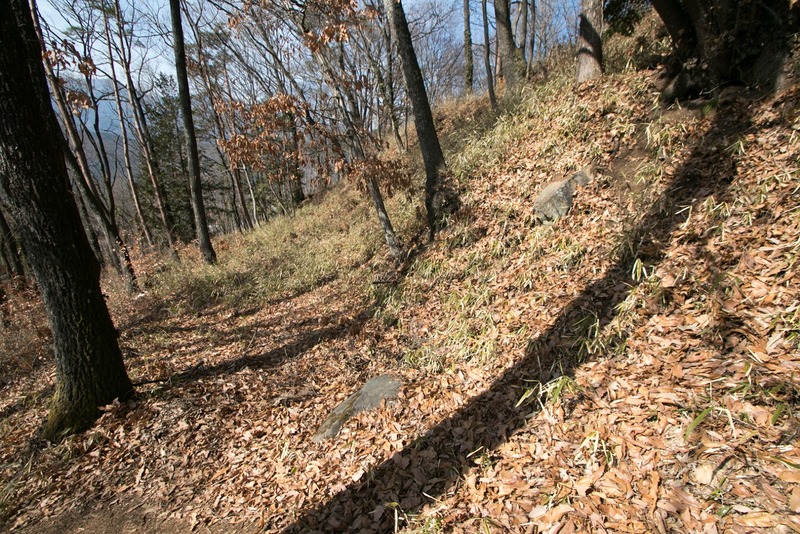 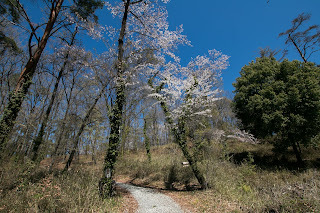 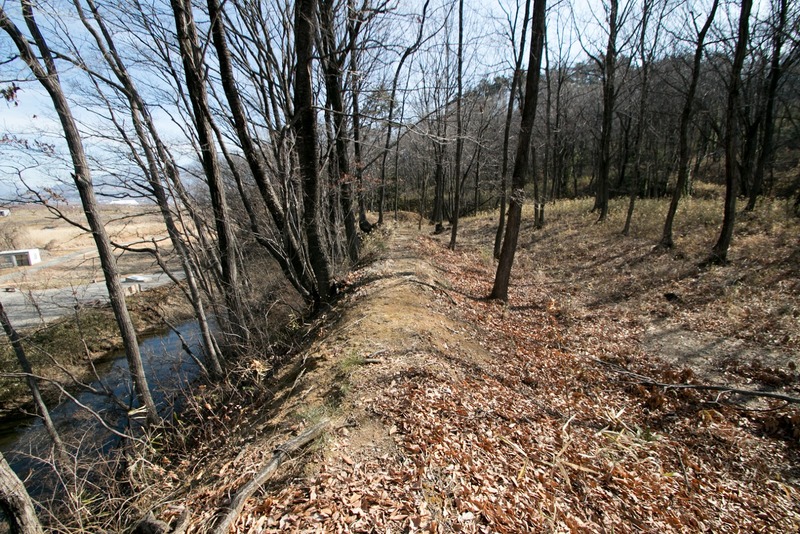 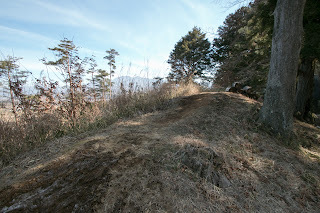 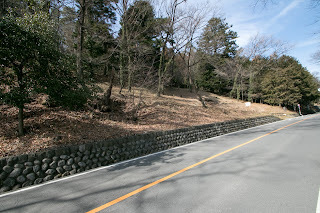 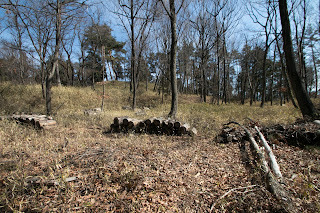 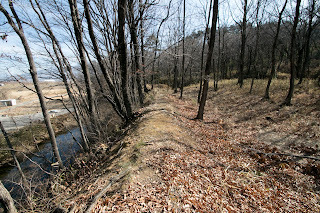 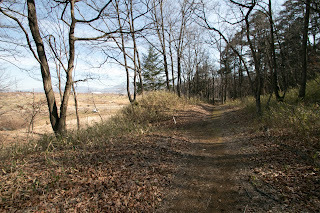 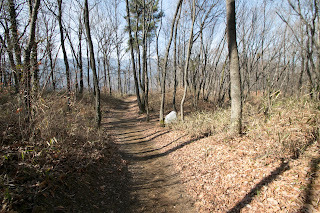 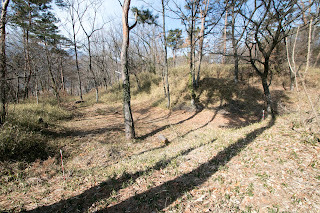 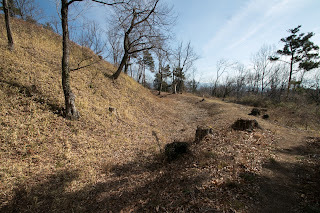 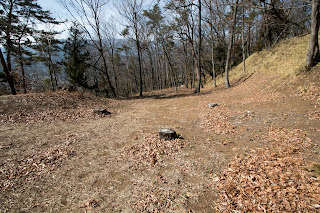 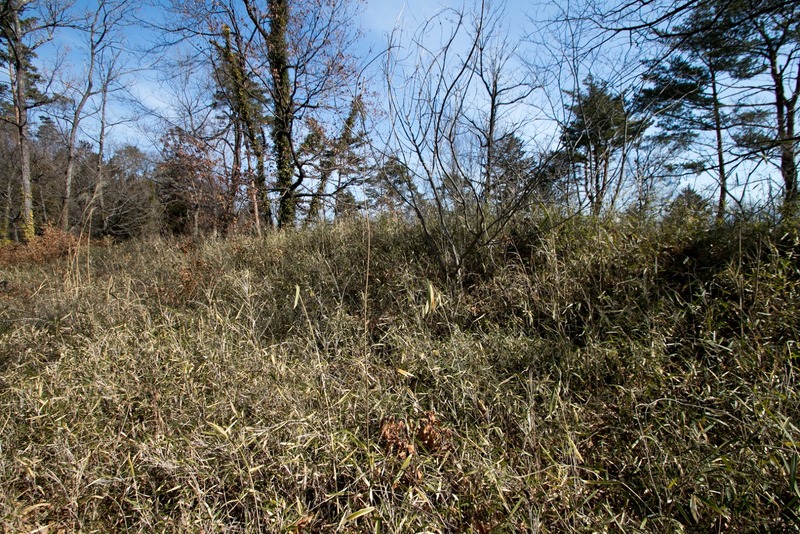 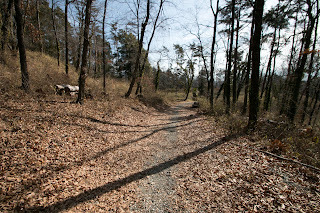 Shinpu castle was built on the hill of about 500 meter length and 200 meter width spreads to north and south direction. 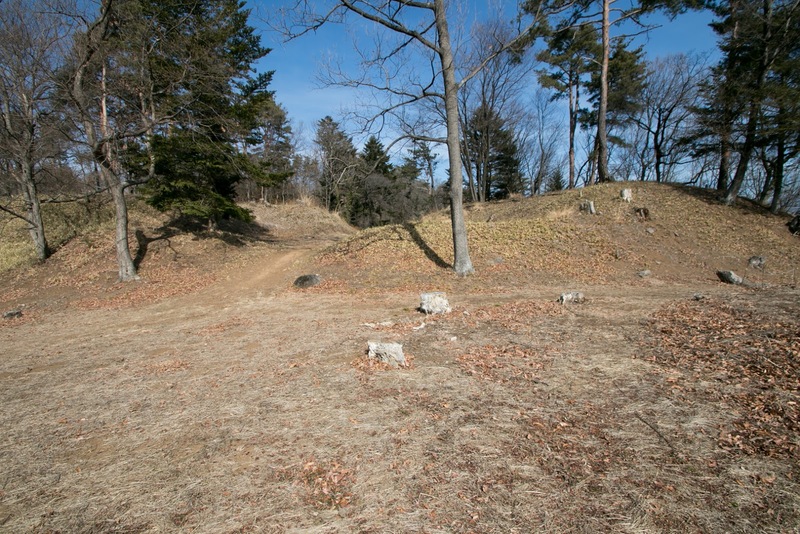 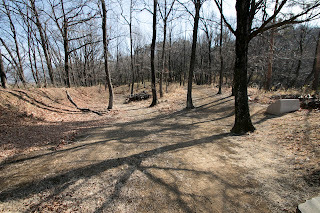 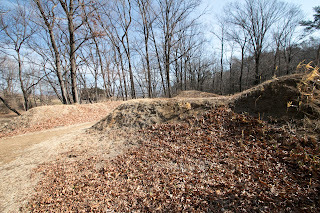 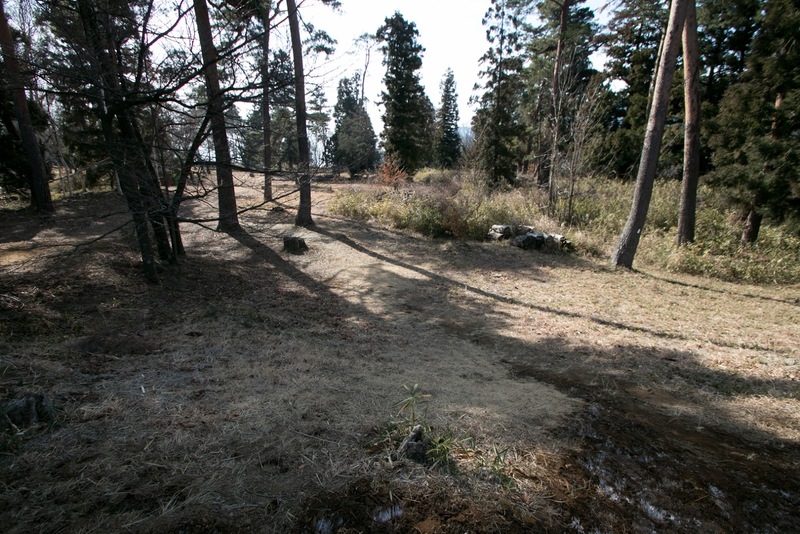 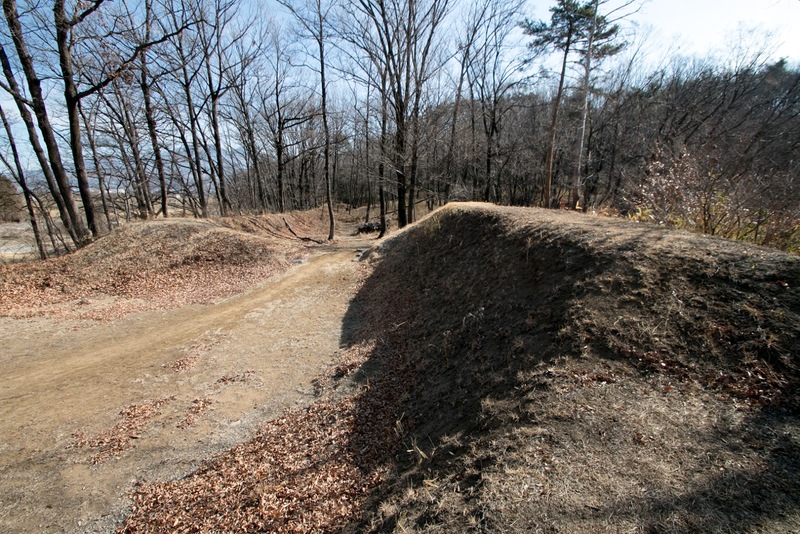 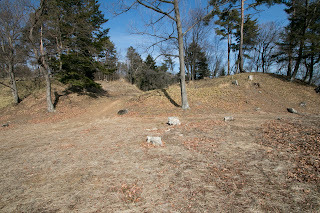 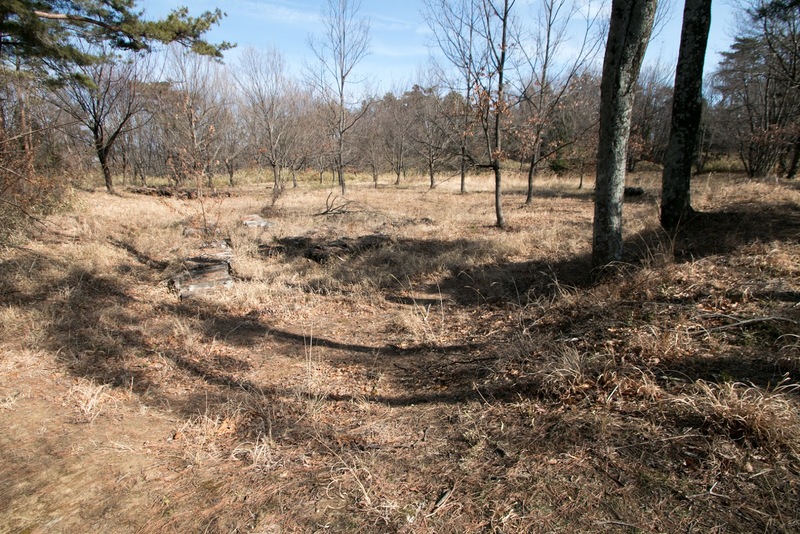 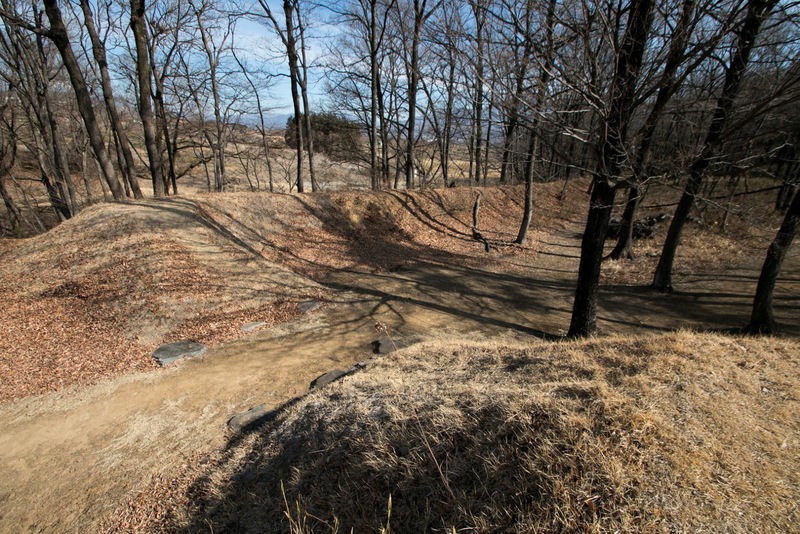 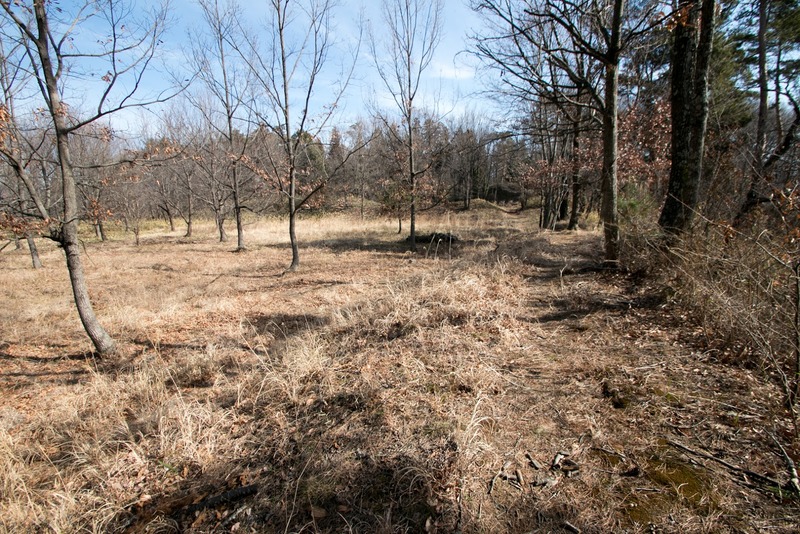 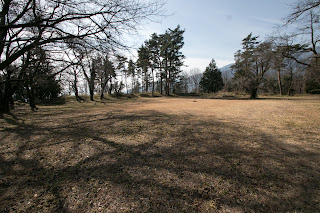 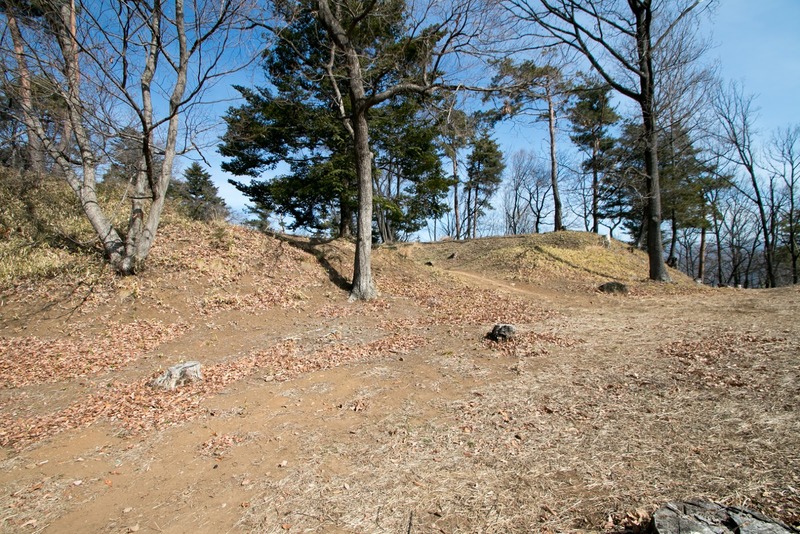 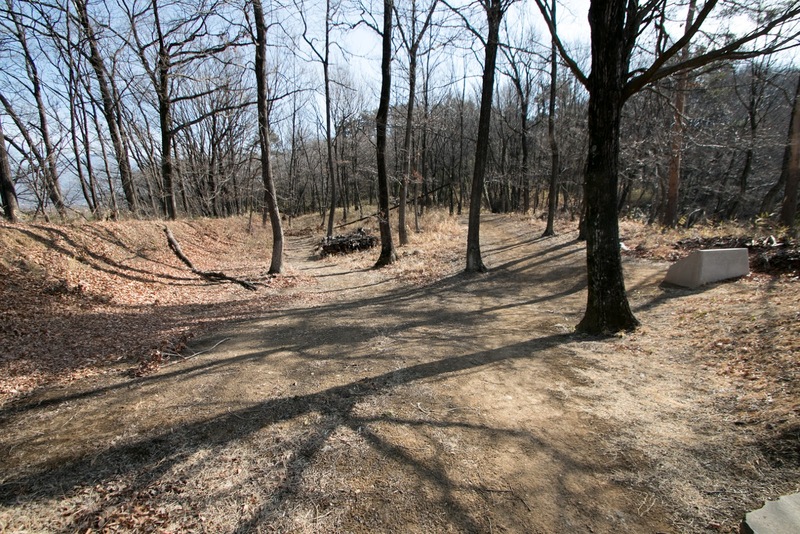 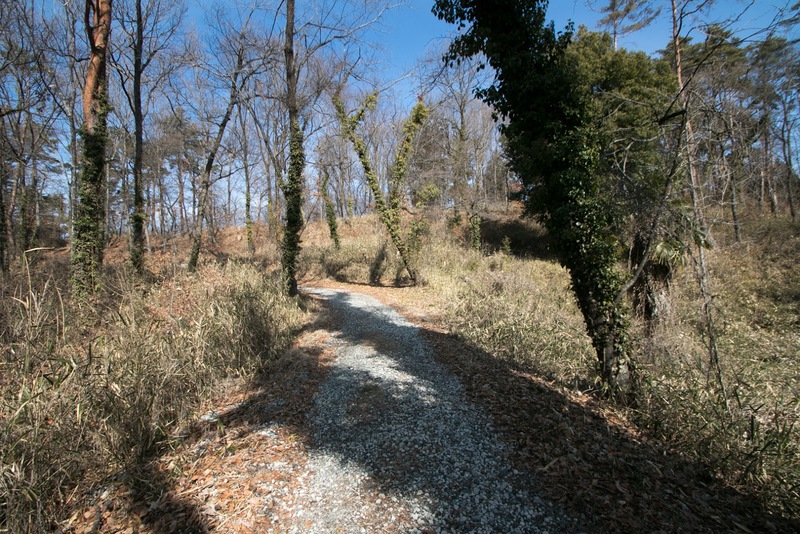 A square shaped central area locates at the top of the hill, and connecting space into the main gate was built at the west of central area. 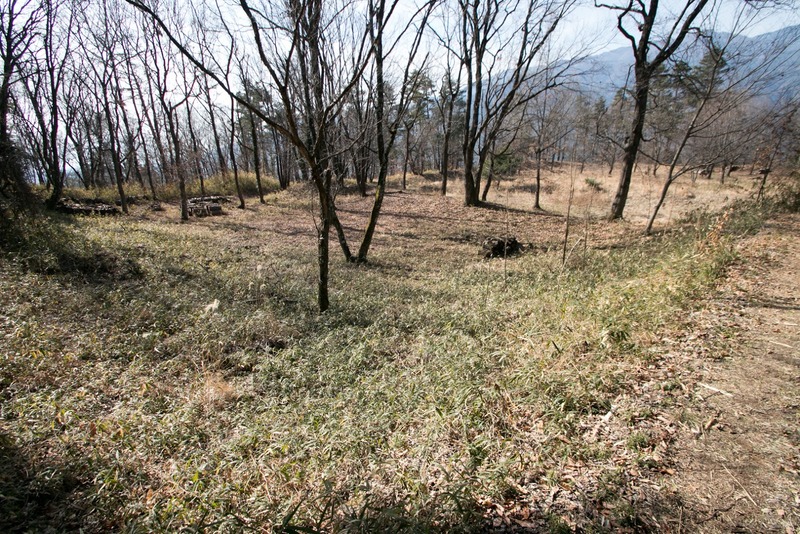 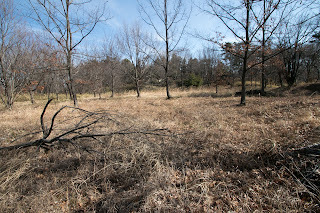 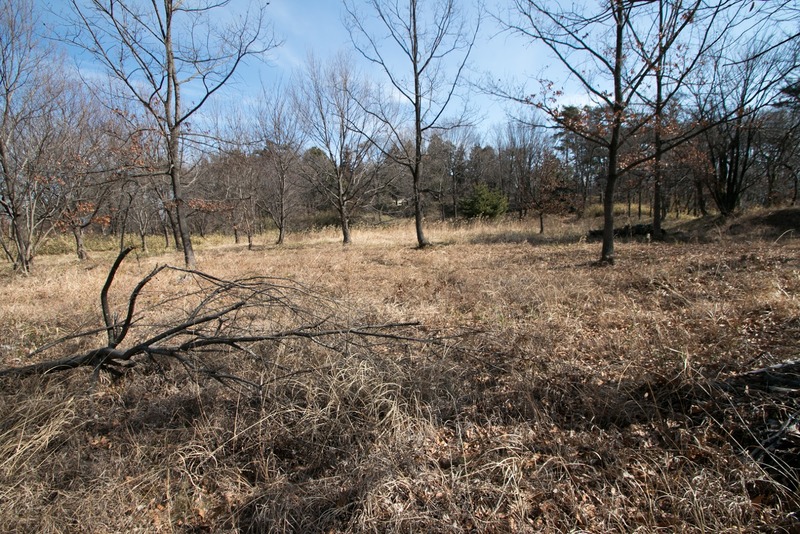 At the west of central area there exists secondary area, a smaller square shaped area might be used by the successor. 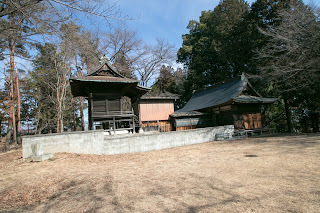 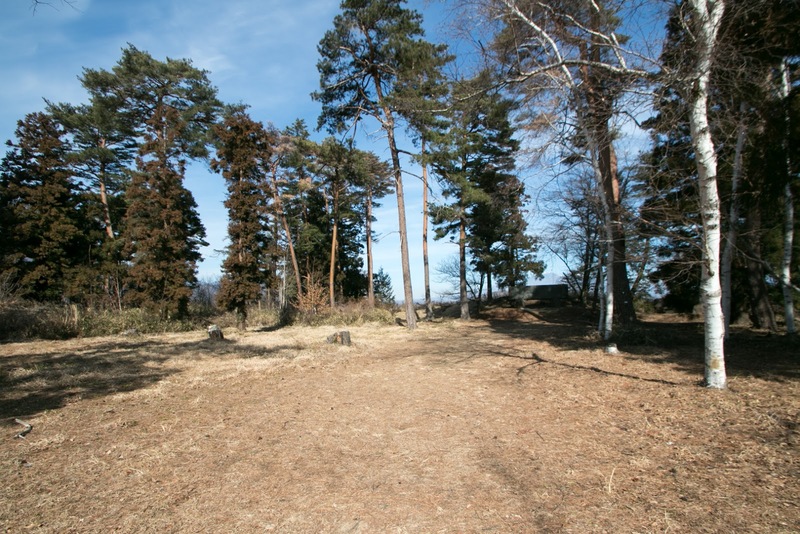 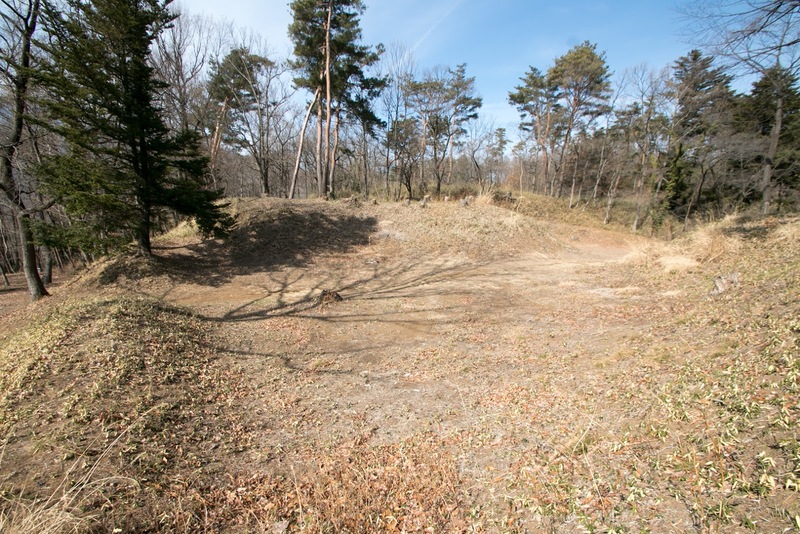 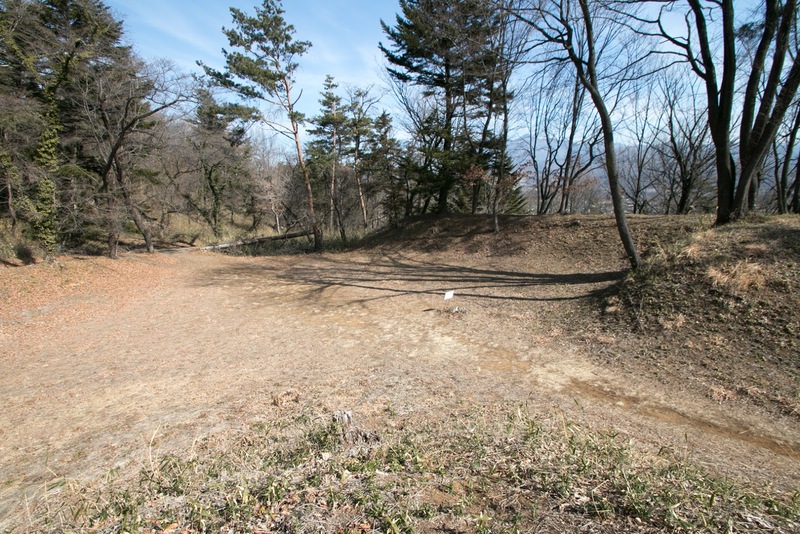 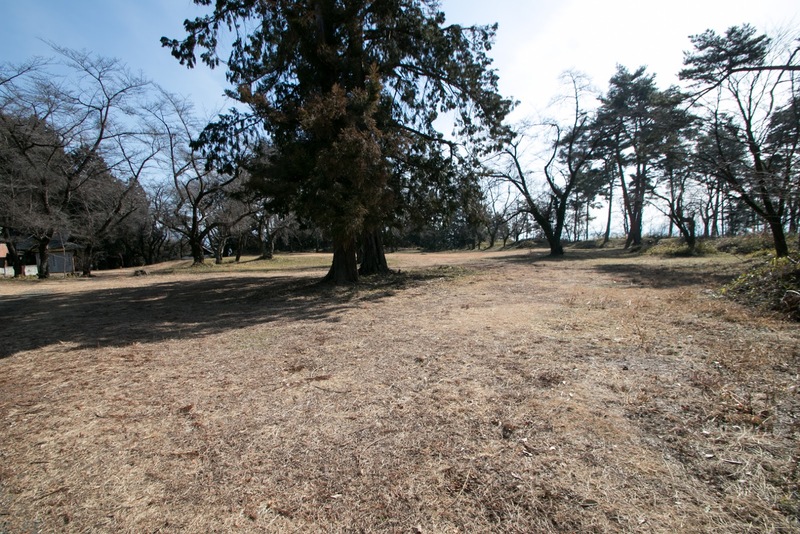 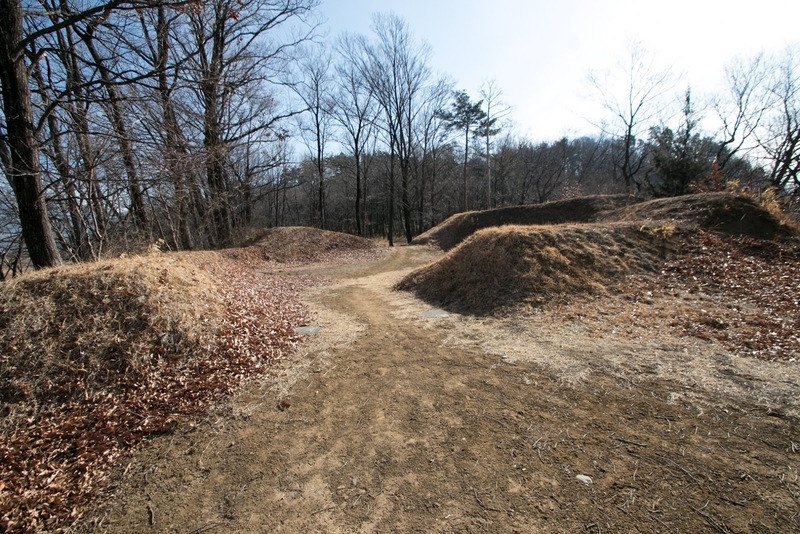 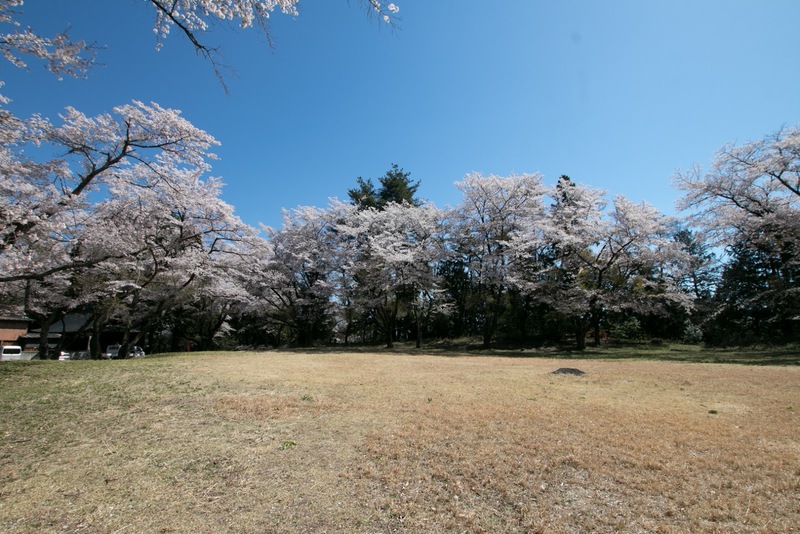 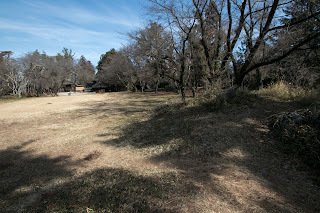 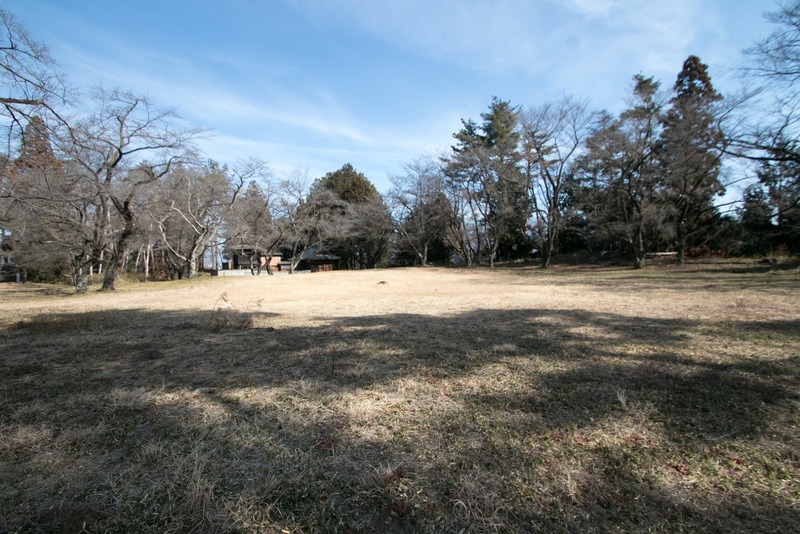 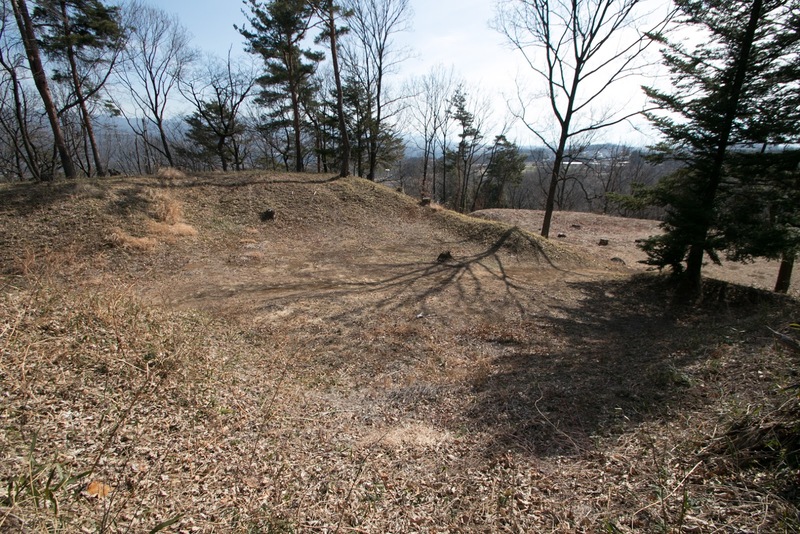 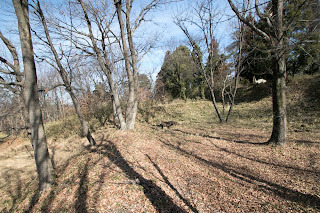 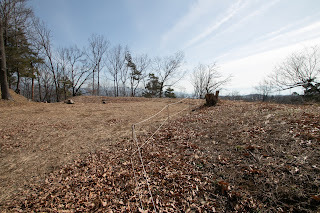 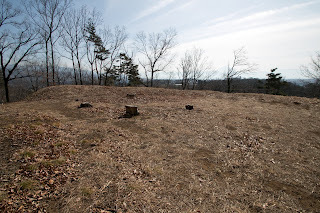 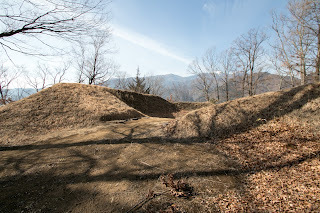 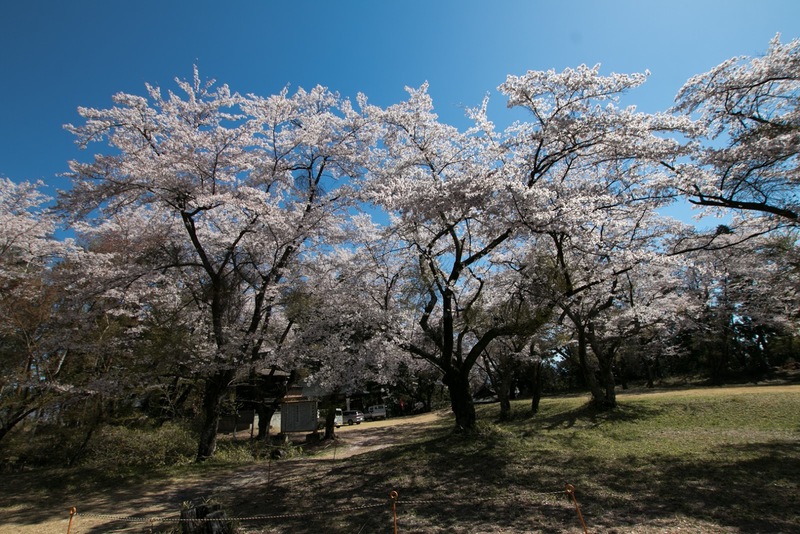 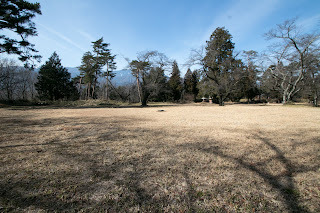 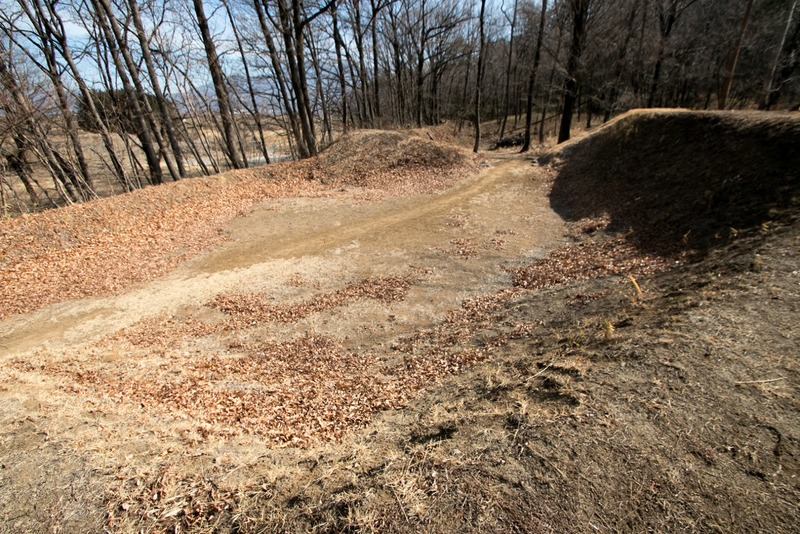 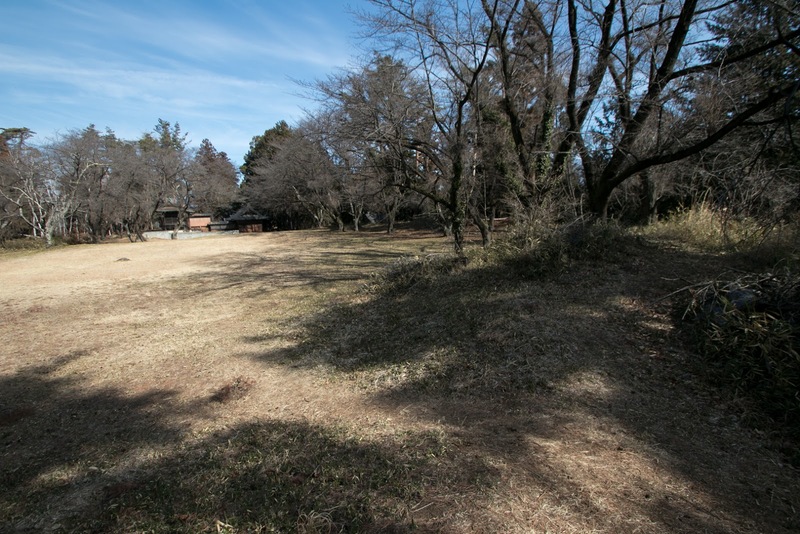 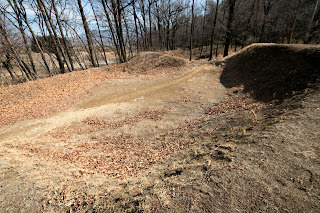 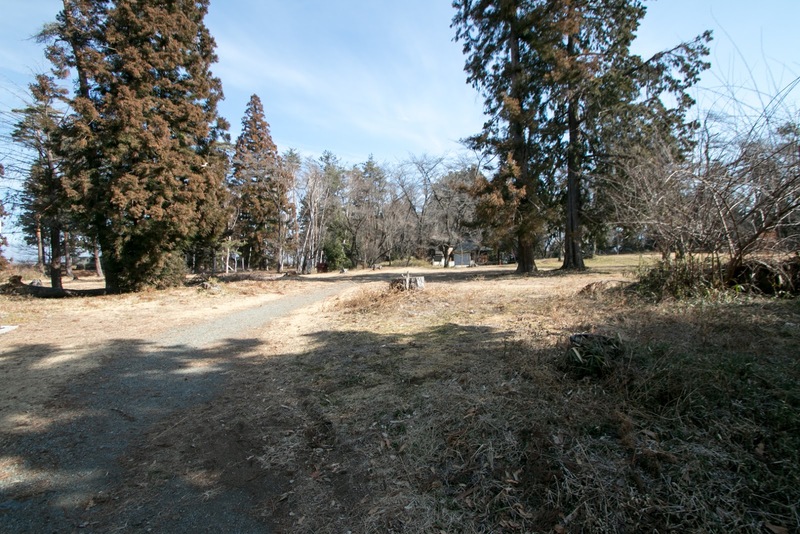 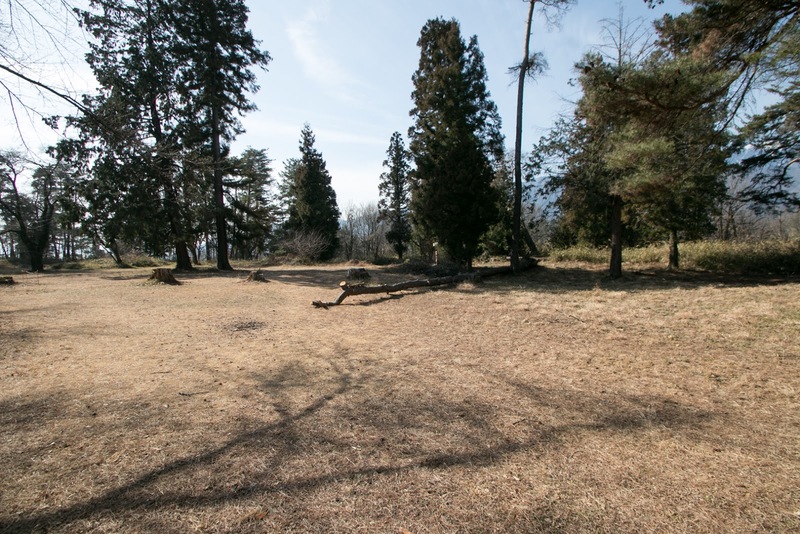 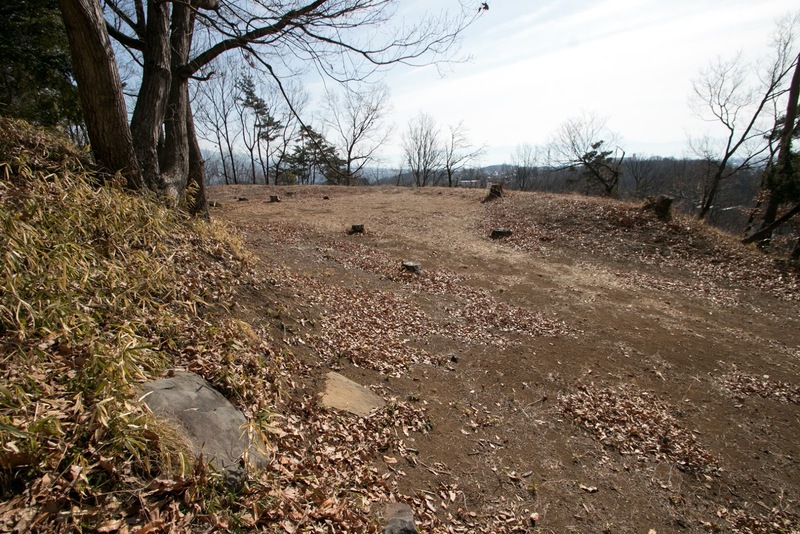 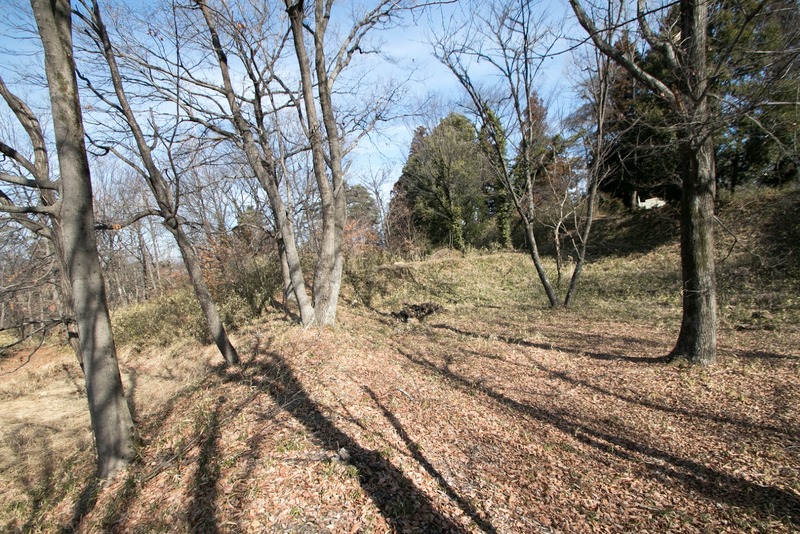 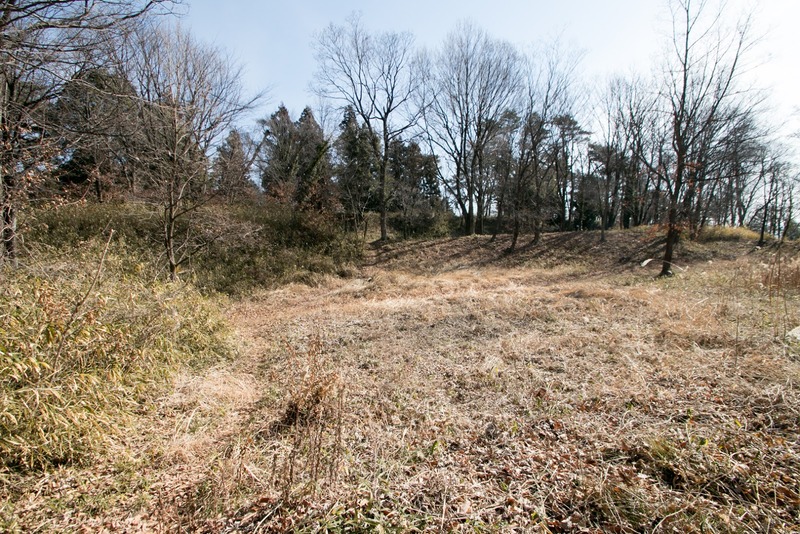 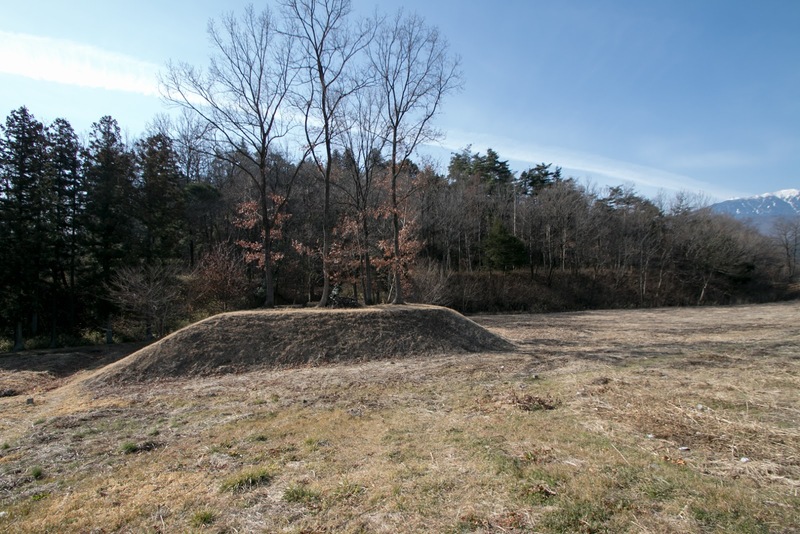 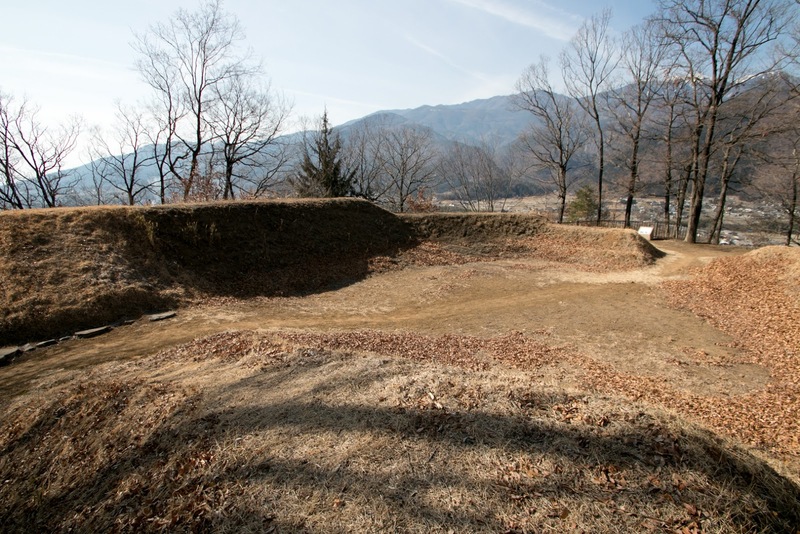 The shape of these two area quite resembles the structure of Tsutsujigasaki palace. 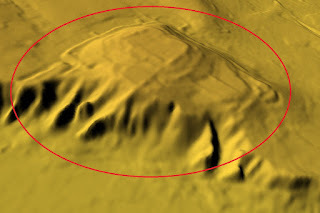 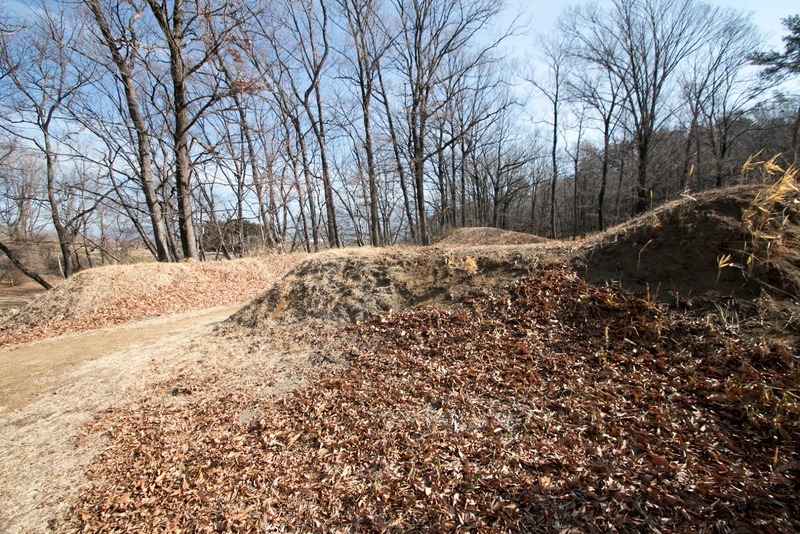 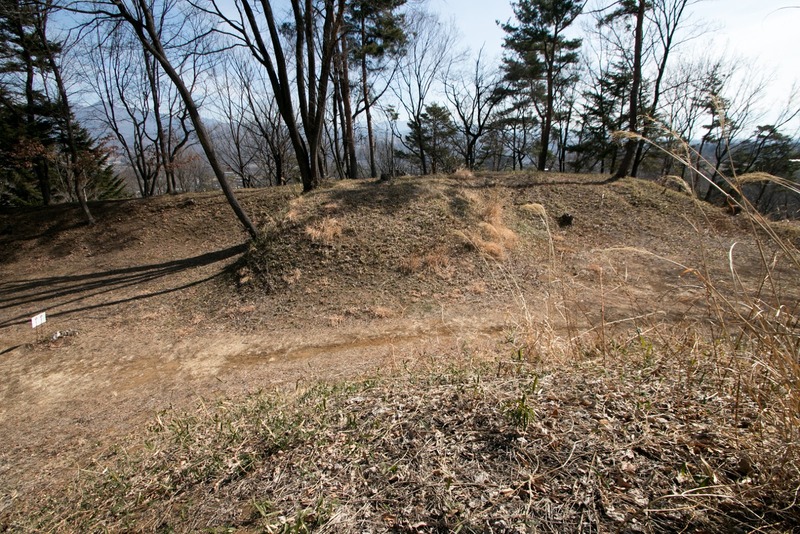 At the south of central area there were large third area which is a square shape of about 100 meter long and separated into two parts by a linear clay wall. 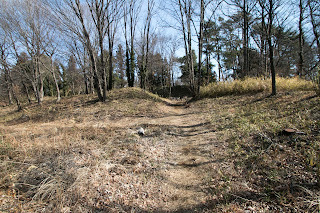 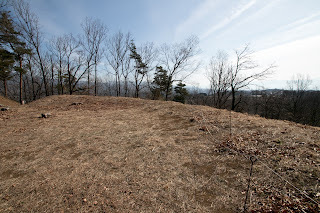 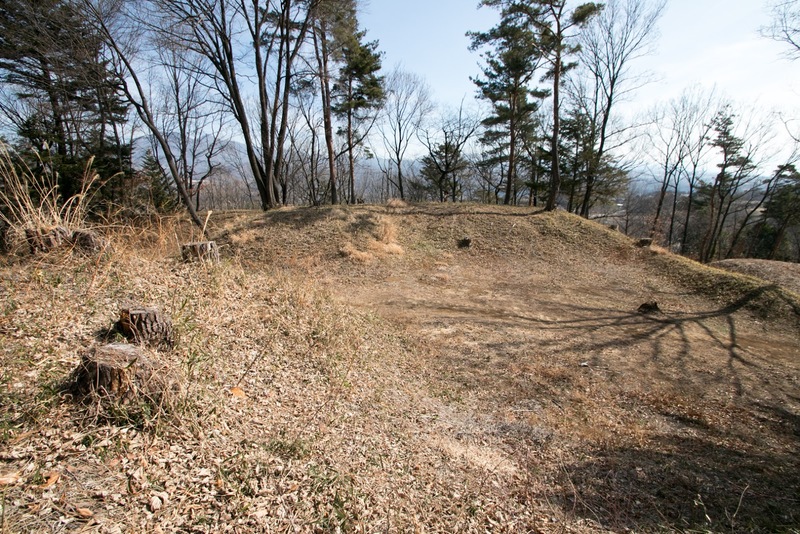 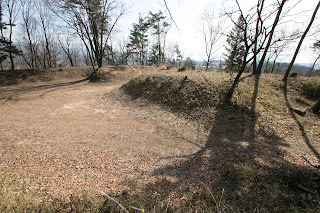 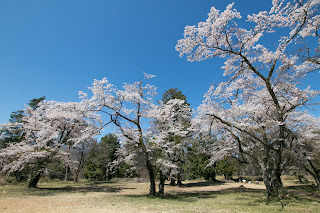 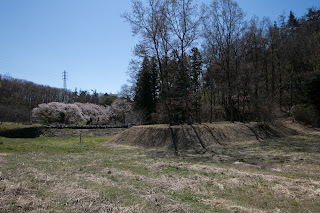 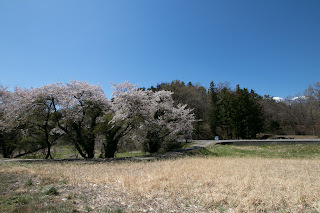 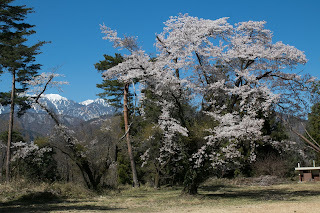 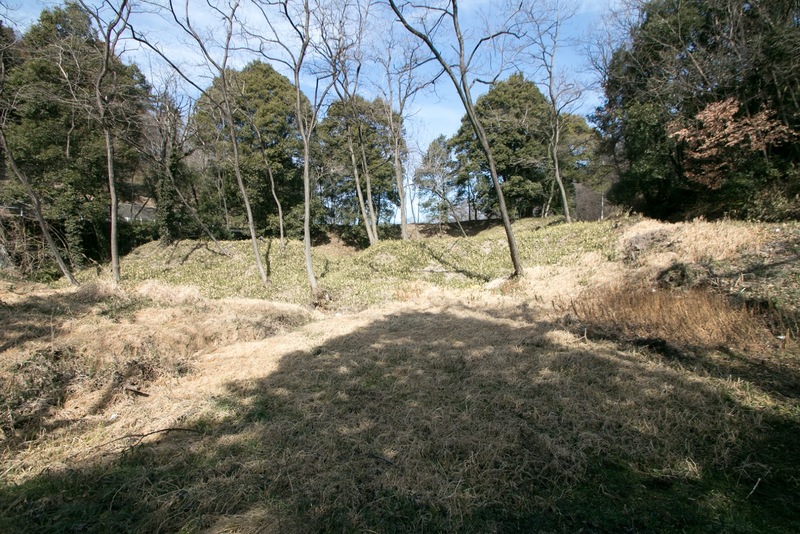 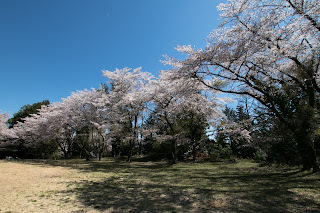 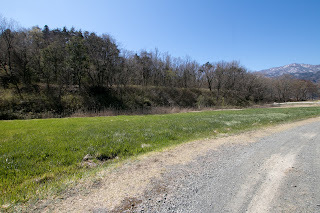 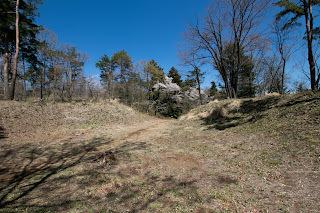 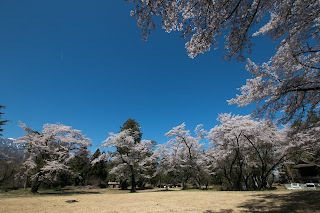 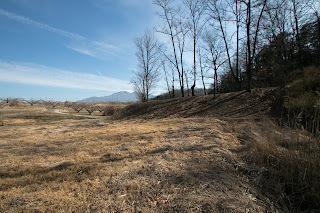 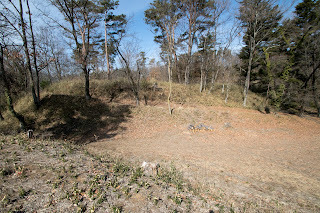 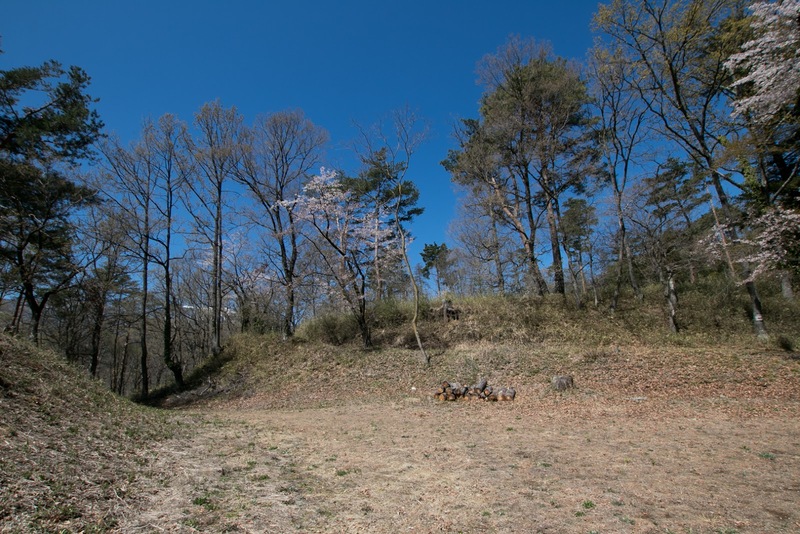 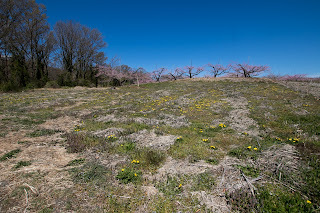 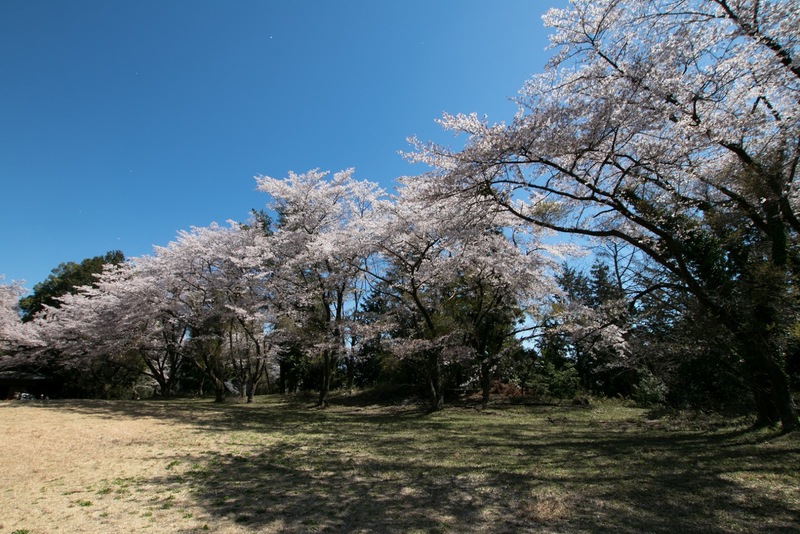 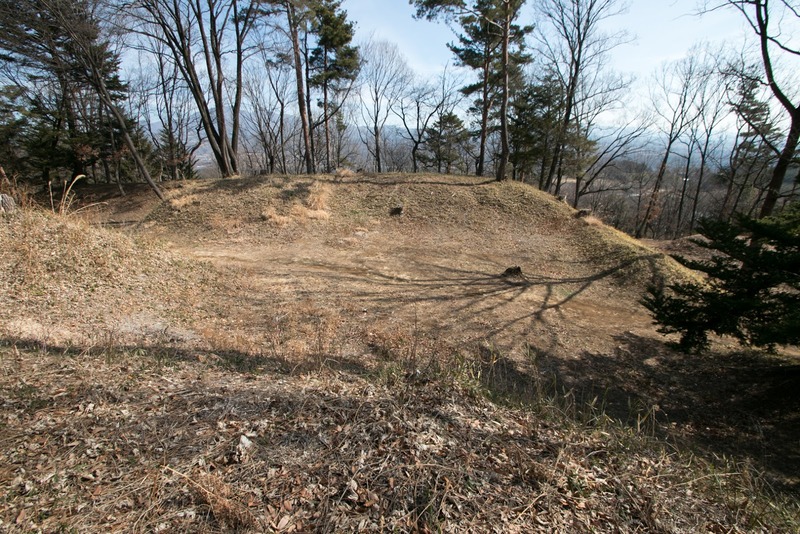 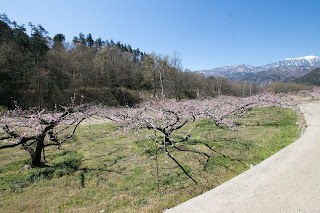 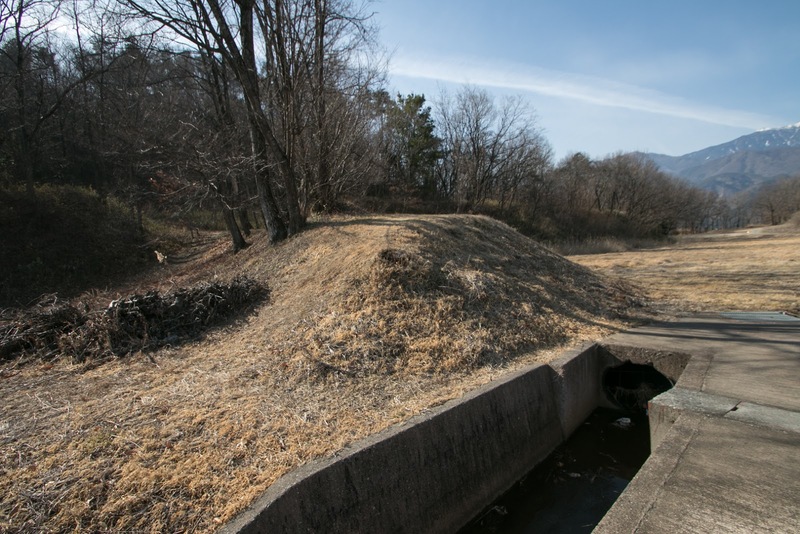 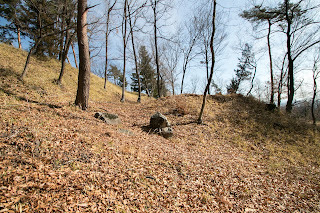 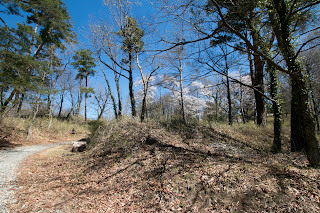 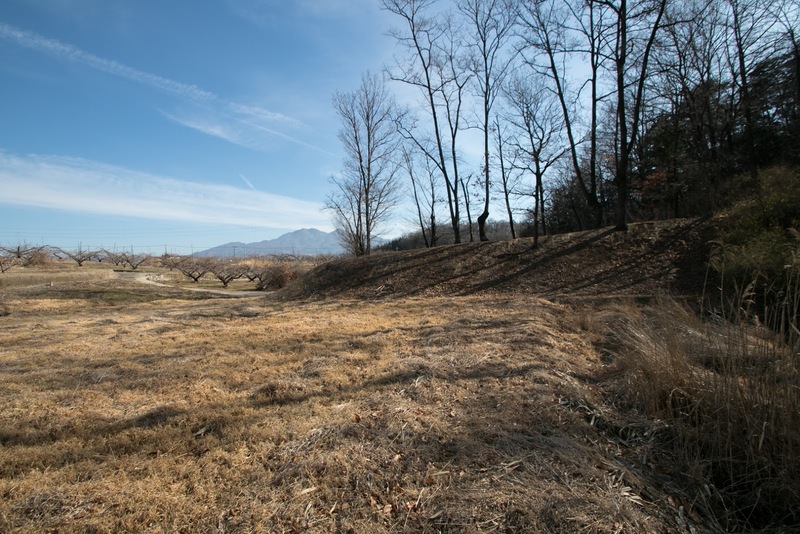 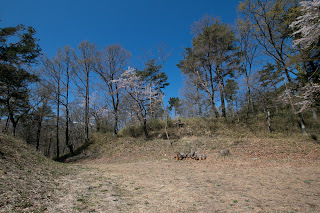 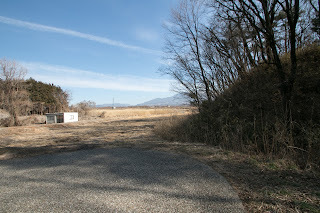 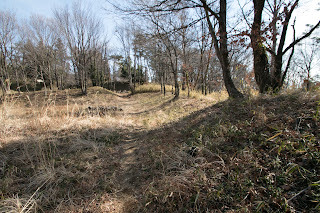 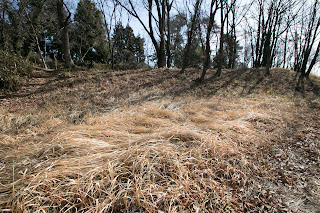 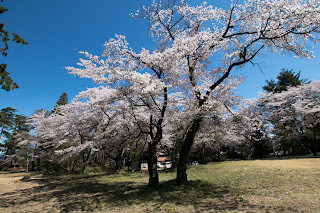 At the south edge of the hill which is the front side of the castle, a large Umadashi which is a half round shaped front fort of about 15 meter diameter with crescent moon shaped dry moat, which is the common symbol of Takeda clan castles, is built as the main gate of the castle. 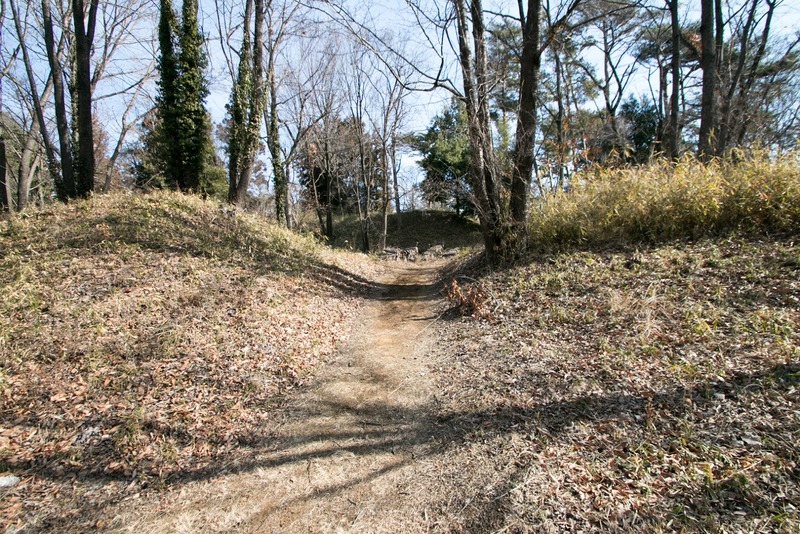 The north side of the castle is backward, but expected to be the front to enemy and two projections named "Degamae" was built at the water moat. 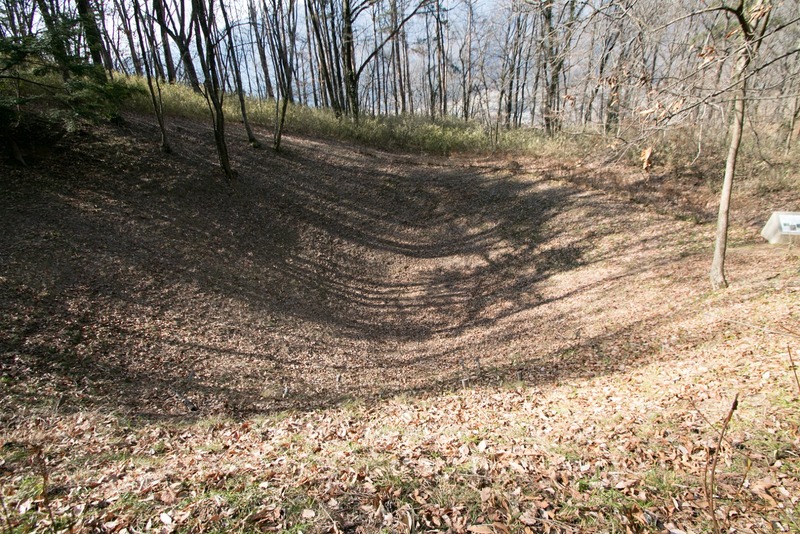 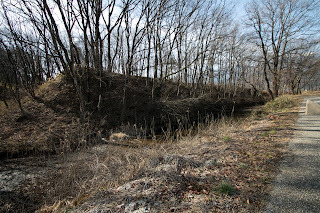 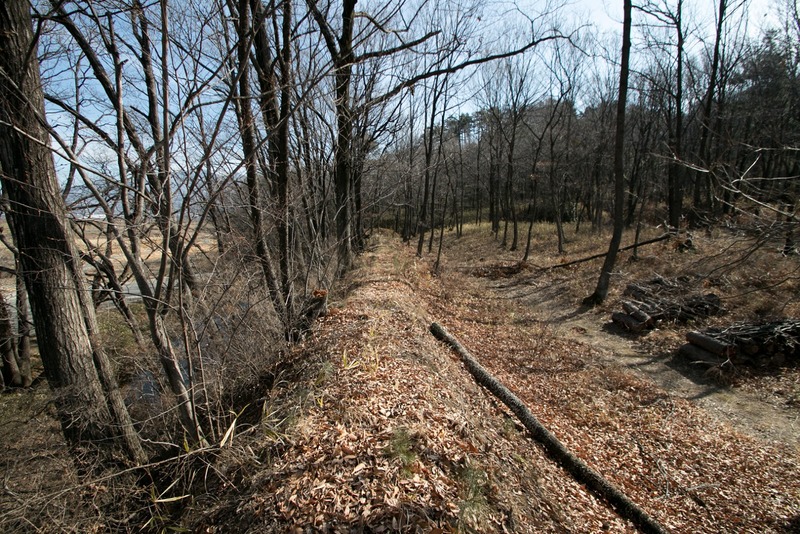 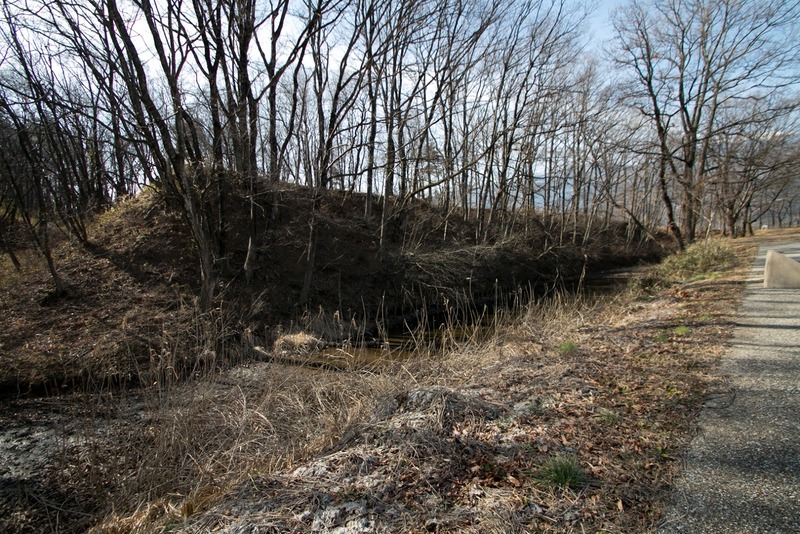 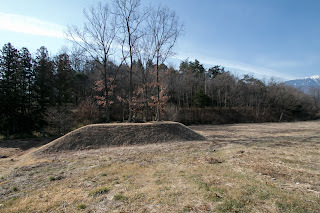 The purpose of this projection is unknown, and someone says this was built as firing point but other people state this was merely a bank of water moat to keep the water. 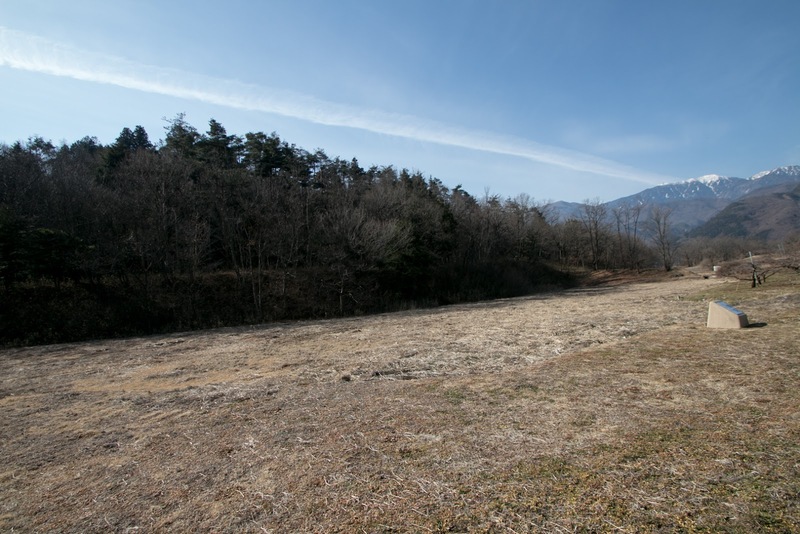 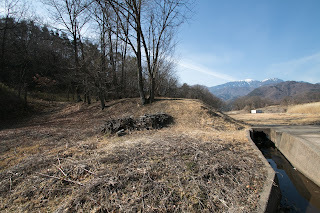 Considering tough situation of Takeda clan, in early 1582, Kiso clan, a marriage relative of Taleda clan and guarded Kiso valley of Shinano province, turned to Oda clan. Utilizing this opportunity Nobunaga sent huge army lead by his eldest son Nobutada Oda (1557-1582) to extinct Takeda clan in February. 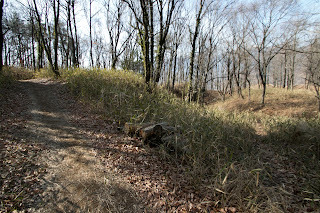 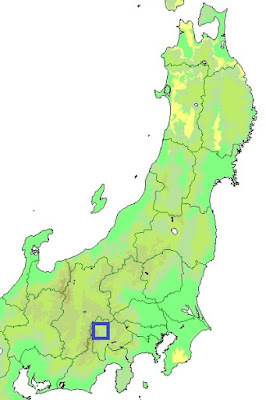 At the same time, Tokugawa army and Hojo army advanced to Takeda territory from other directions. 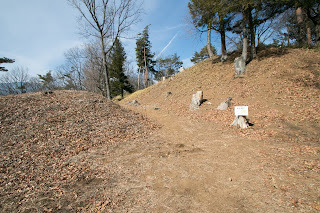 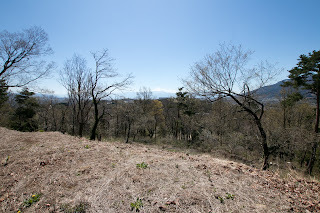 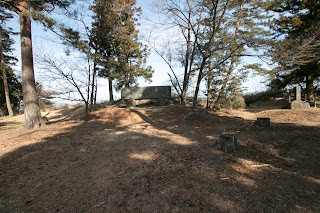 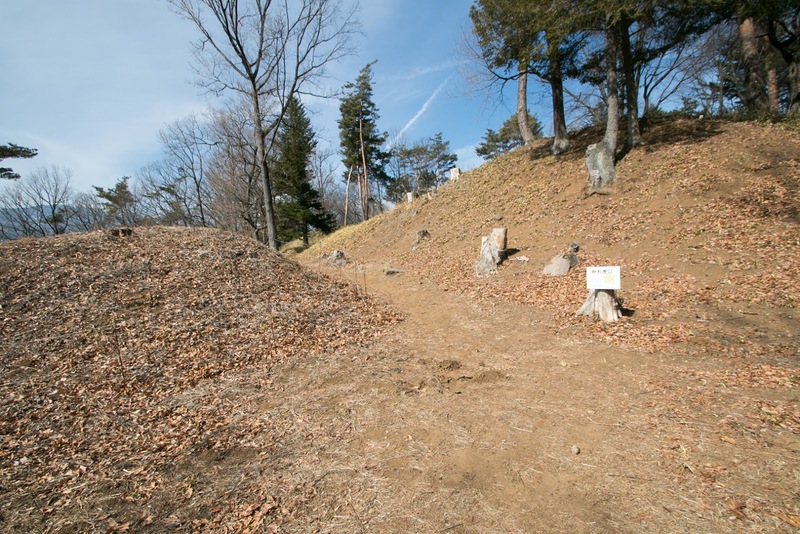 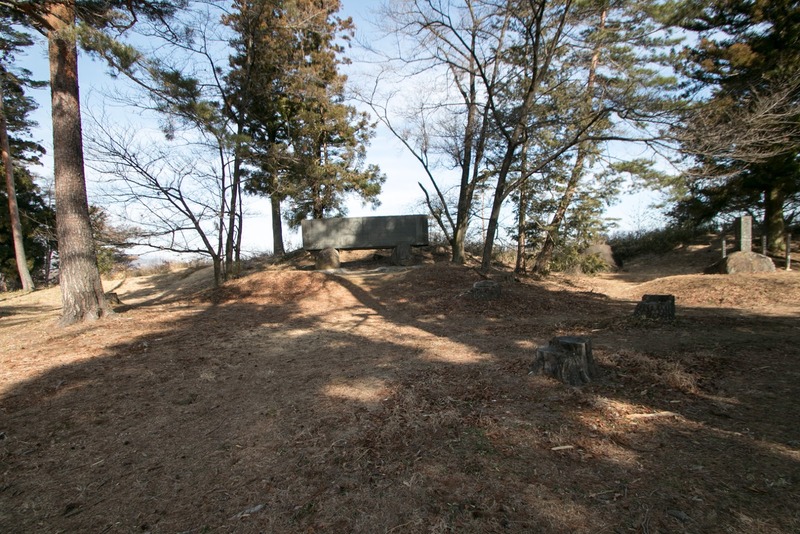 Katsuyori intended to prevent Oda army in Shinano province (Nagano prefecture), but Takato castle, which was held by Morinobu Nishina (1557-1582), the younger brother of Katsuyori and only one castle resisted against Oda army, was captured in only one day. 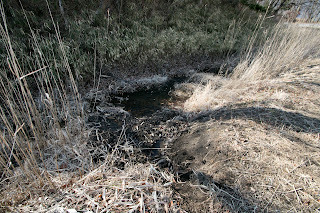 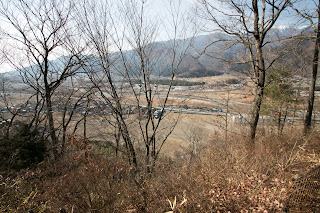 Looking at severe situation many generals and soldiers left Takeda army or hided themselves. 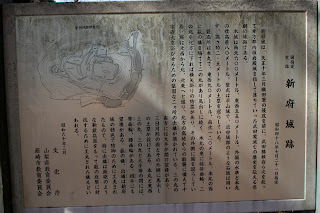 In addition to this, in backward Nobukimi Anayama (1541-1582), a close relative of Katsuyori, betrayed to Tokugawa clan. 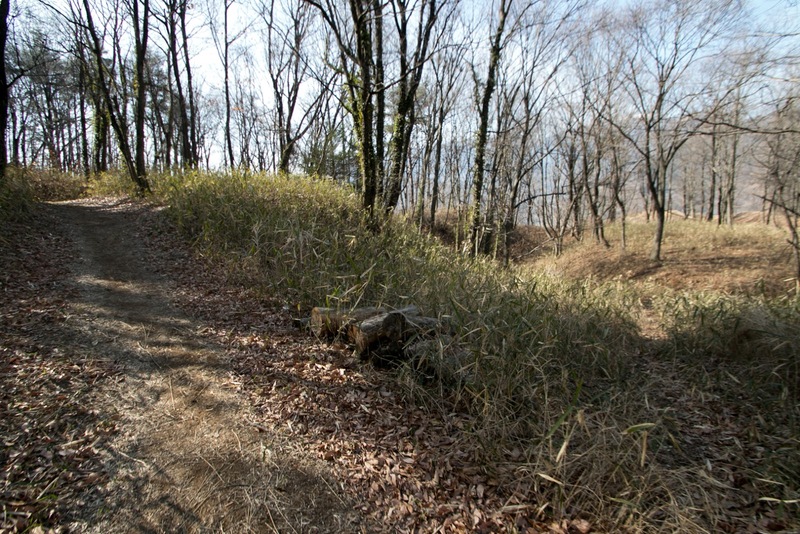 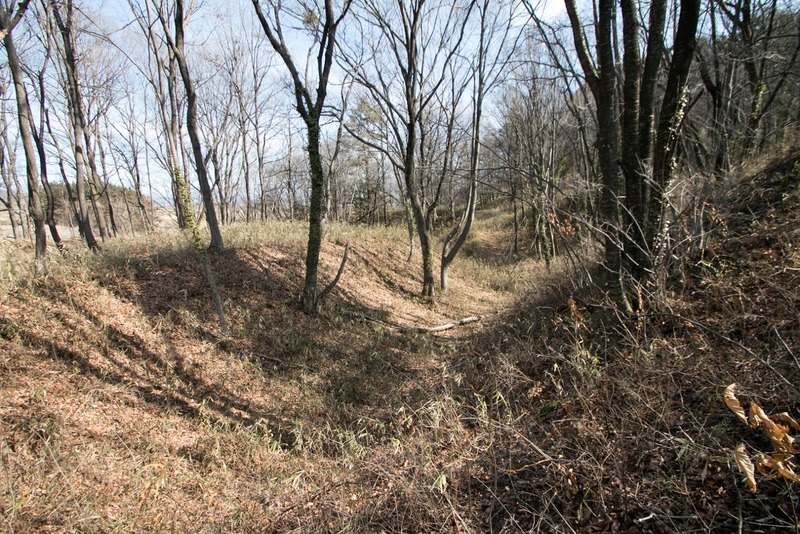 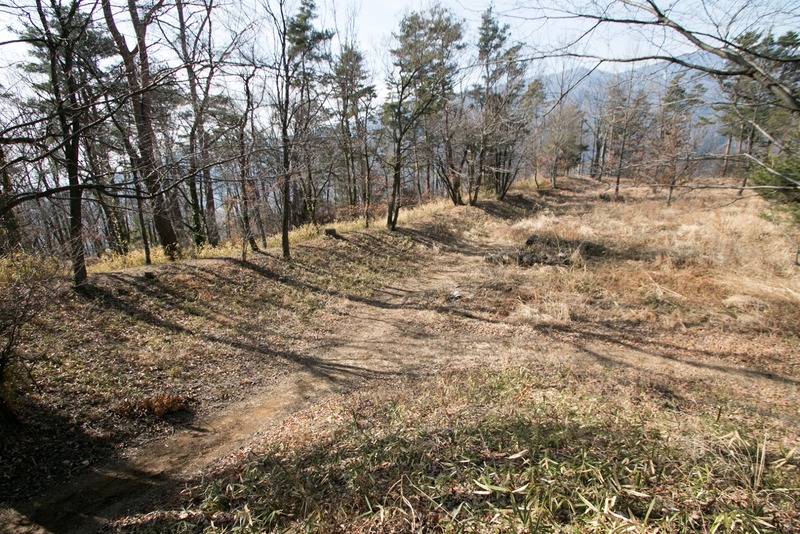 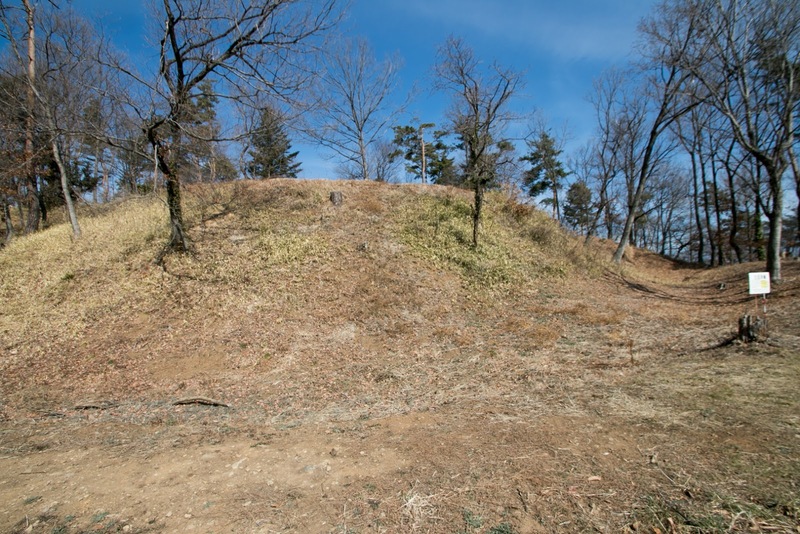 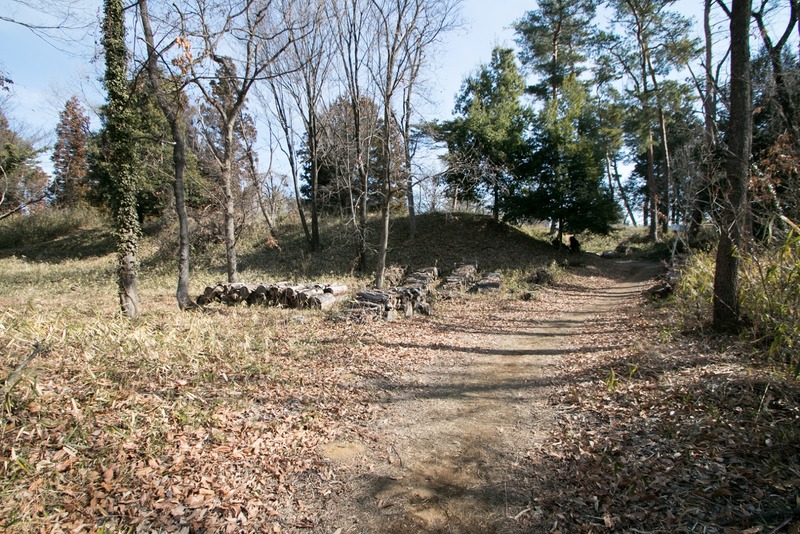 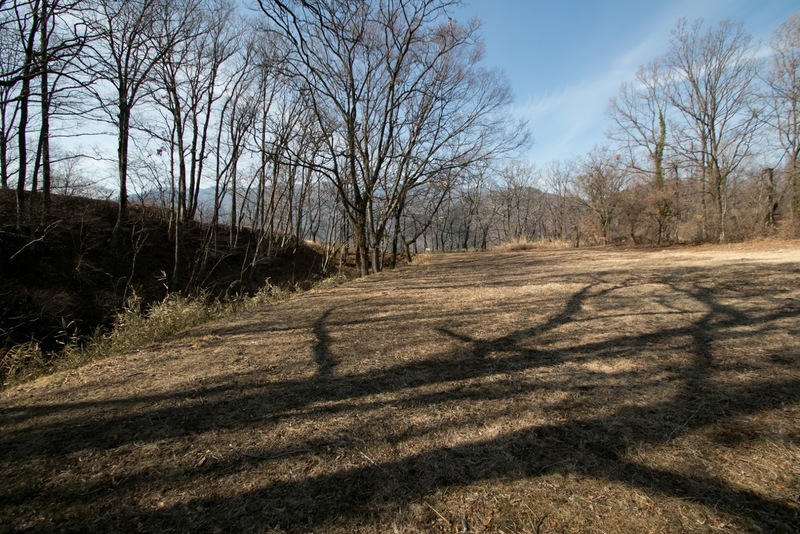 Katsuyori could not keep the front and retreated to Shinpu castle in early March, but also could not hold here thus burned down this new castle and escaped to the eastward. 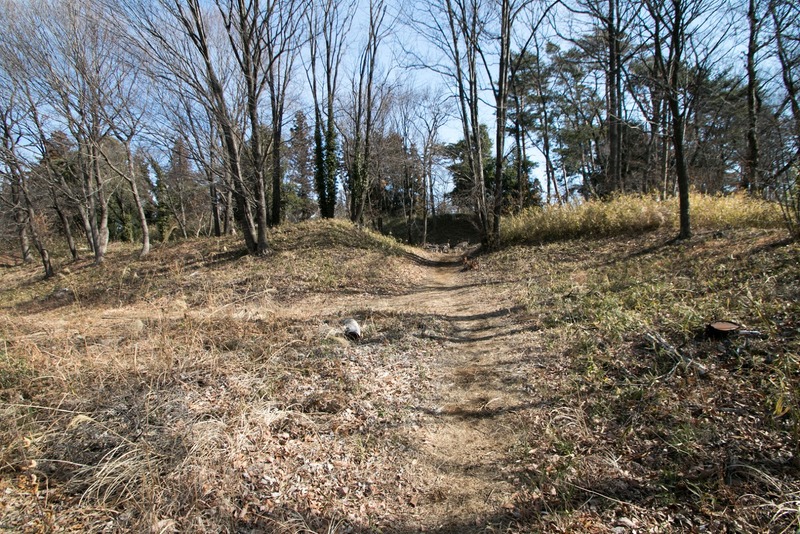 Katsuyori at first attempted to escape to Iwadonoyama castle, the castle at eastern border of Kai province held by Oyamada clan. 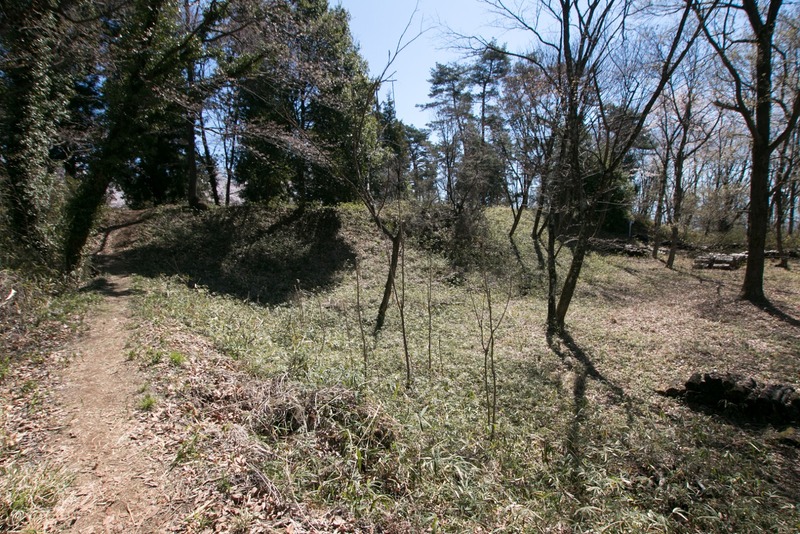 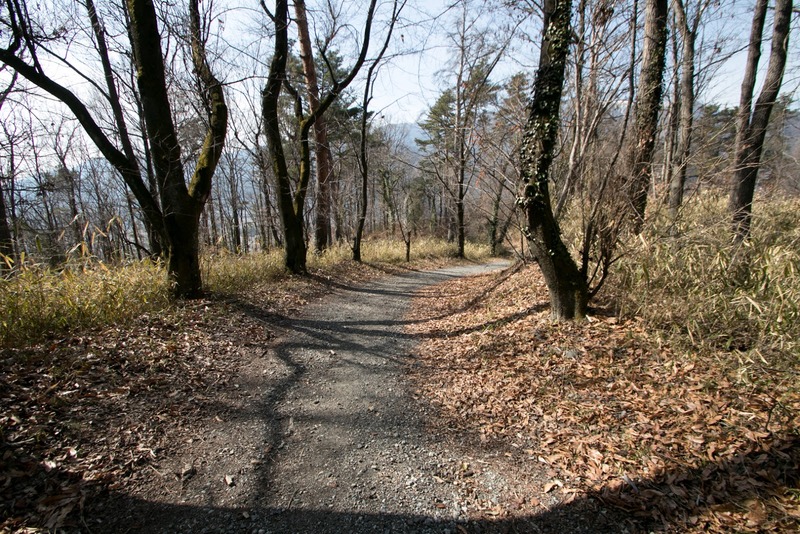 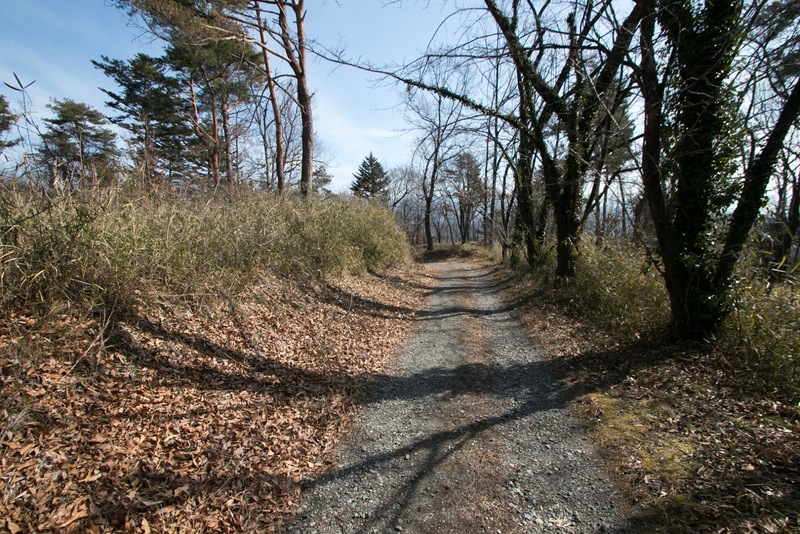 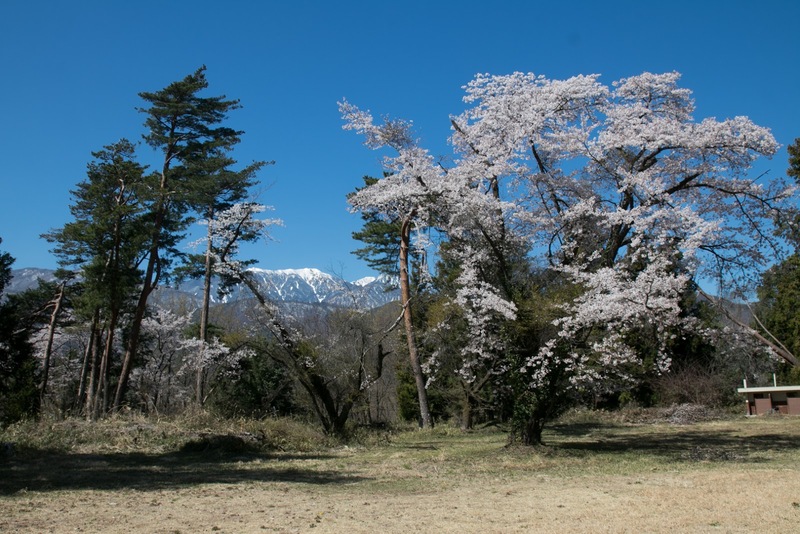 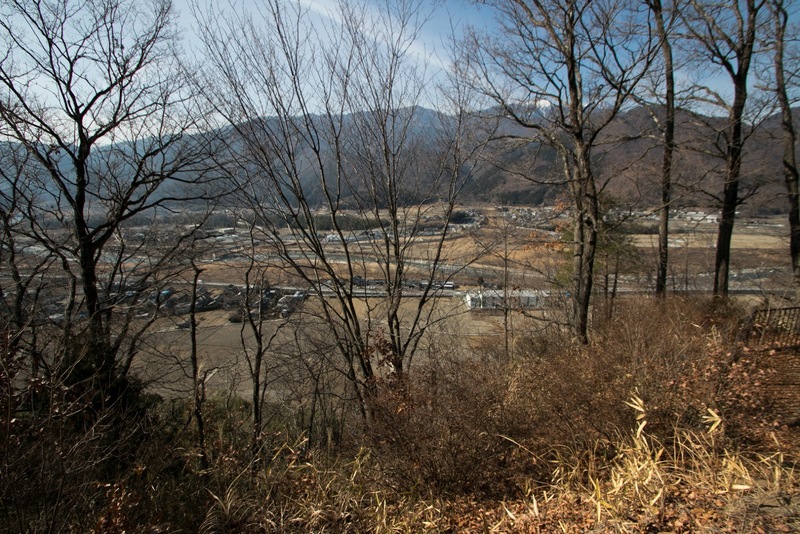 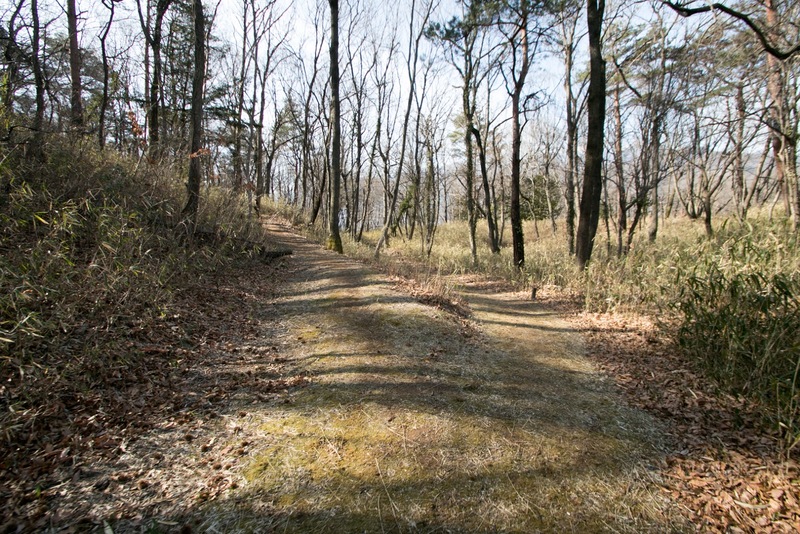 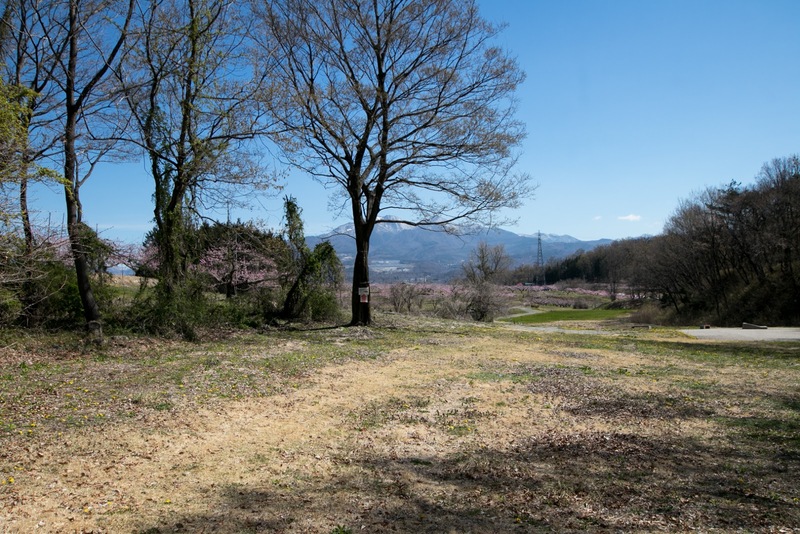 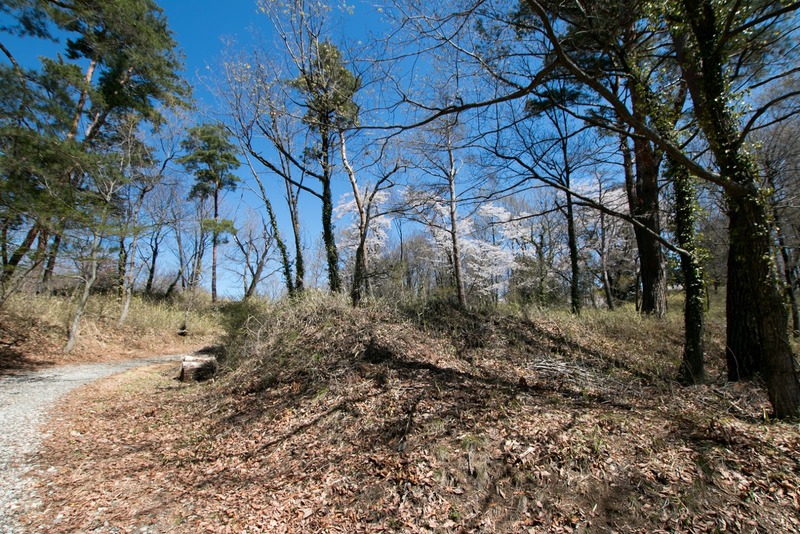 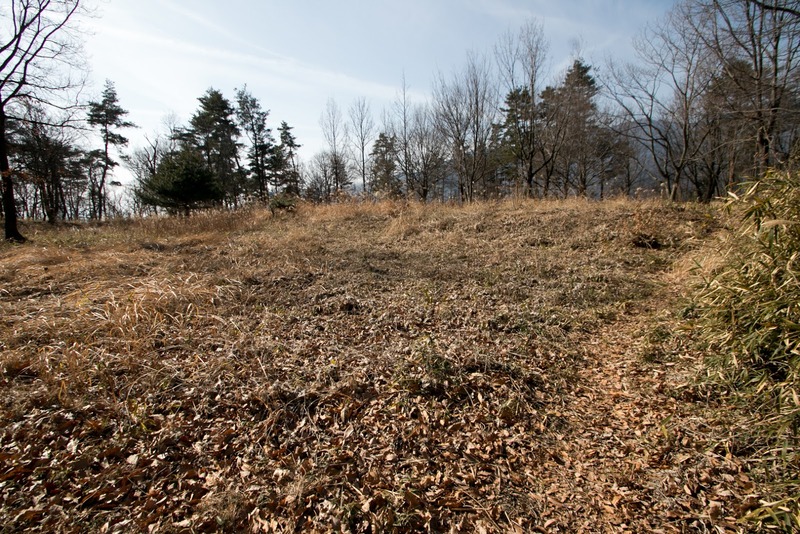 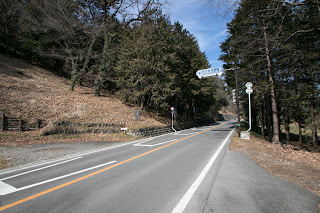 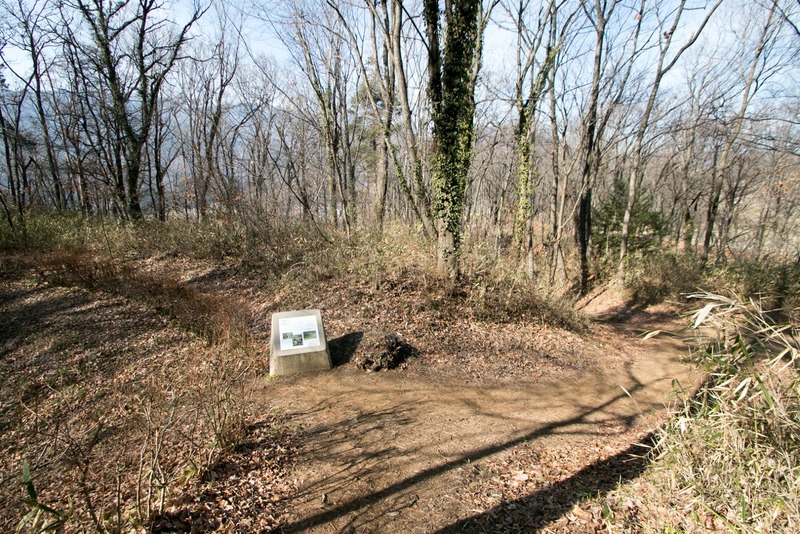 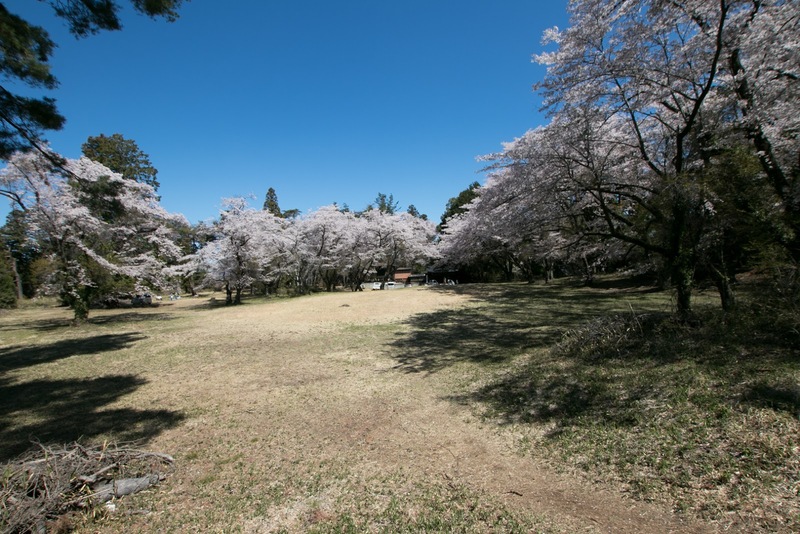 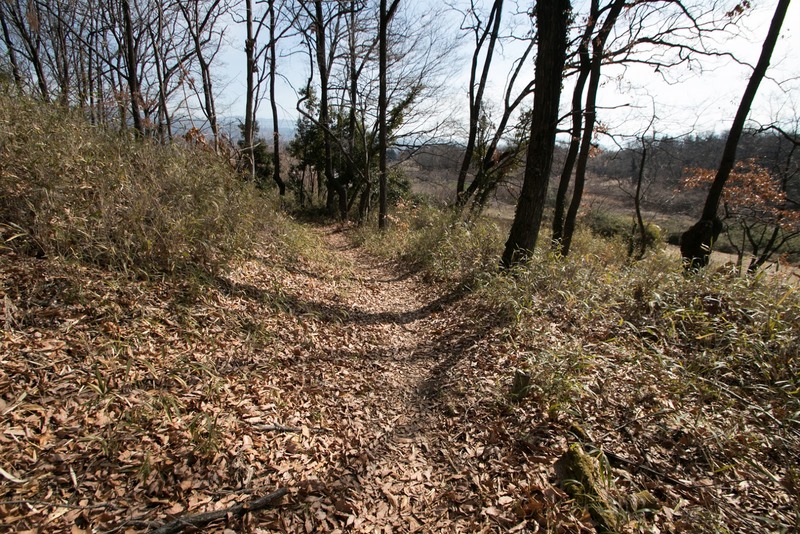 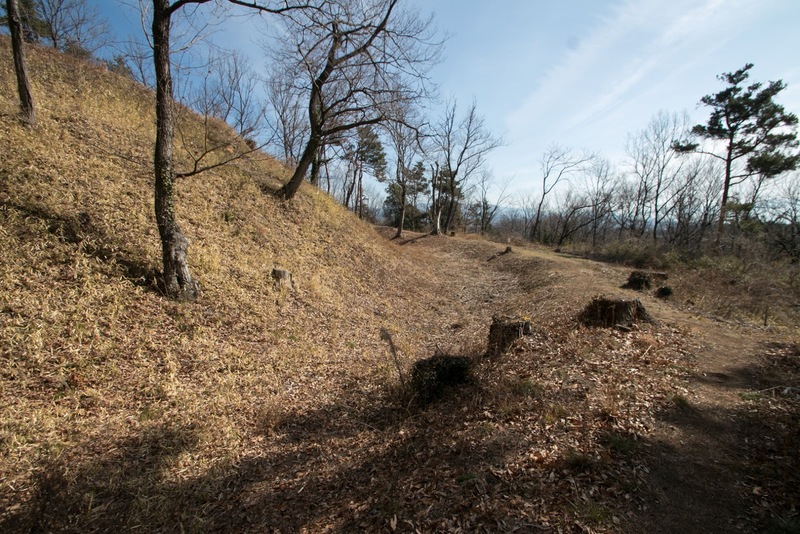 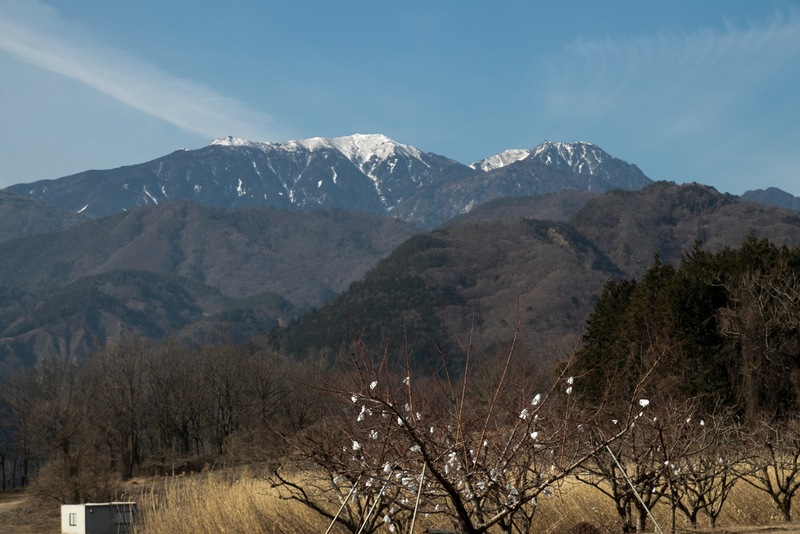 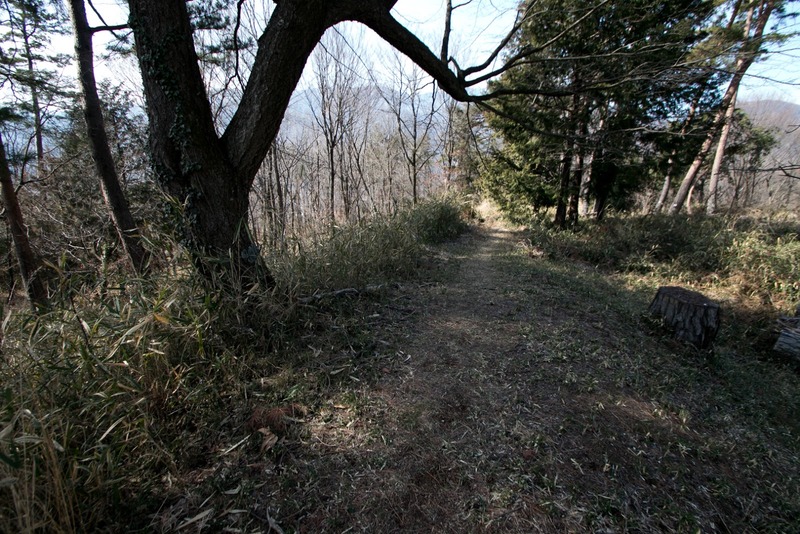 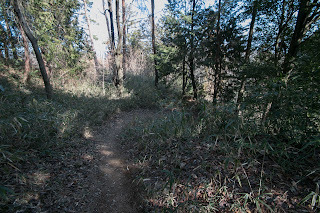 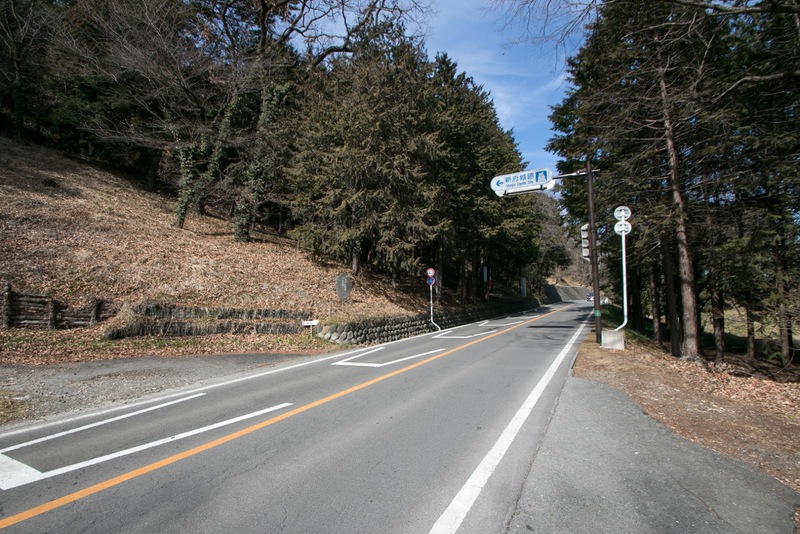 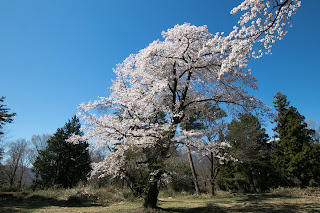 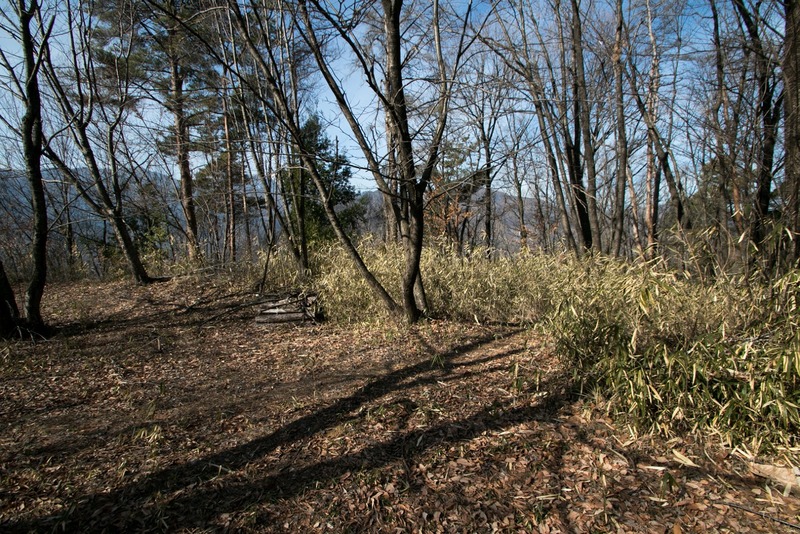 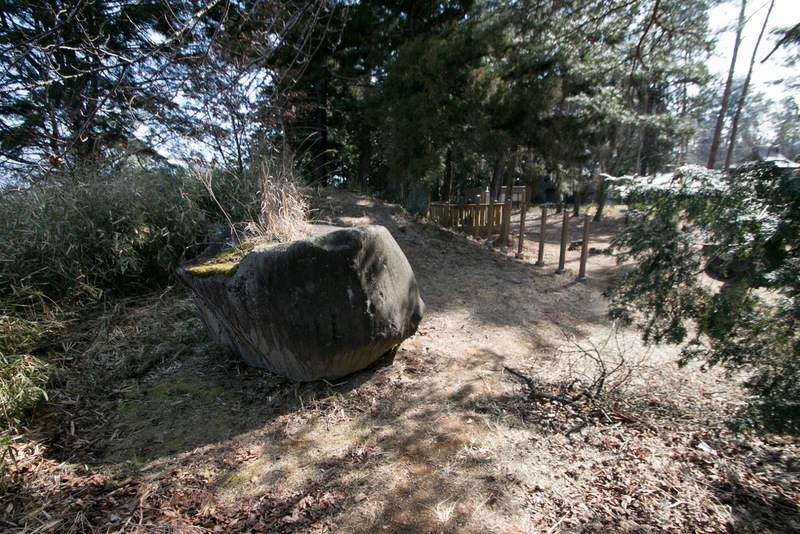 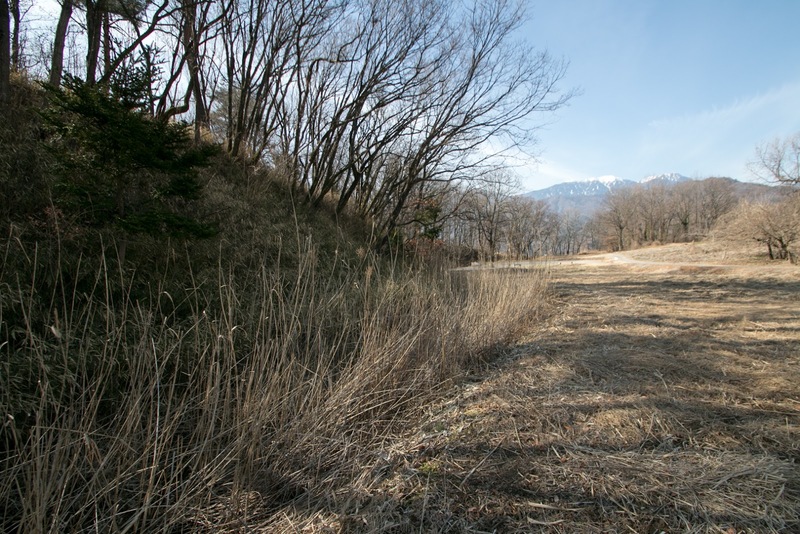 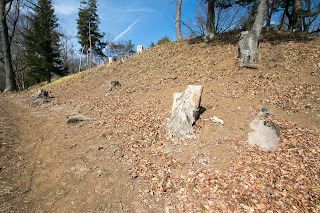 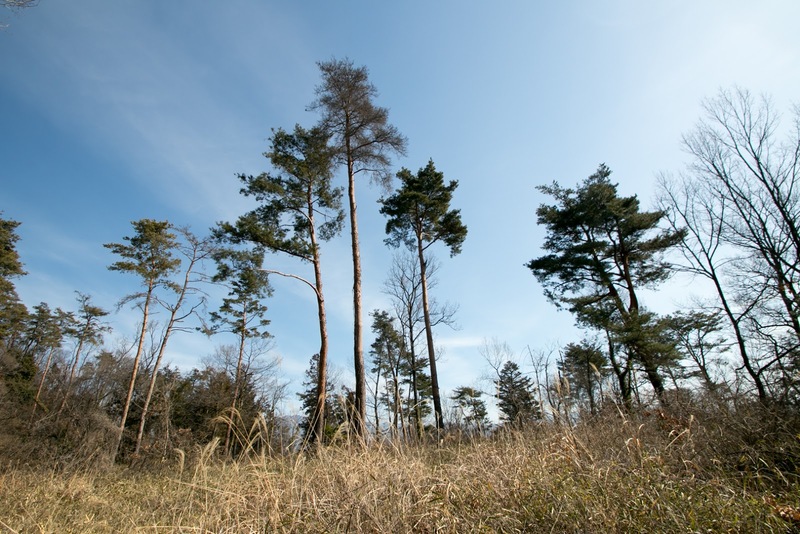 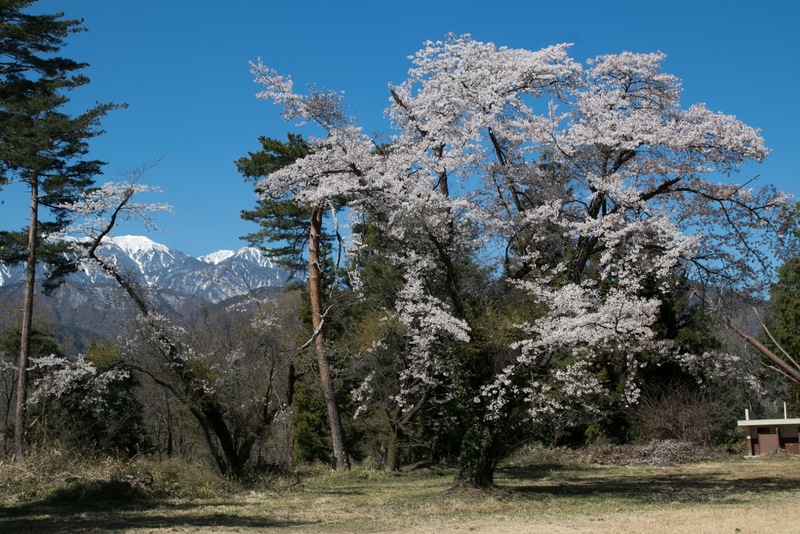 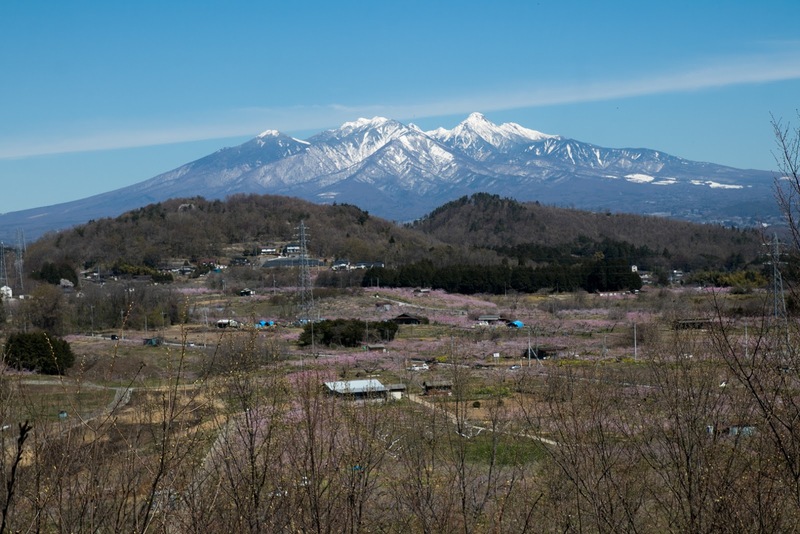 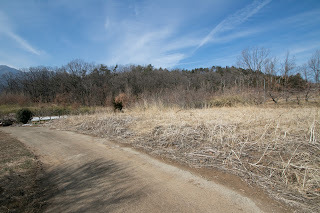 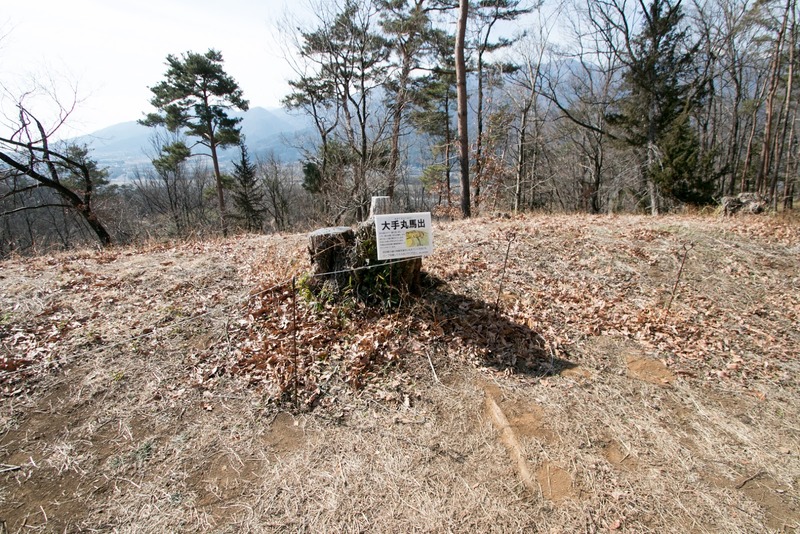 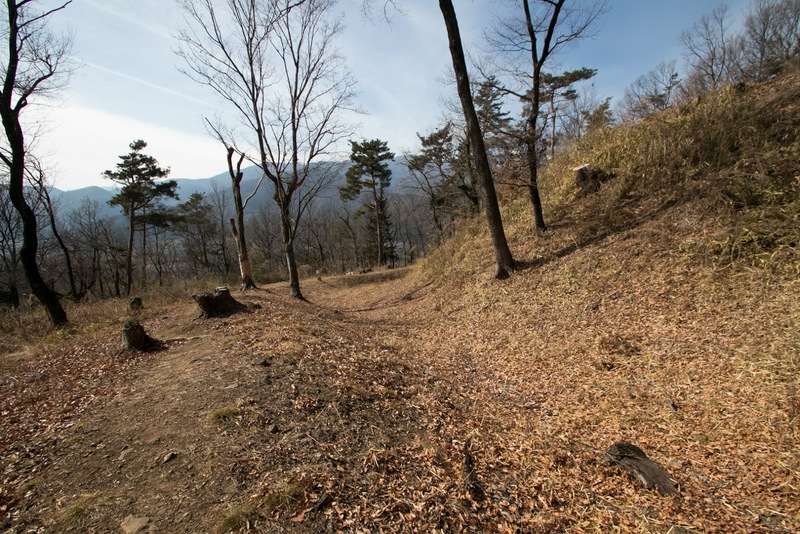 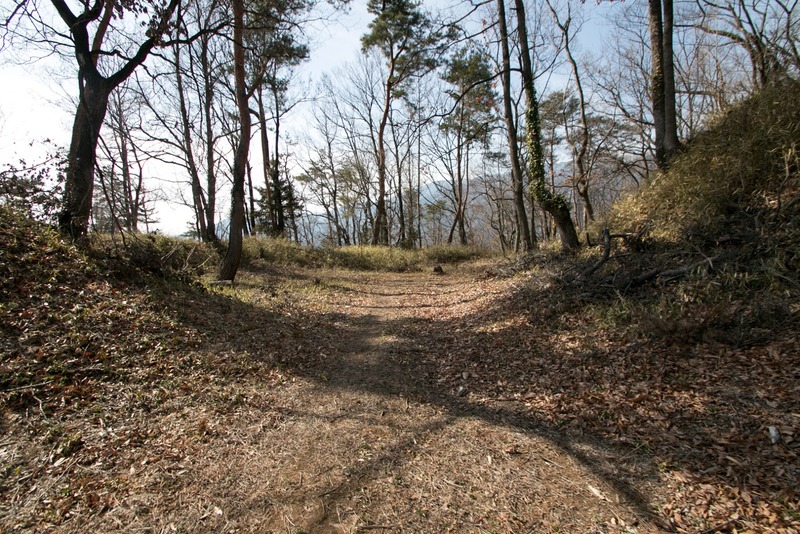 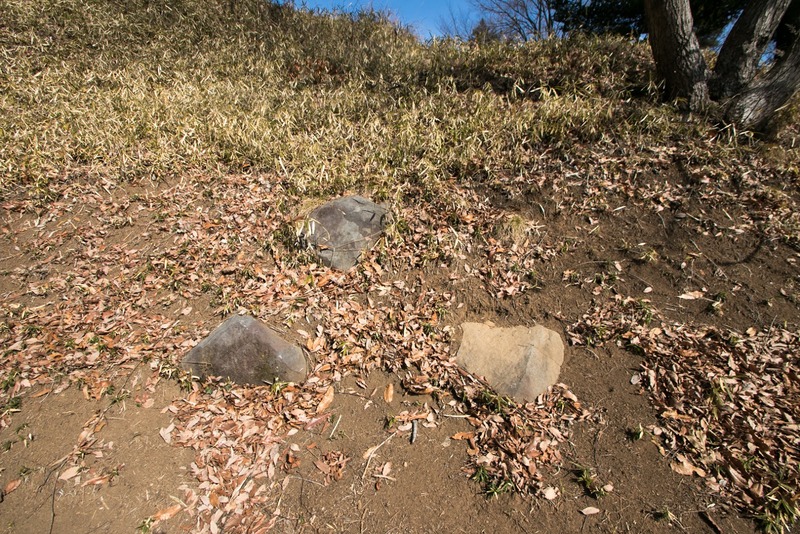 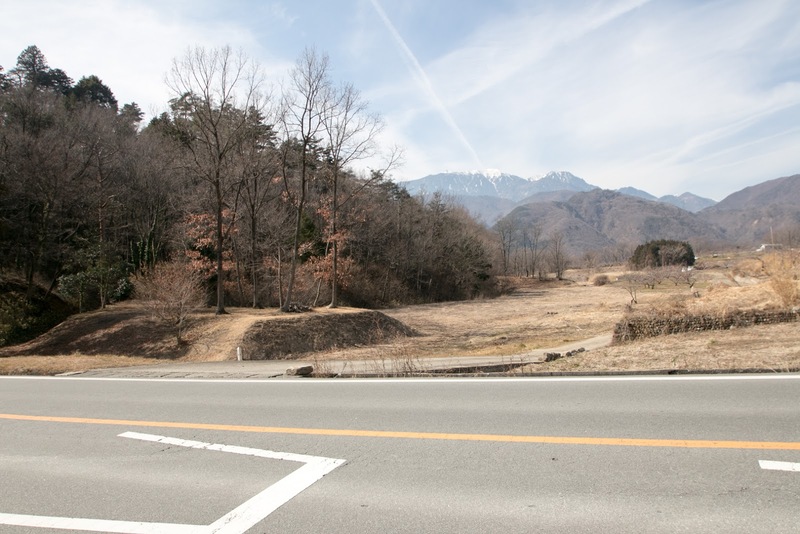 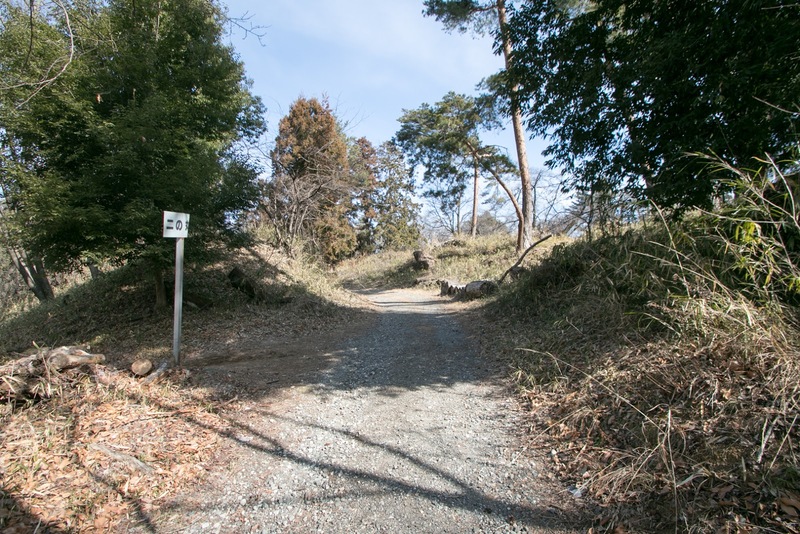 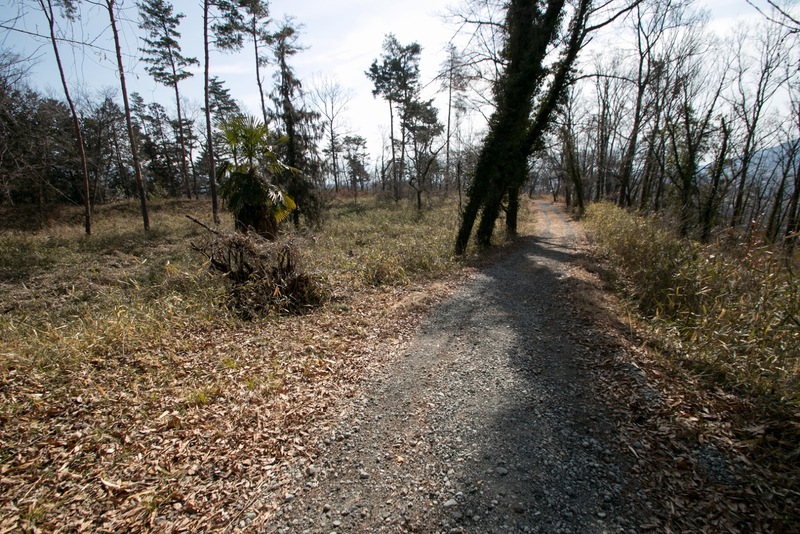 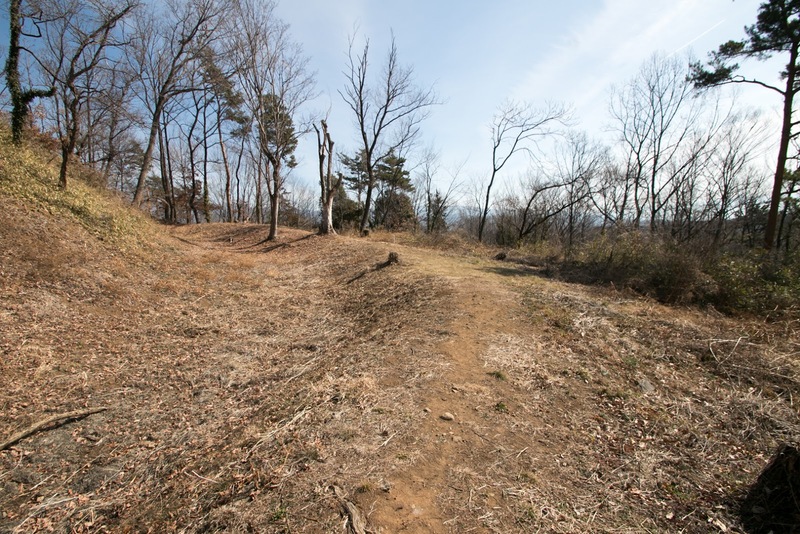 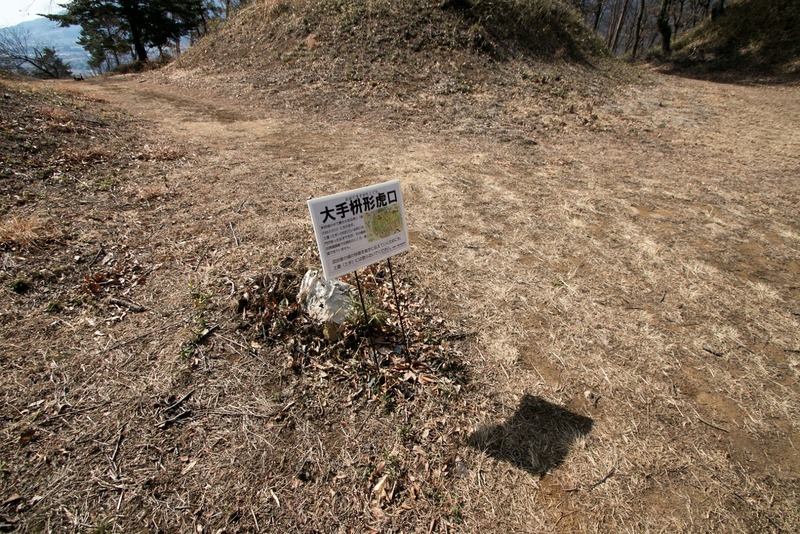 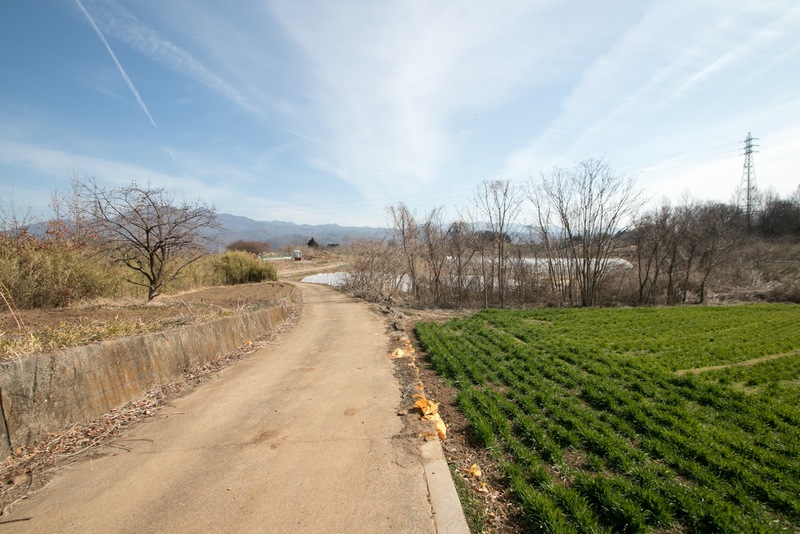 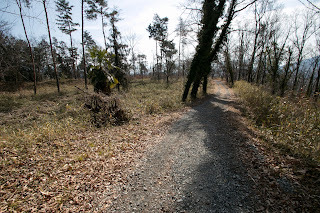 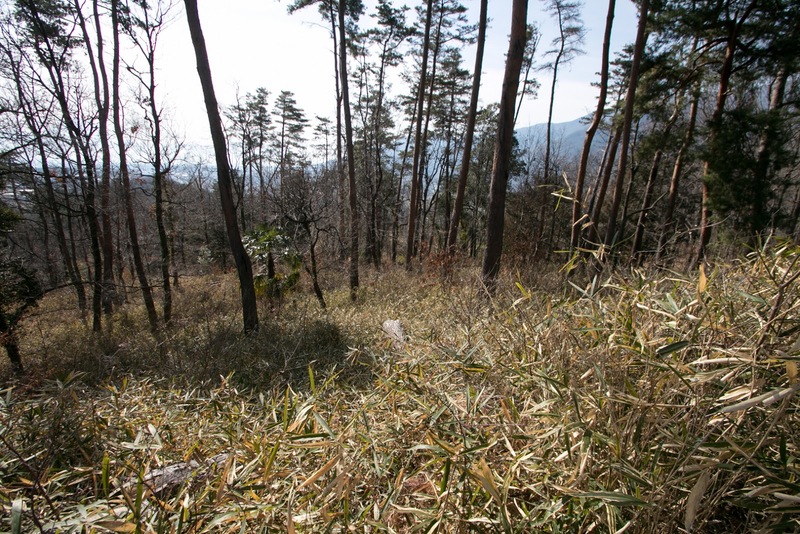 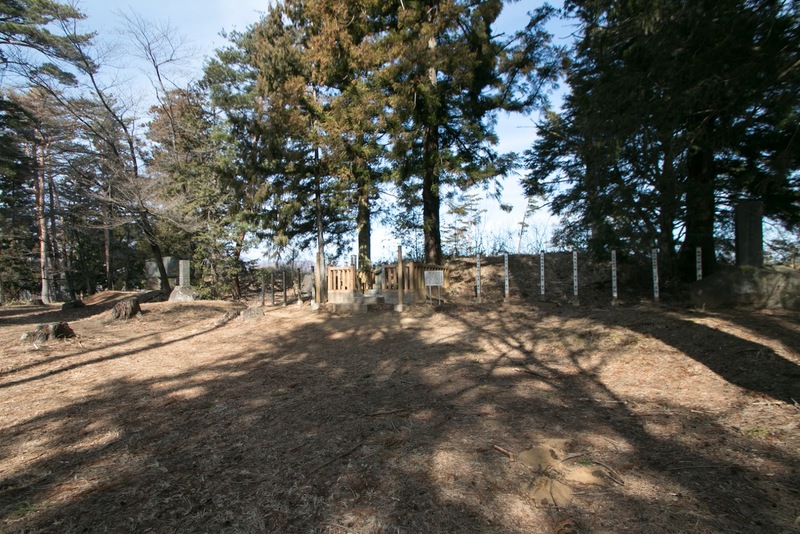 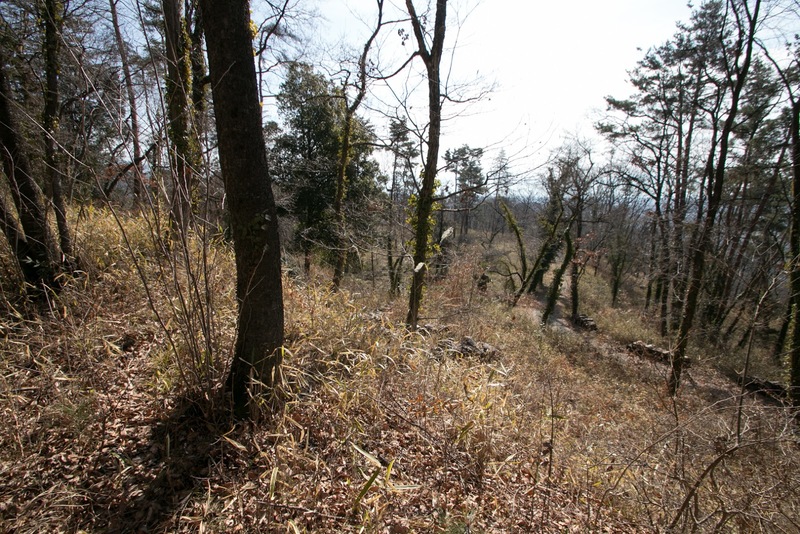 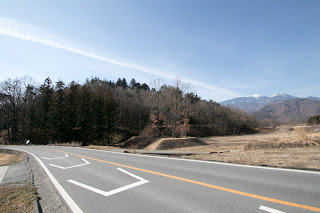 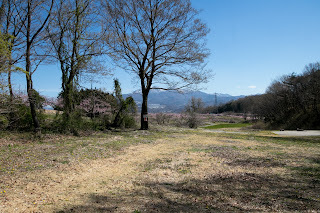 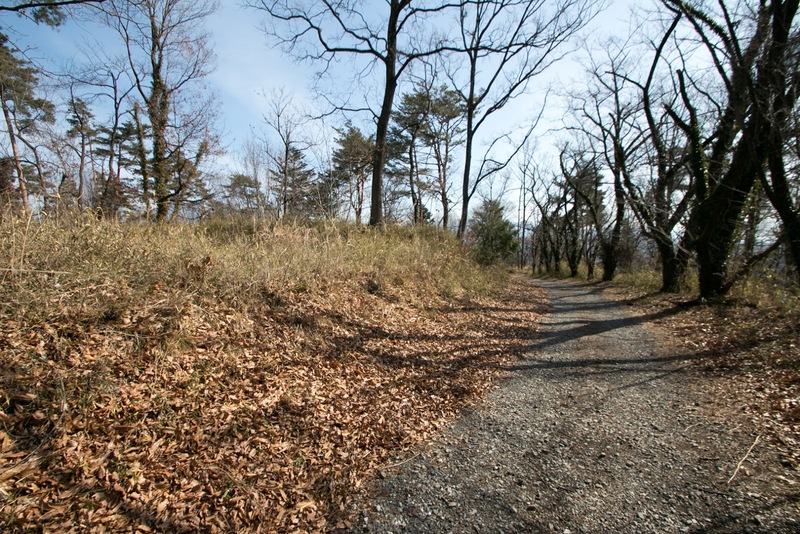 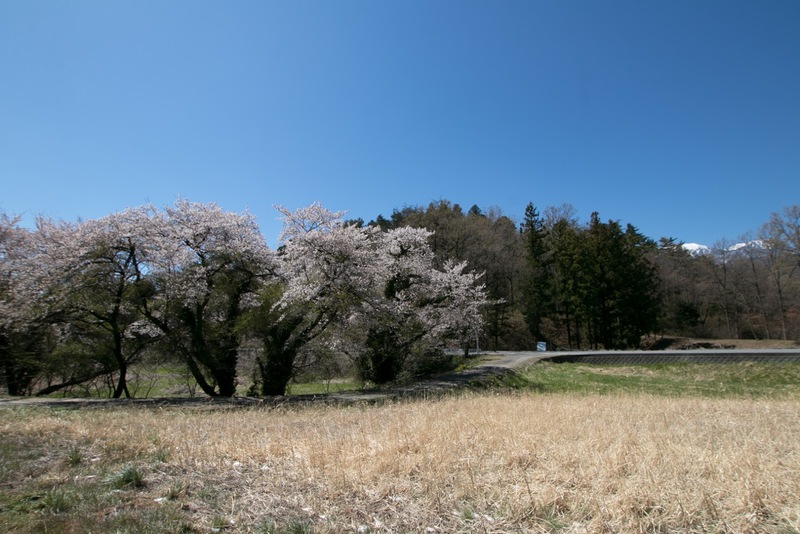 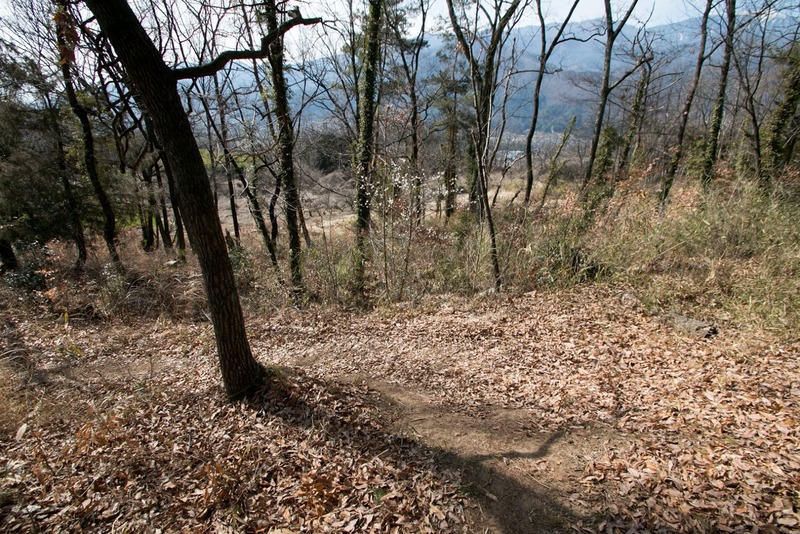 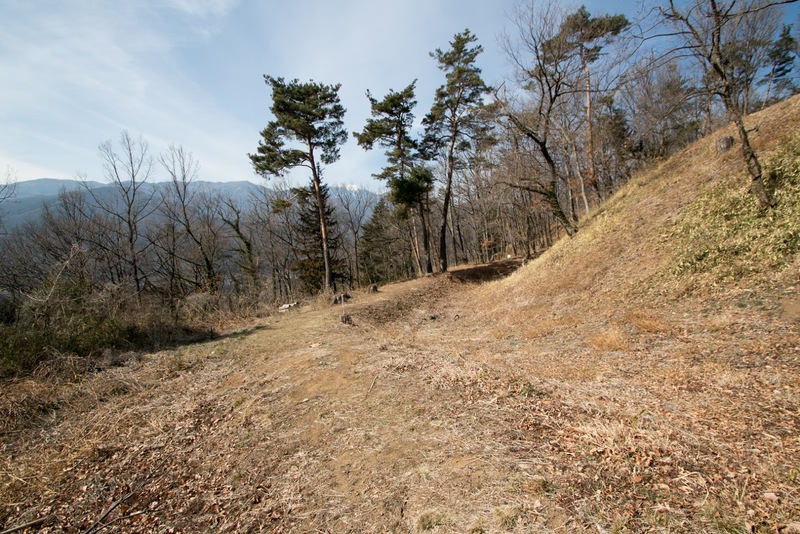 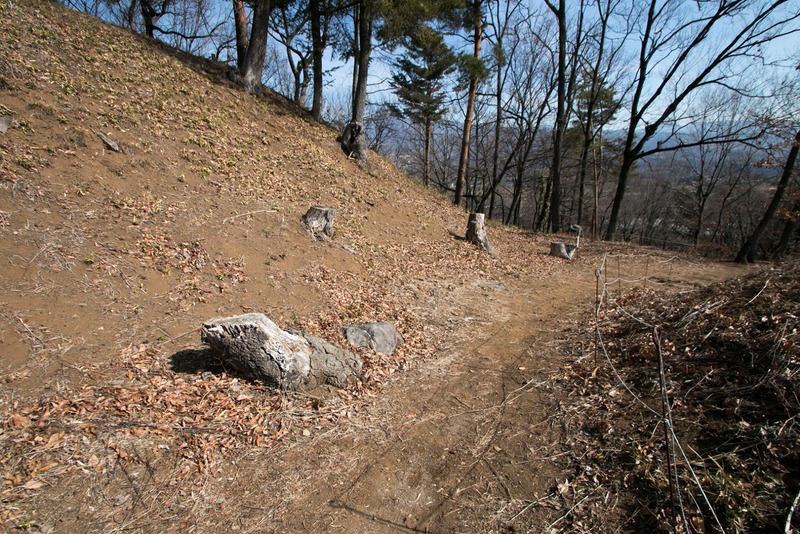 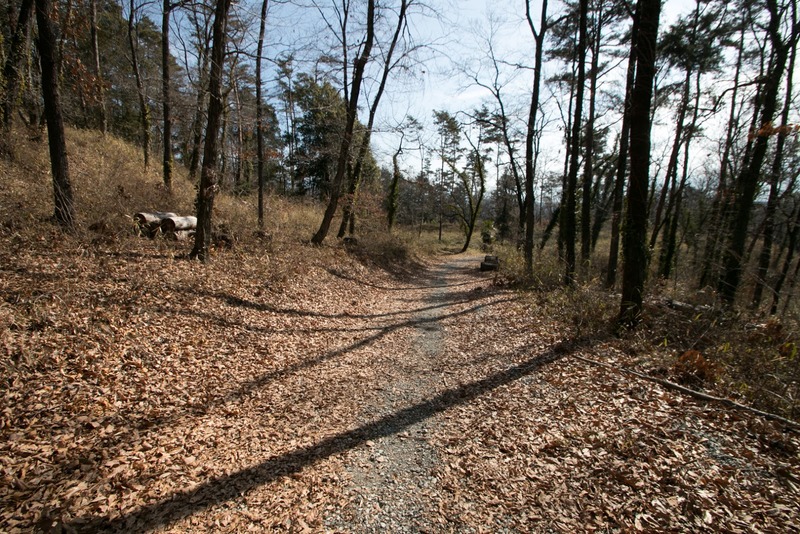 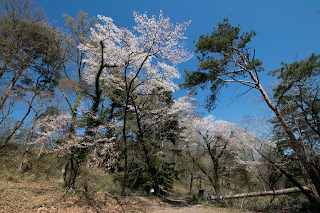 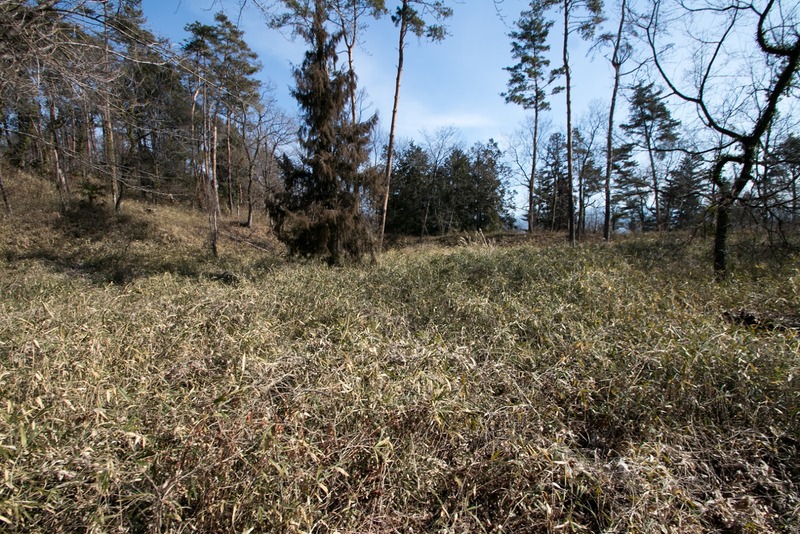 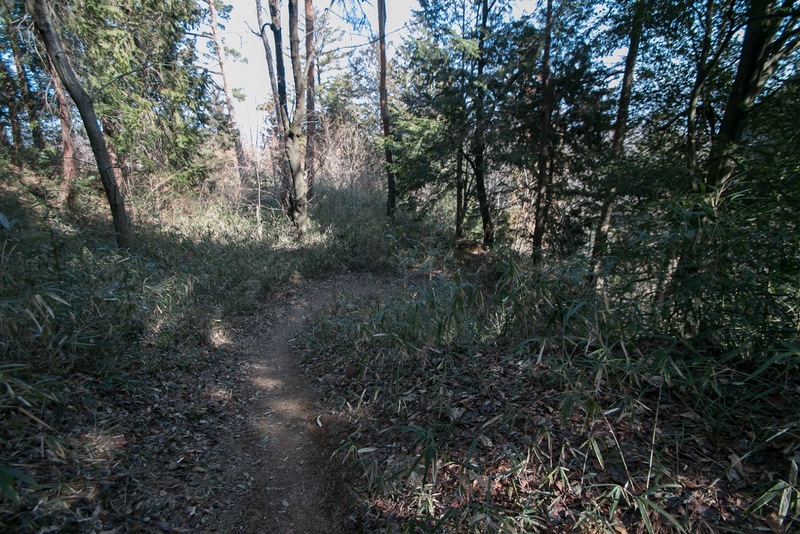 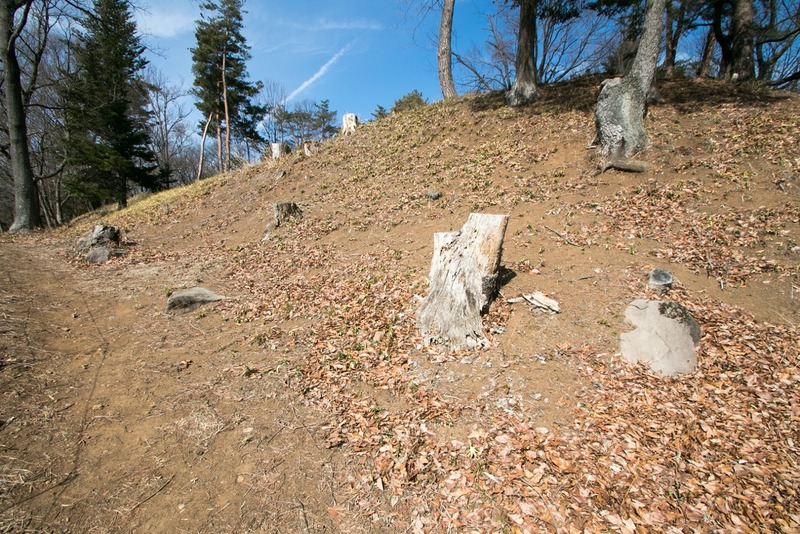 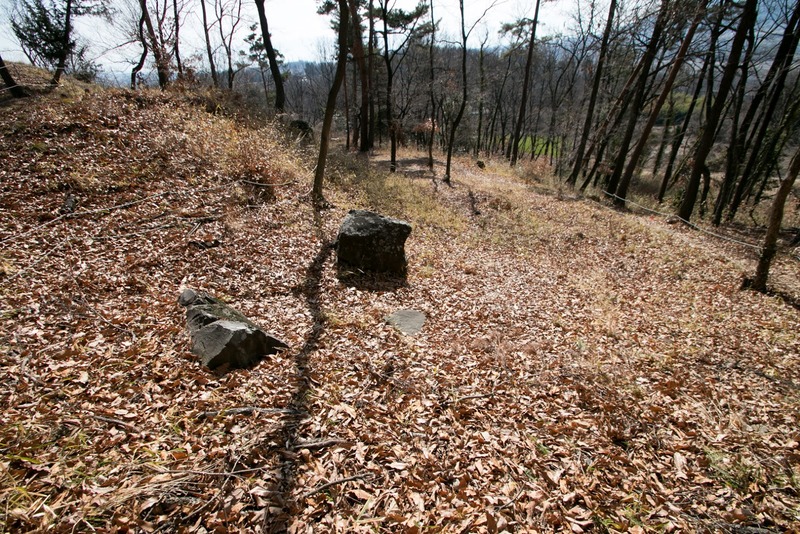 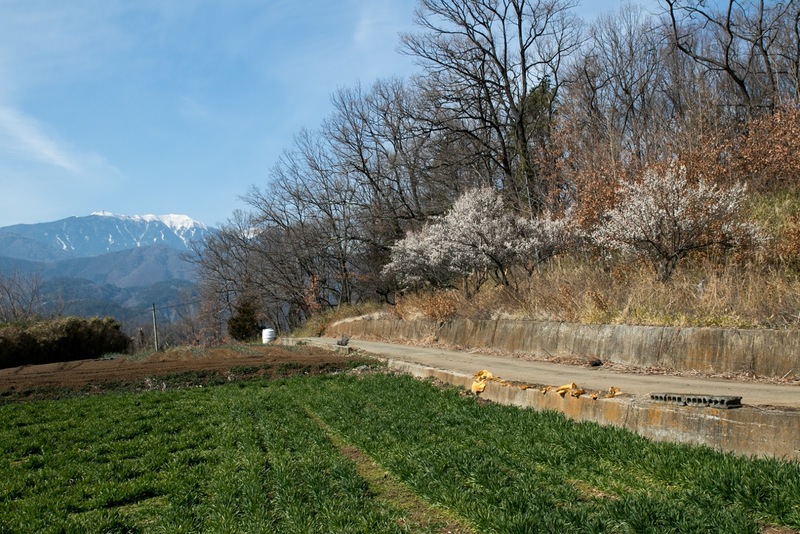 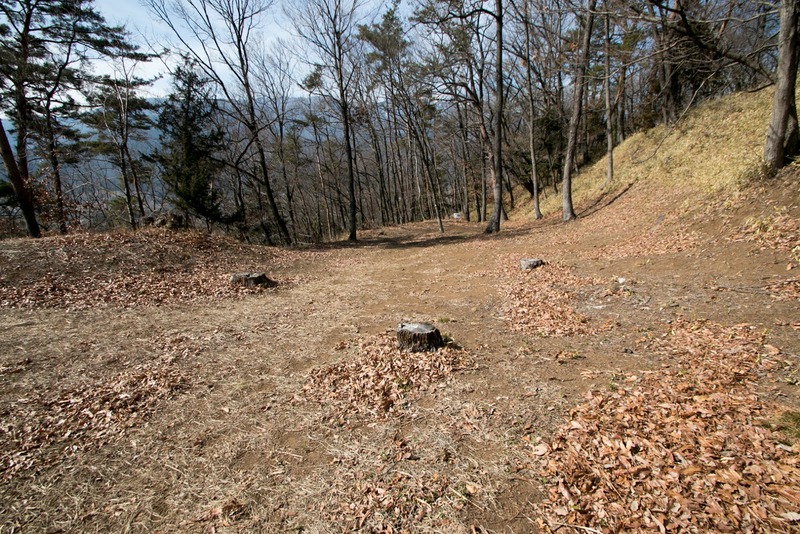 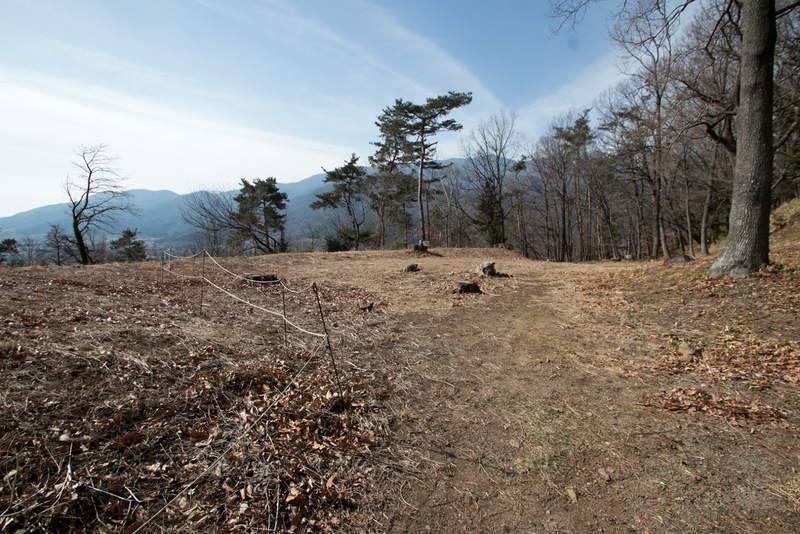 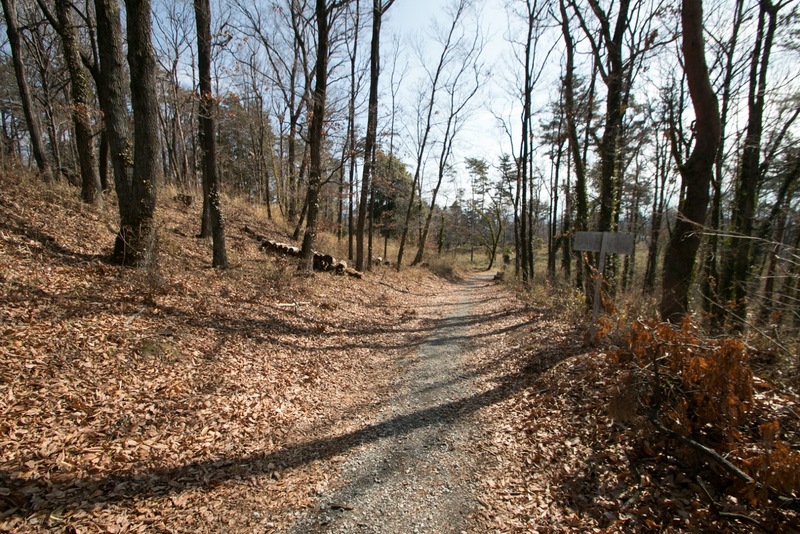 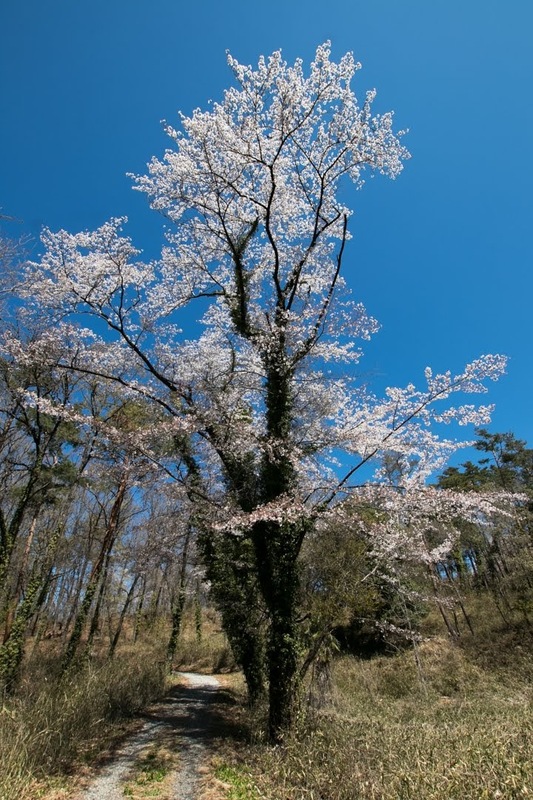 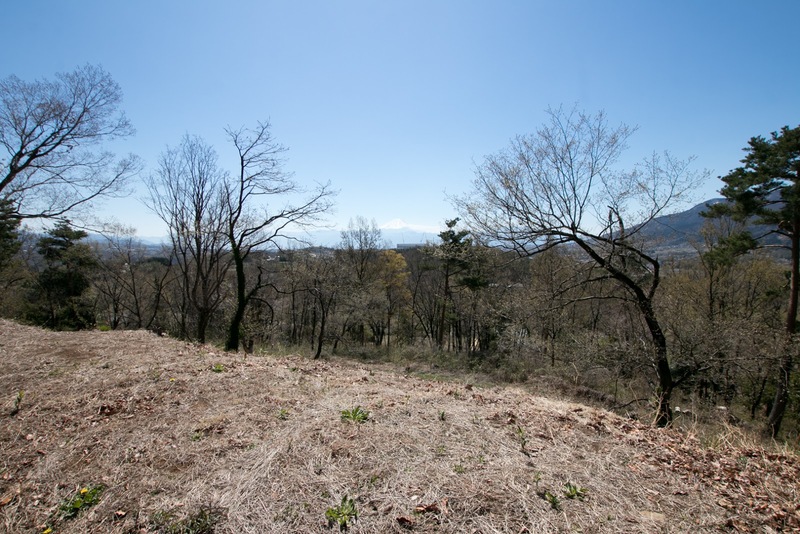 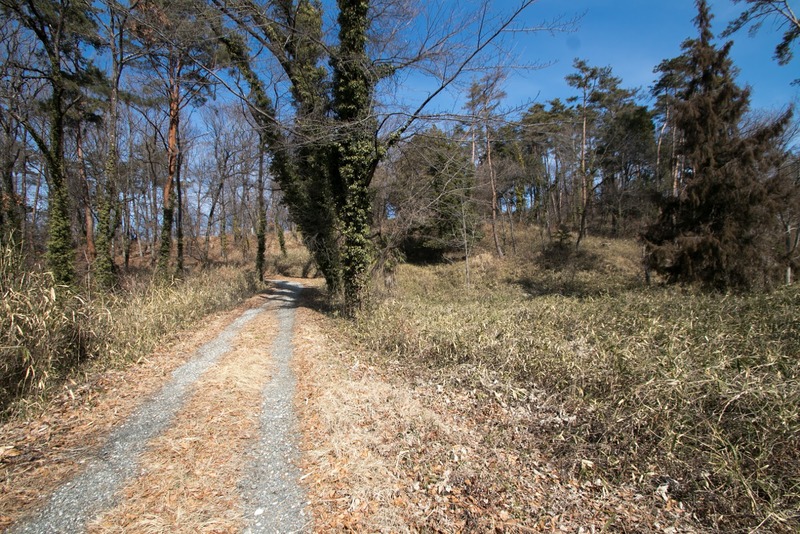 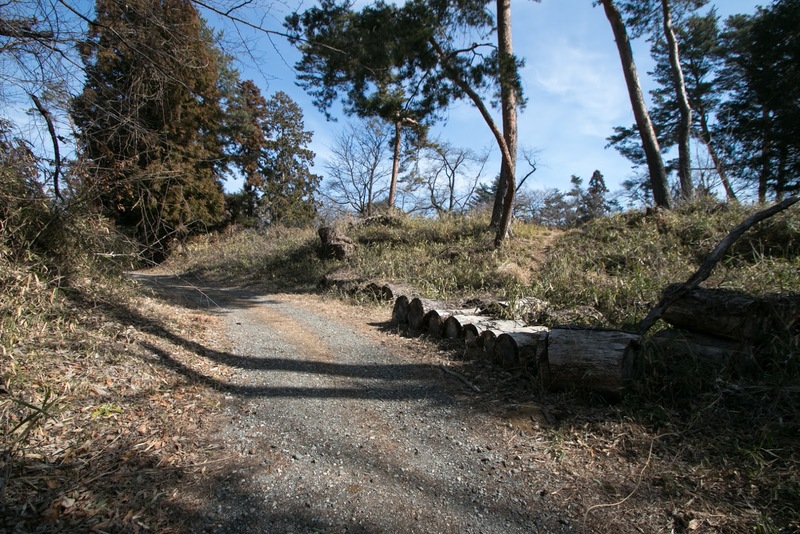 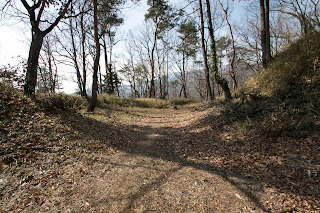 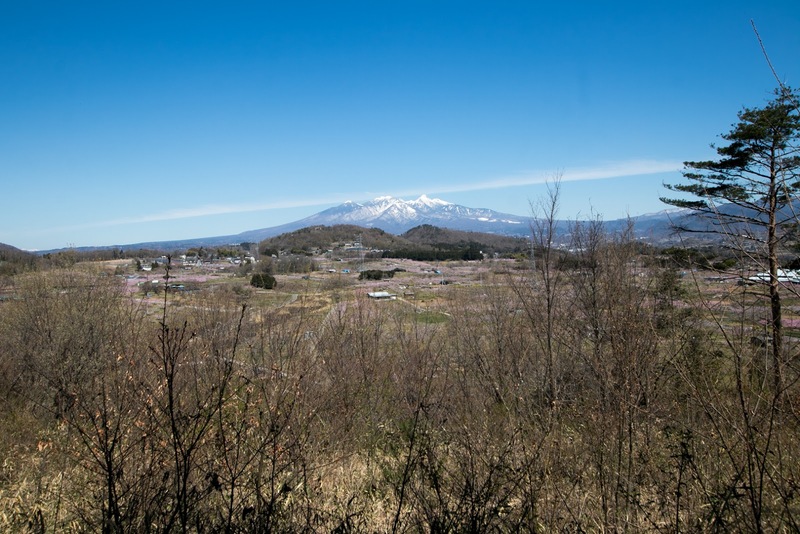 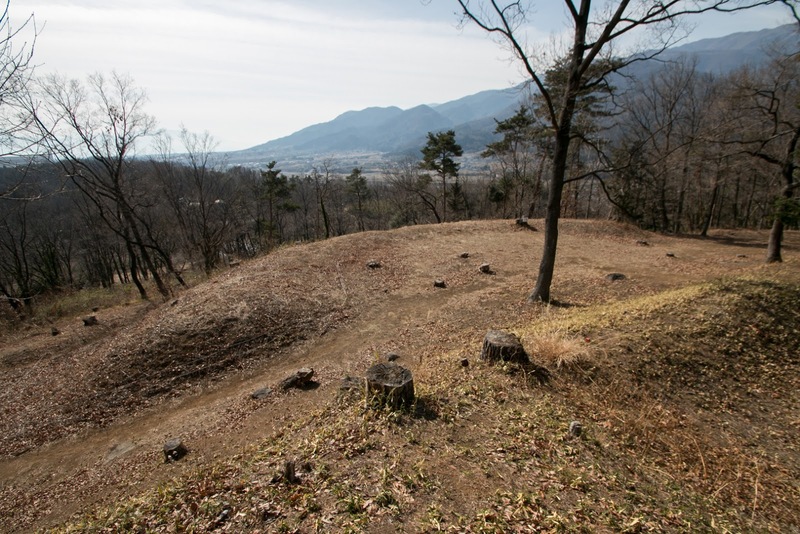 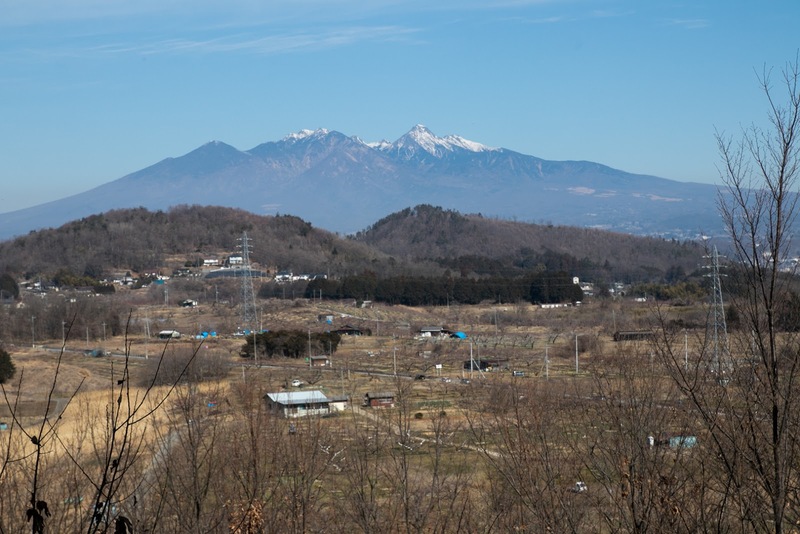 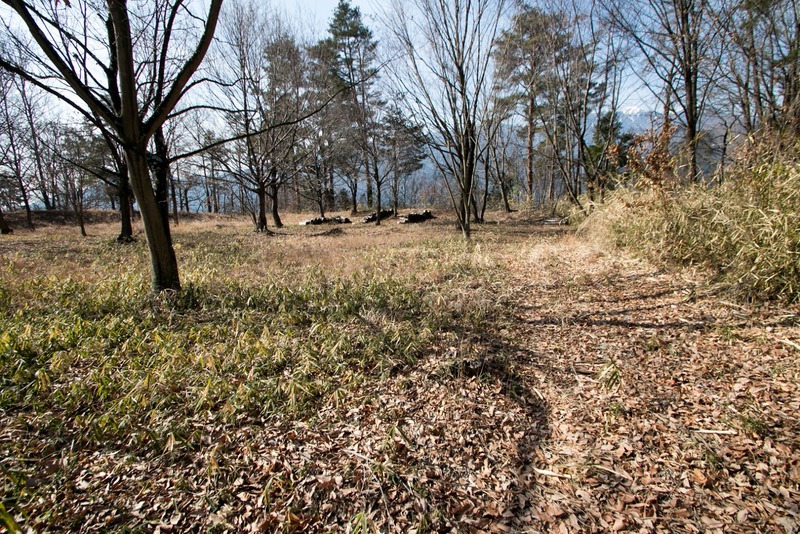 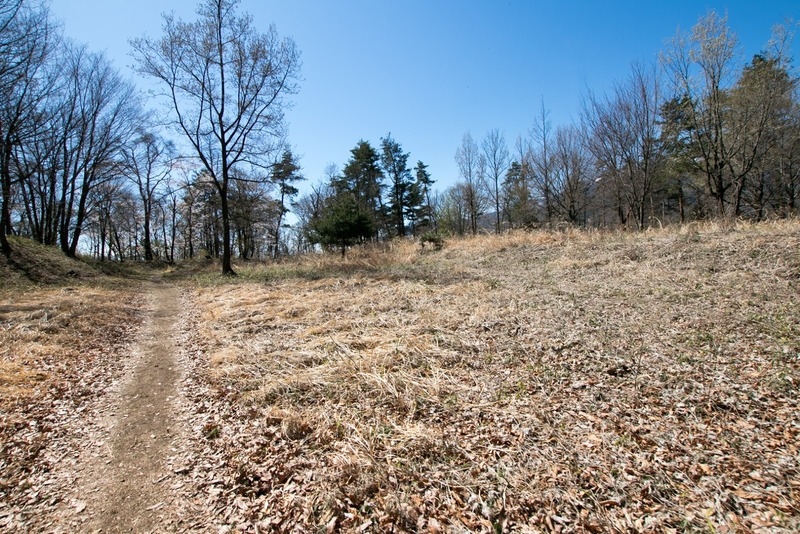 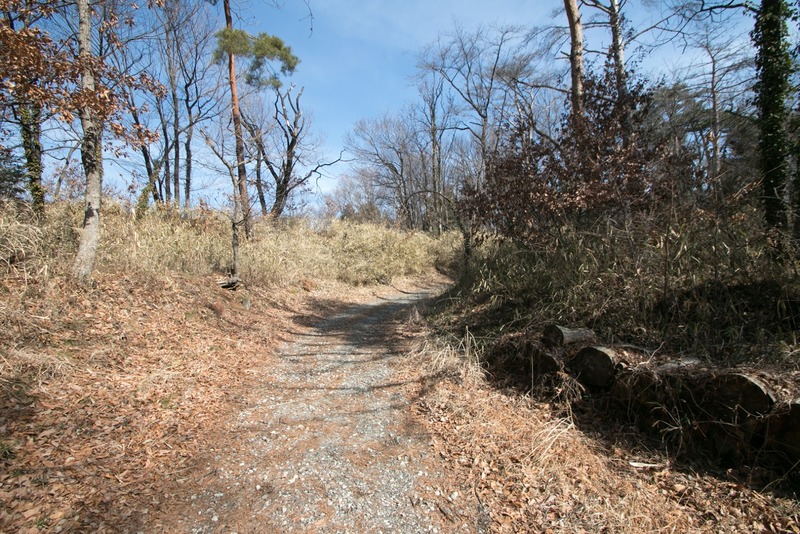 But Oyamada clan betrayed Katsuyori at final stage, thus Katsuyori advanced toward Tenmokusan mountain, where was a sacred place for Takeda clan. 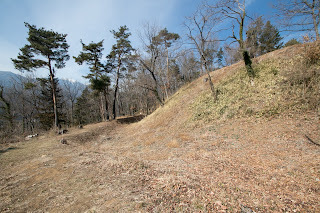 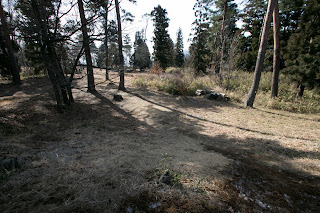 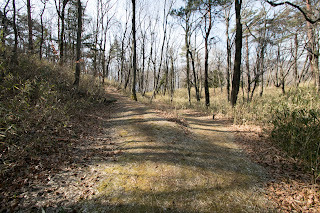 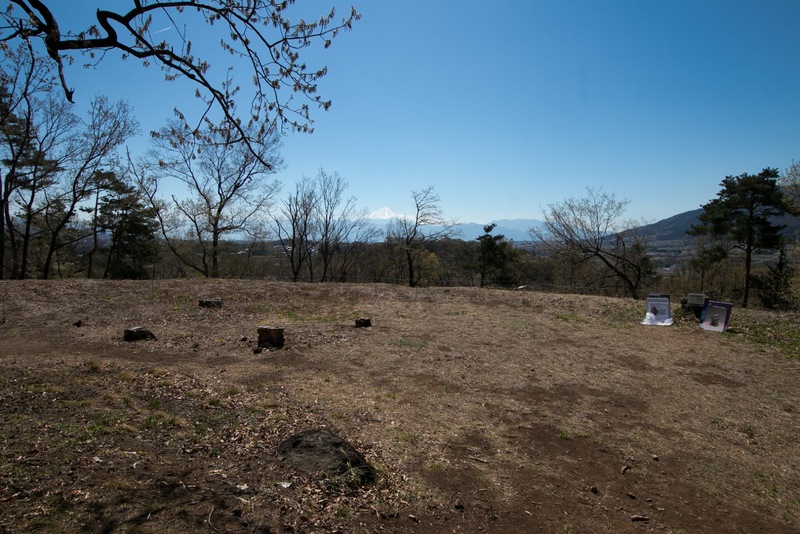 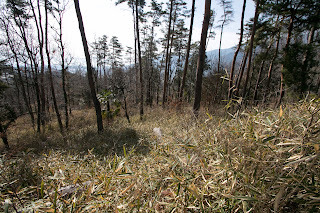 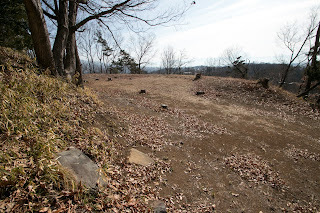 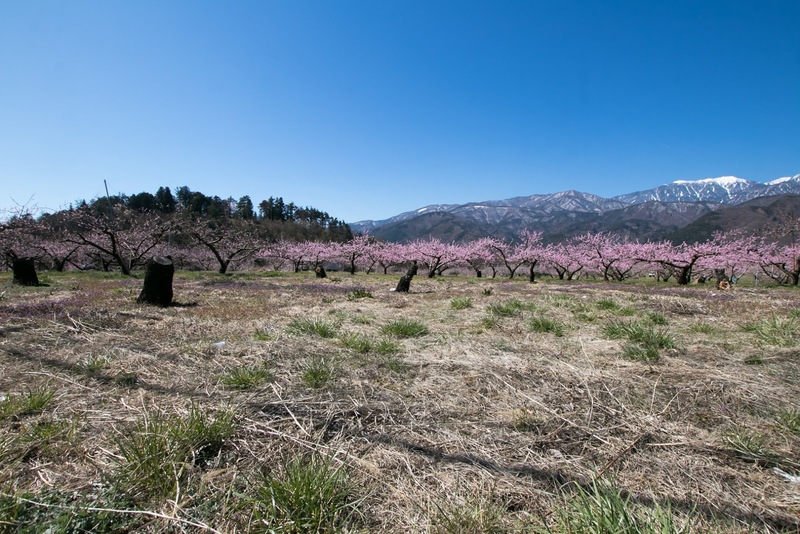 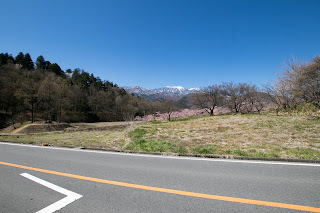 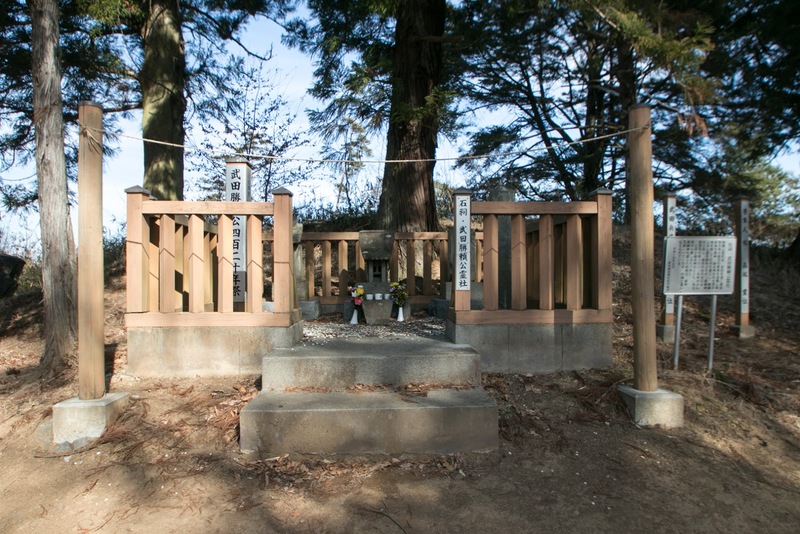 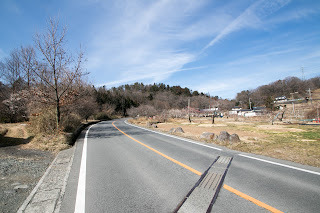 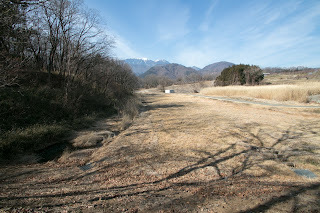 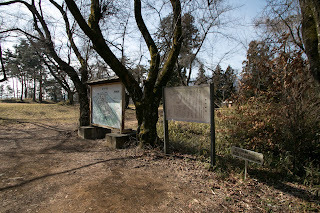 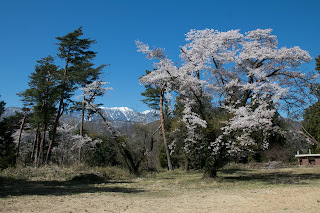 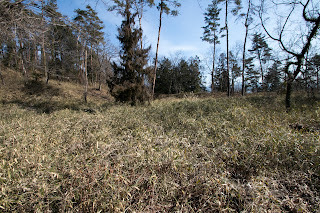 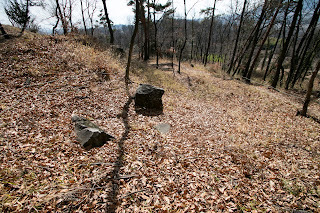 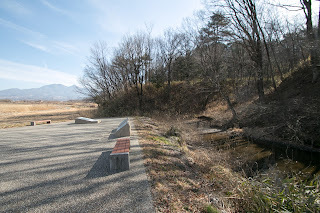 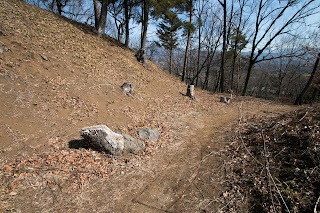 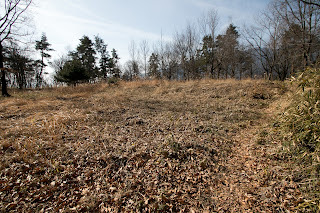 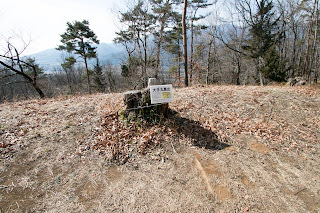 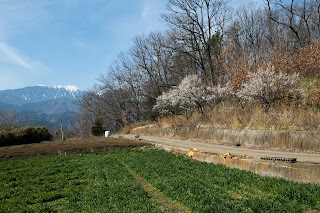 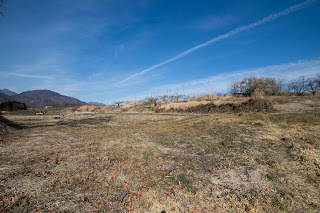 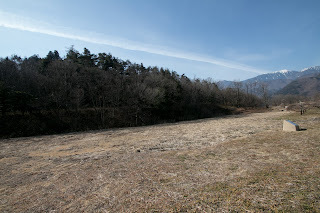 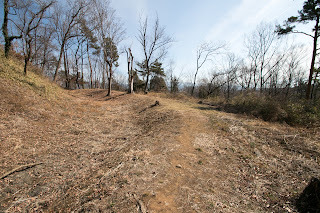 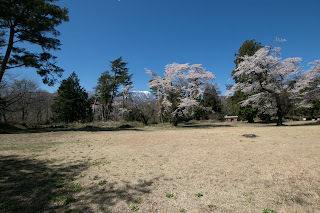 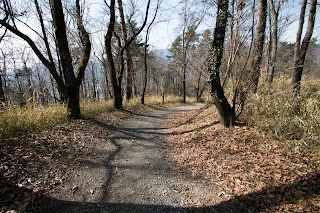 But just before the mountain Katsuyori was captured by chasing Oda army at the place named Tano village, then fought with overwhelming Oda army and died there with his wife and his son Nobukatsu Takeda (1567-1582) in the middle of March. 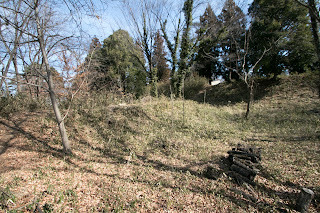 With this, Takeda clan collapsed in only one month and ended its history as a warlord over 400 years. 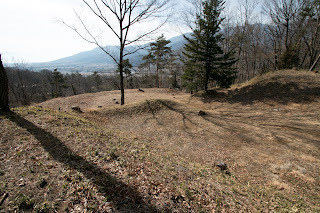 Oda clan once captured Kai province, but only three month after the fall of Takeda clan, Nobunaga himself died in incident of Honnoji at 1582, a coup d'etat by his general Mitsuhide Akechi (1528-1582). 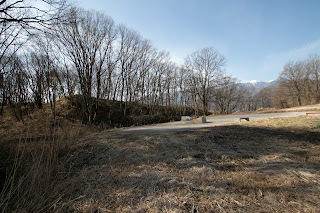 Magistrates sent by Nobunaga were killed by the rise of former Takeda retainers, and Kai province became a vacant territory. 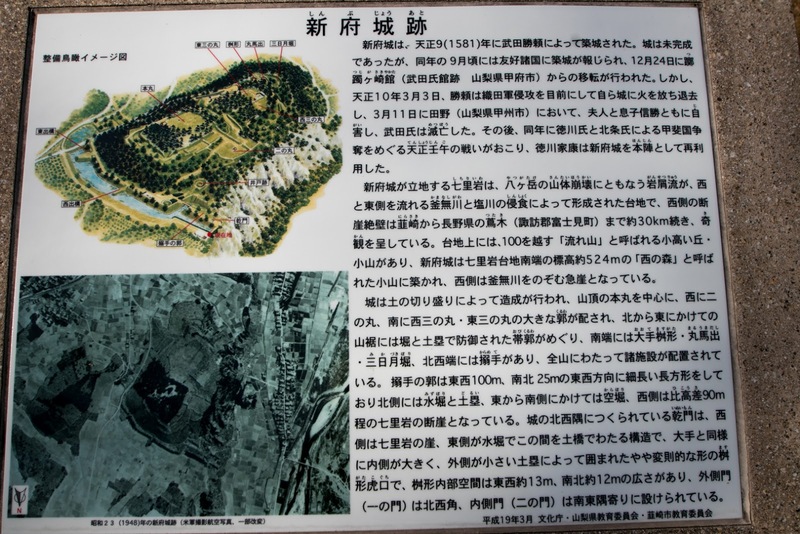 Looking at this situation, both of Tokugawa clan and Hojo clan tried to seize Kai province. 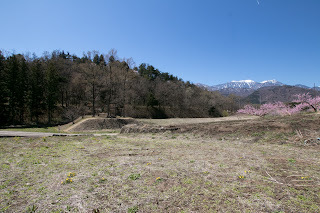 Tokugawa army marched to Kai province with former retainers of Takeda clan and seized Kofu basin, but Hojo clan sent large army to Shinano province and seek Kofu basin from northward. 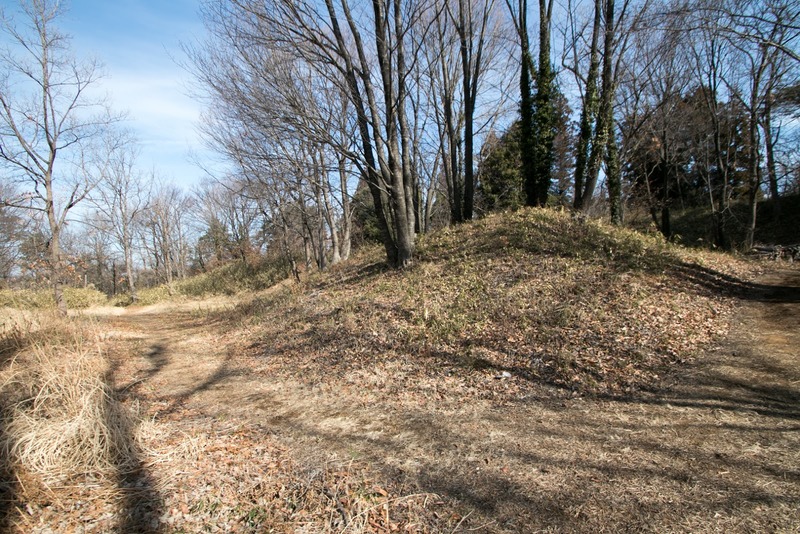 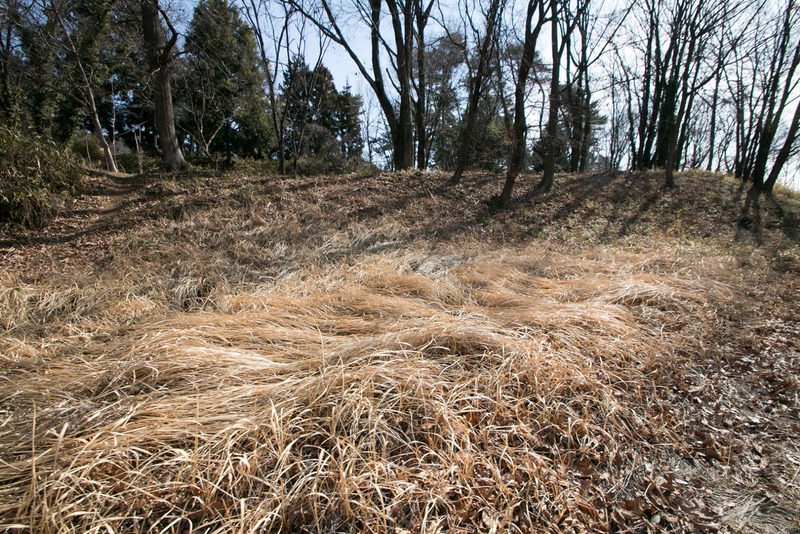 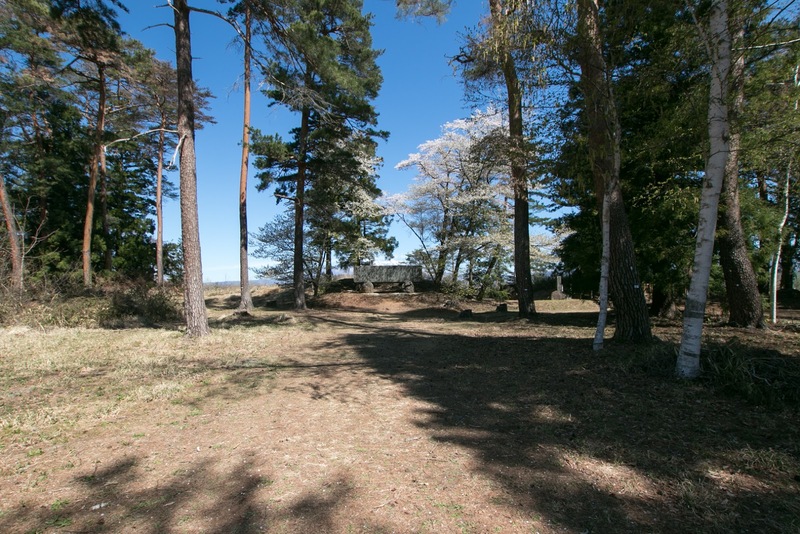 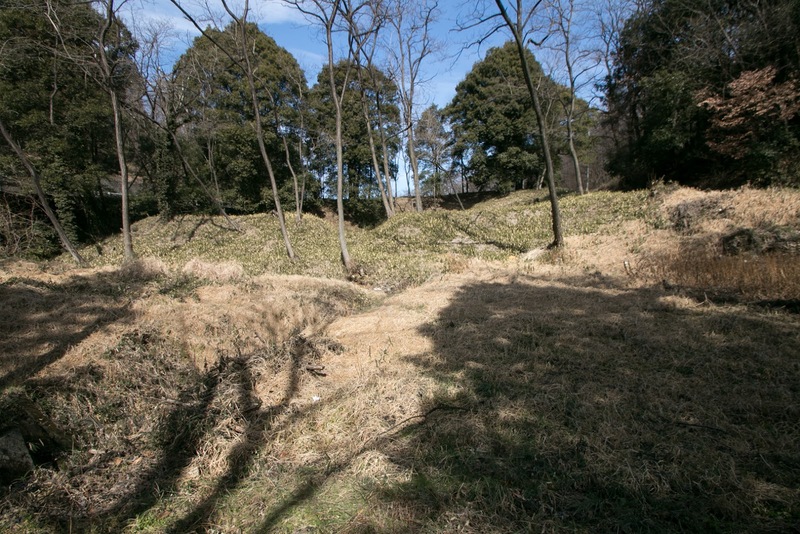 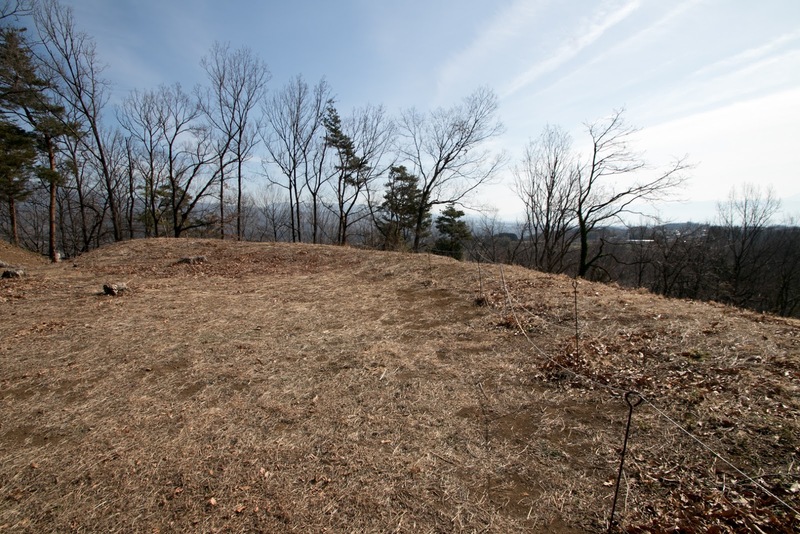 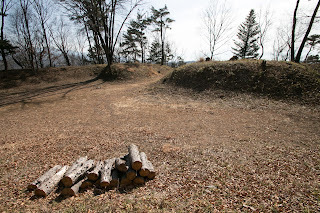 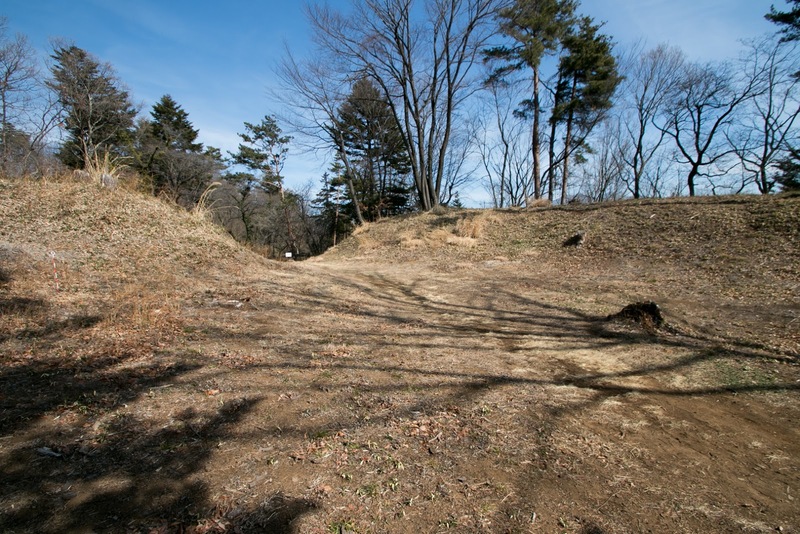 Facing overwhelming Hojo army, Tokugawa army stayed at Shinpu castle as a defense line toward north. 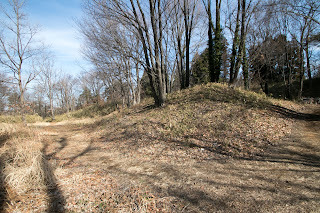 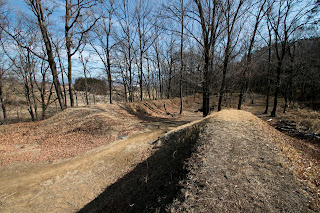 Tokugawa army well stood the pressure of Hojo army at Shinpu castle over 6 month. 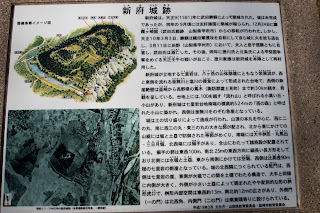 Because of the victory at the battle of Kurokoma against the detached army of Hojo clan from Misaka castle (Yamanashi prefecture) and guerrilla strategy to shut the supply line of Hojo army, finally Hojo clan gave up the battle and both clan reconciled. 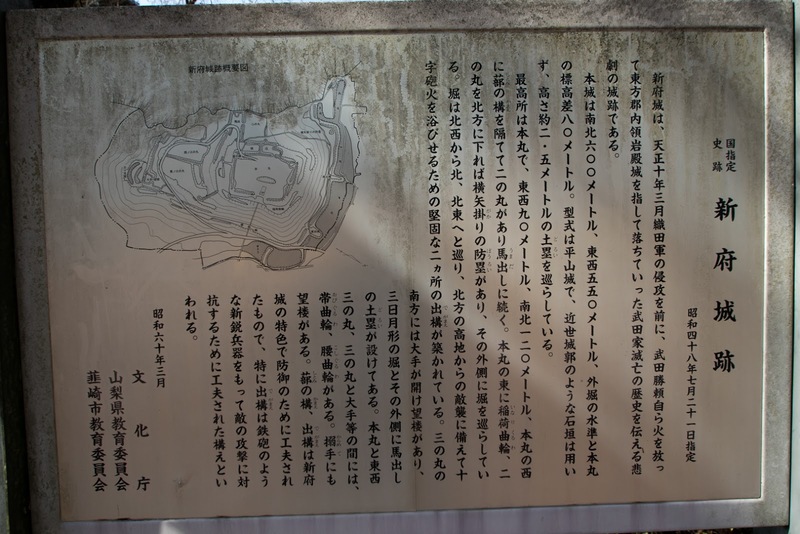 Tokugawa clan finally could keep Kai province, and ironically this was an originally planned usage of Shinpu castle by Katsuyori. 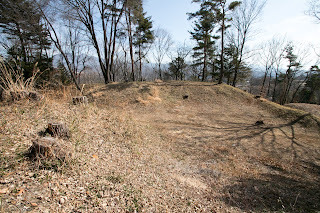 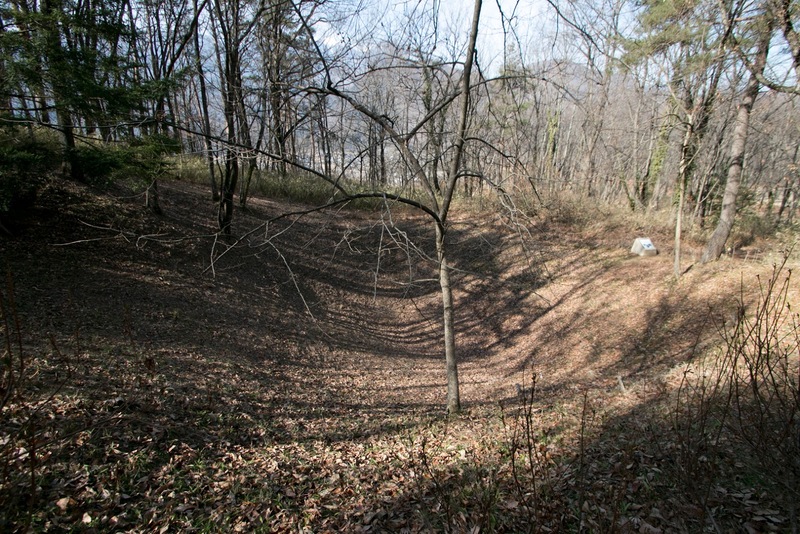 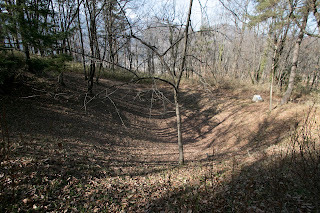 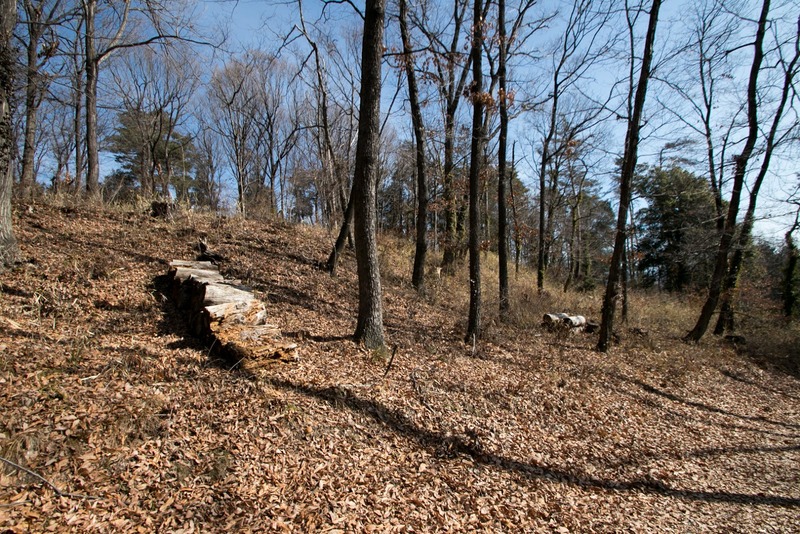 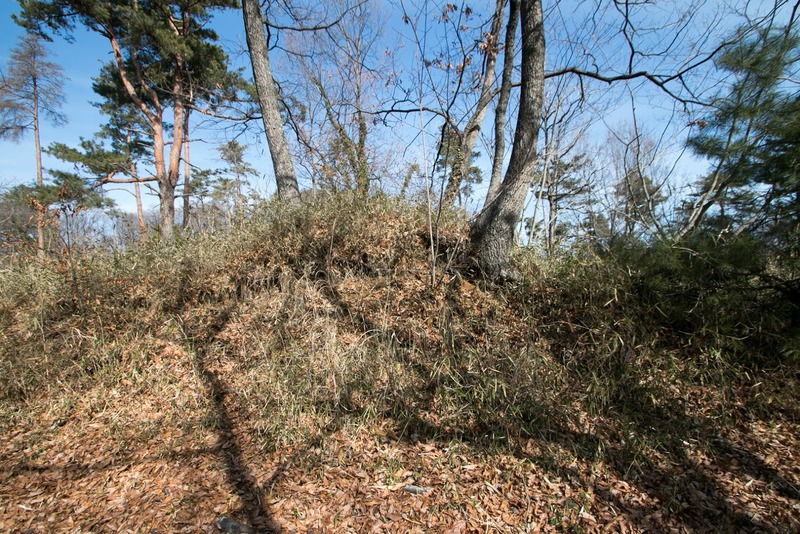 Now all building was lost but structure of the castle well remain over the hill. 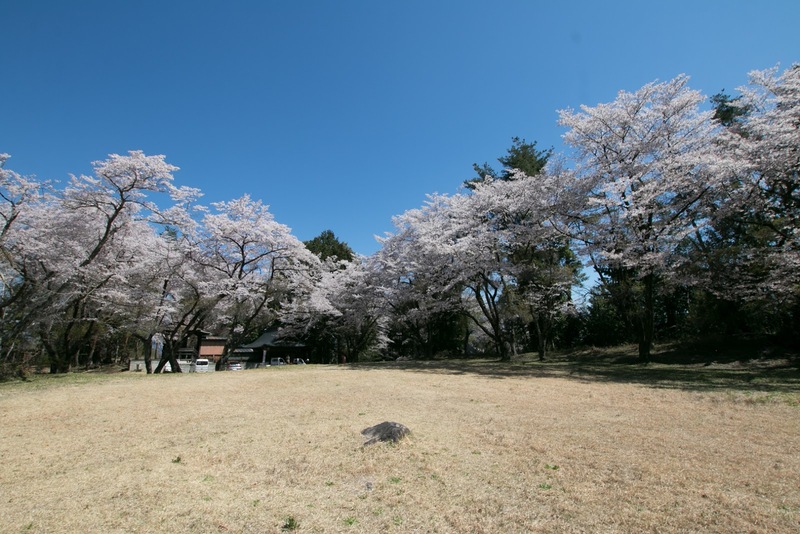 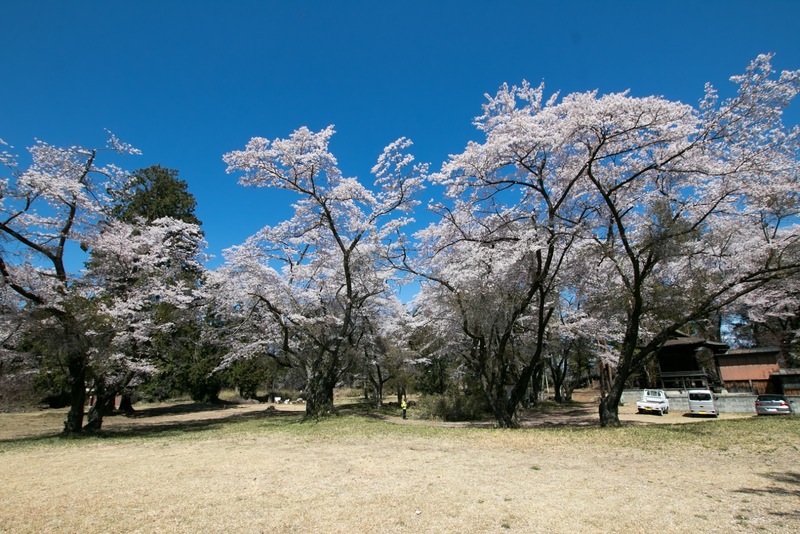 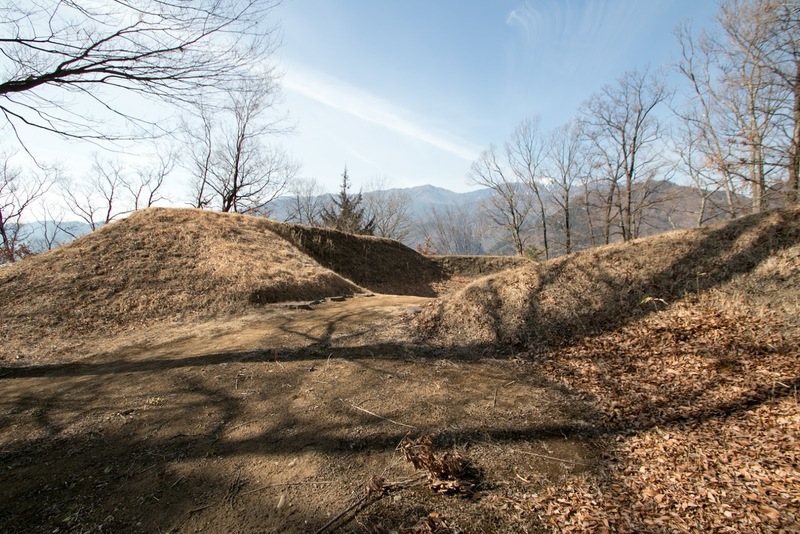 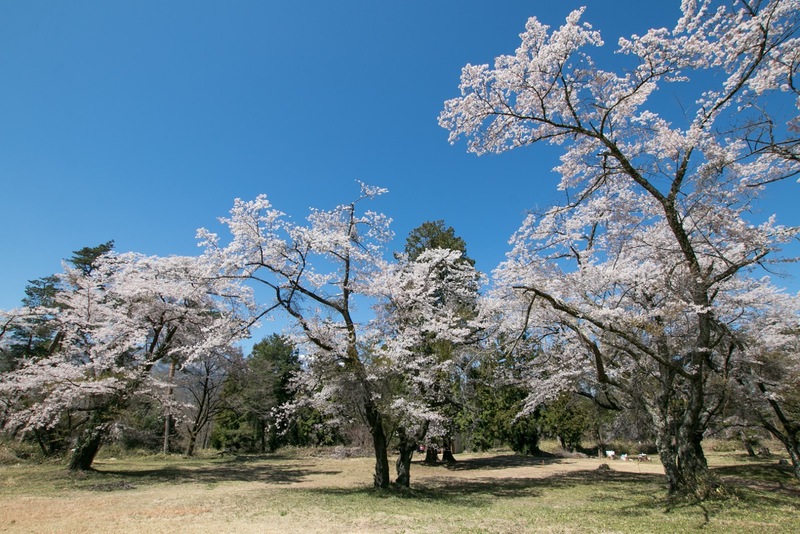 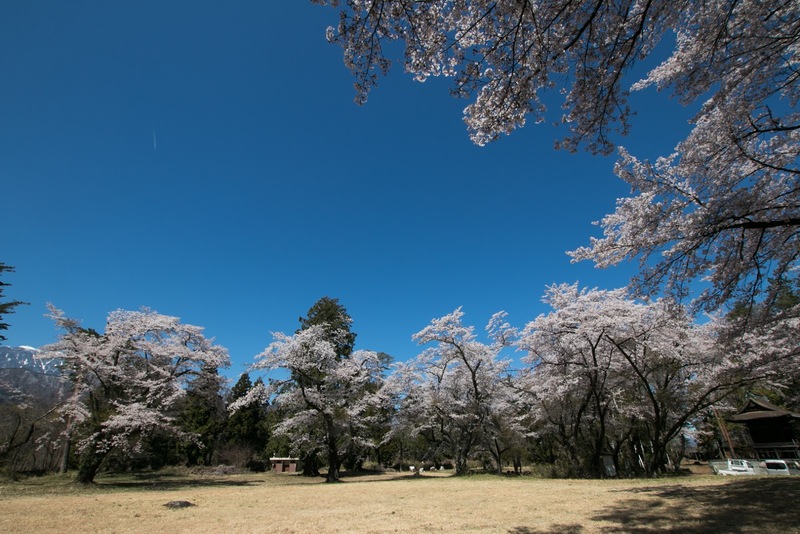 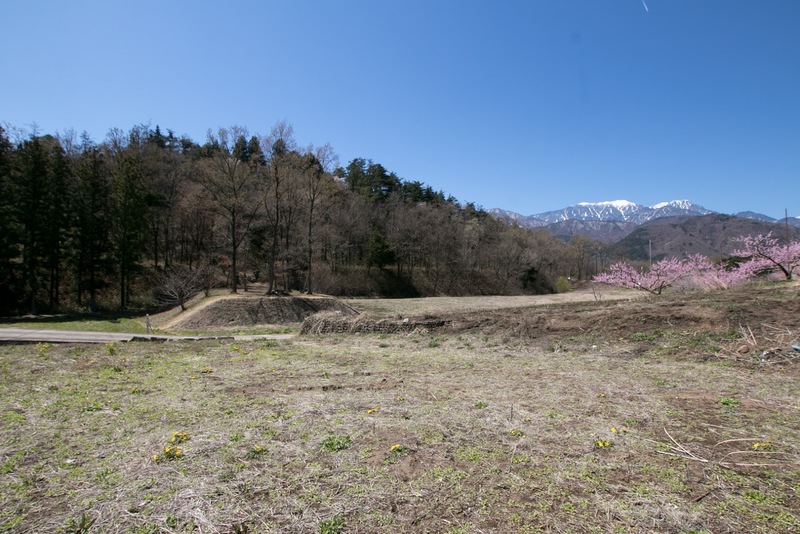 Compared with narrow Tsutsujigasaki palace which is tightly surrounded by mountains and residence of retainers, Shinpu castle has a open atmosphere with the flows of rivers and distant high mountains. 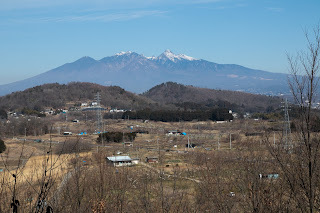 This might be the ideal view of Katsuyori who tried to change Takeda clan from old governor of the province to centralized multi province lord but failed. 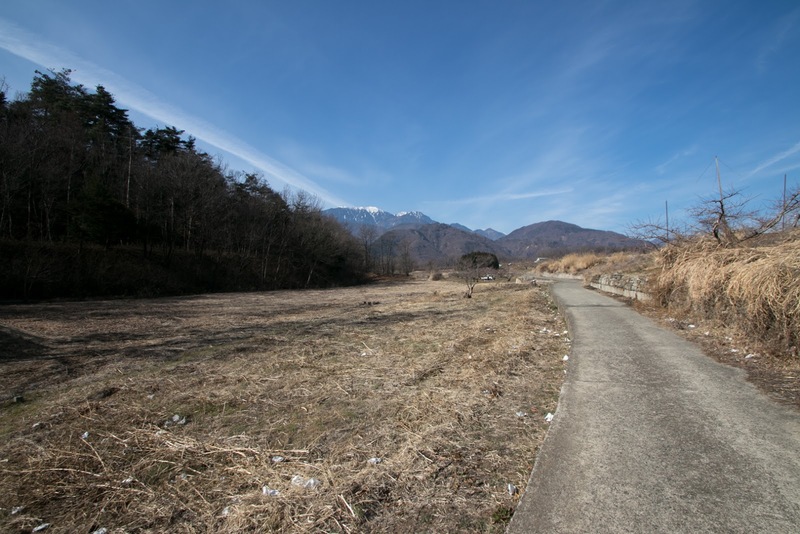 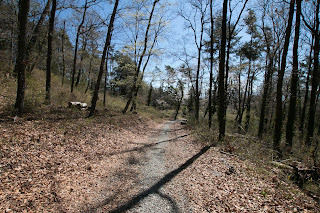 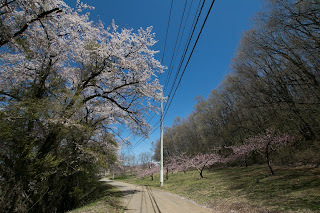 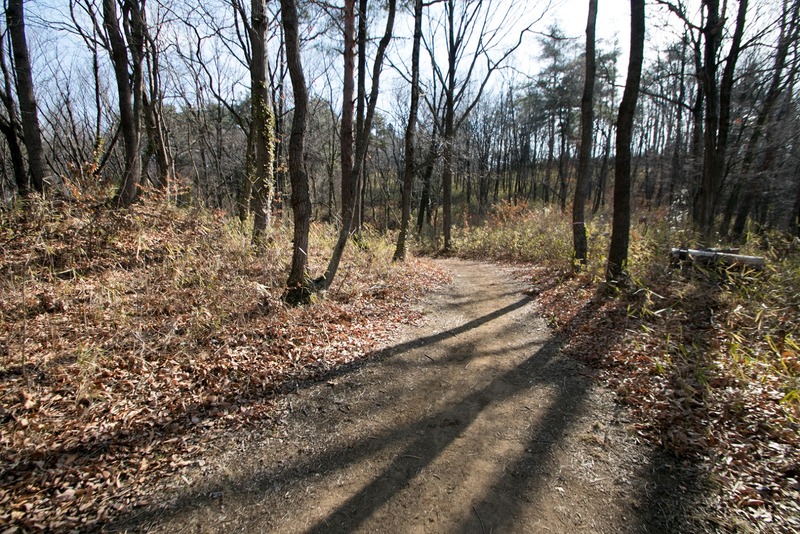 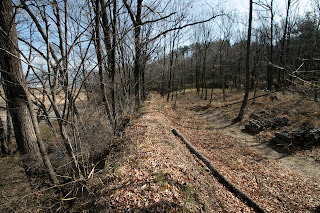 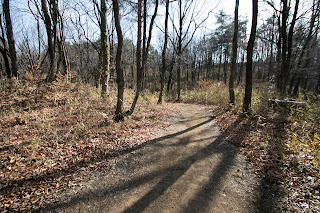 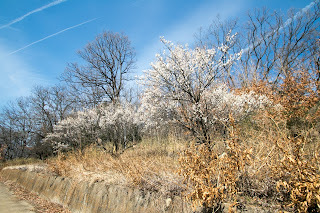 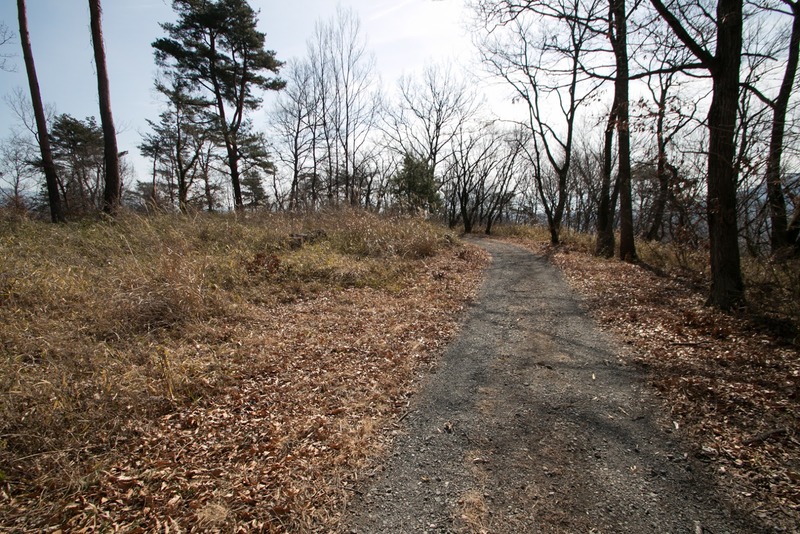 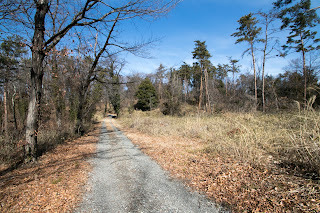 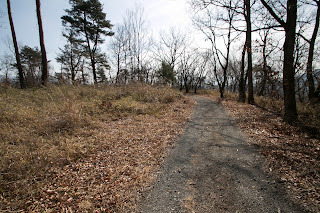 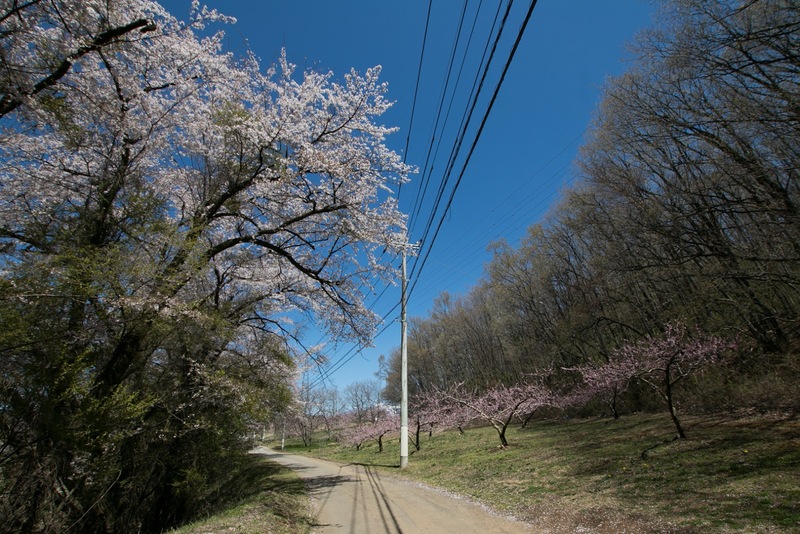 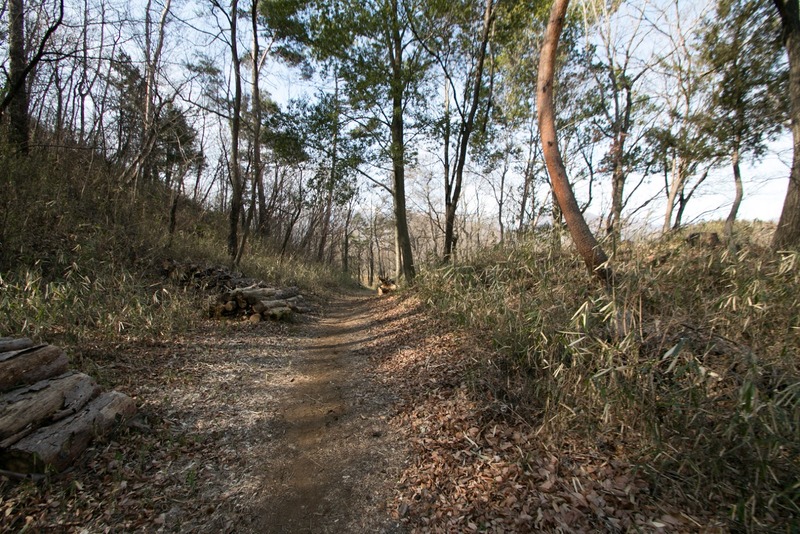 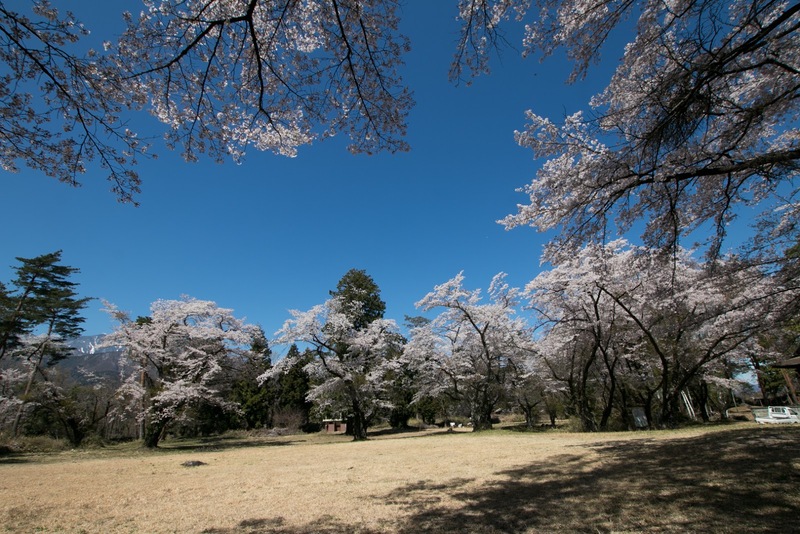 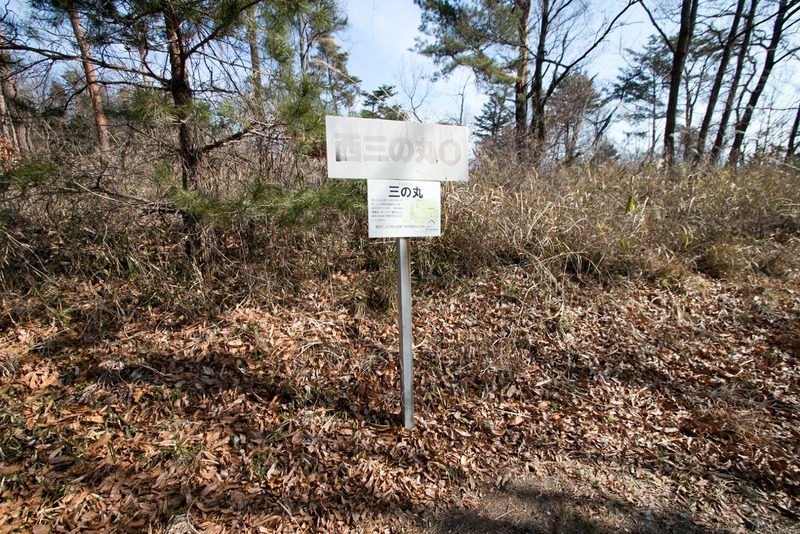 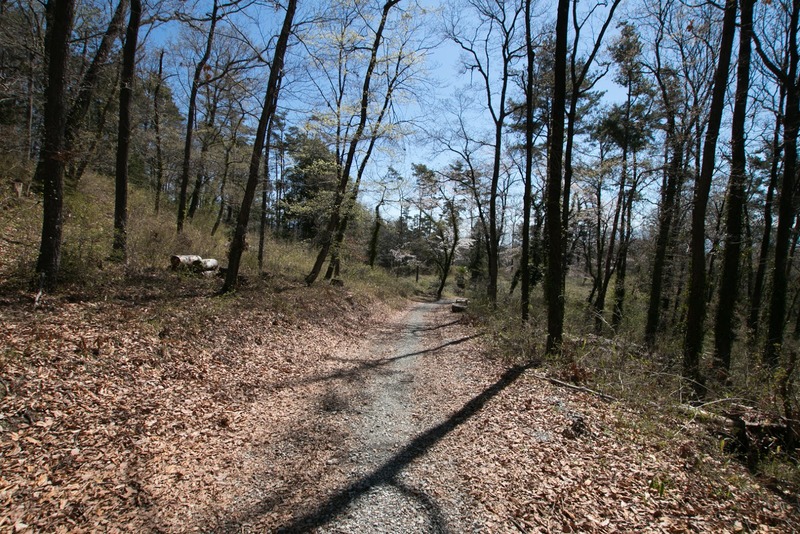 15 minutes walk from JR East Chuosen line Shinpu station. 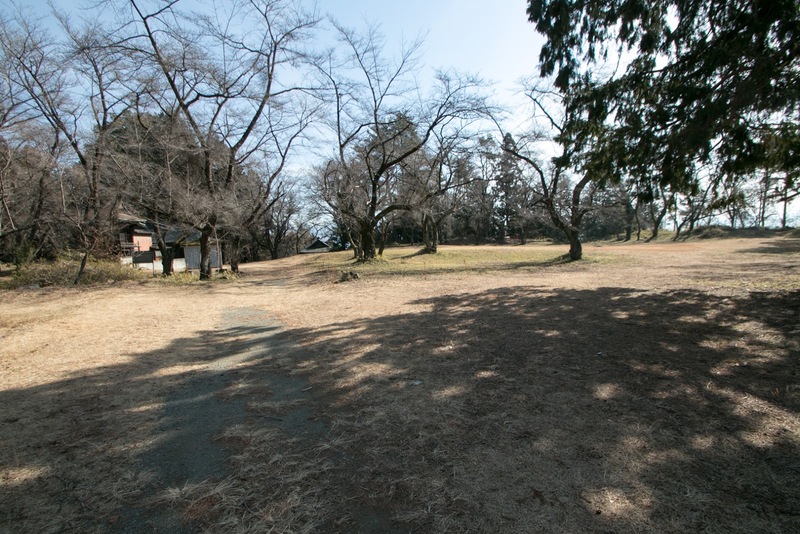 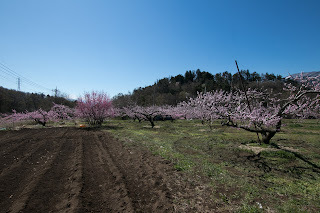 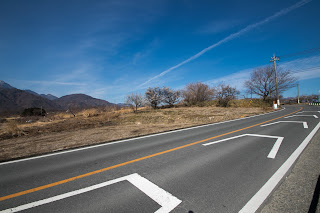 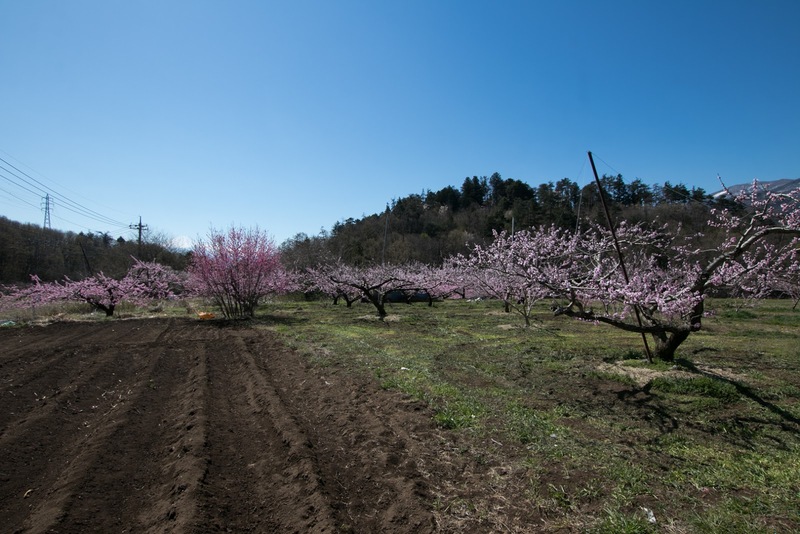 15 minutes drive from Chuo Expressway Nirasaki interchange.